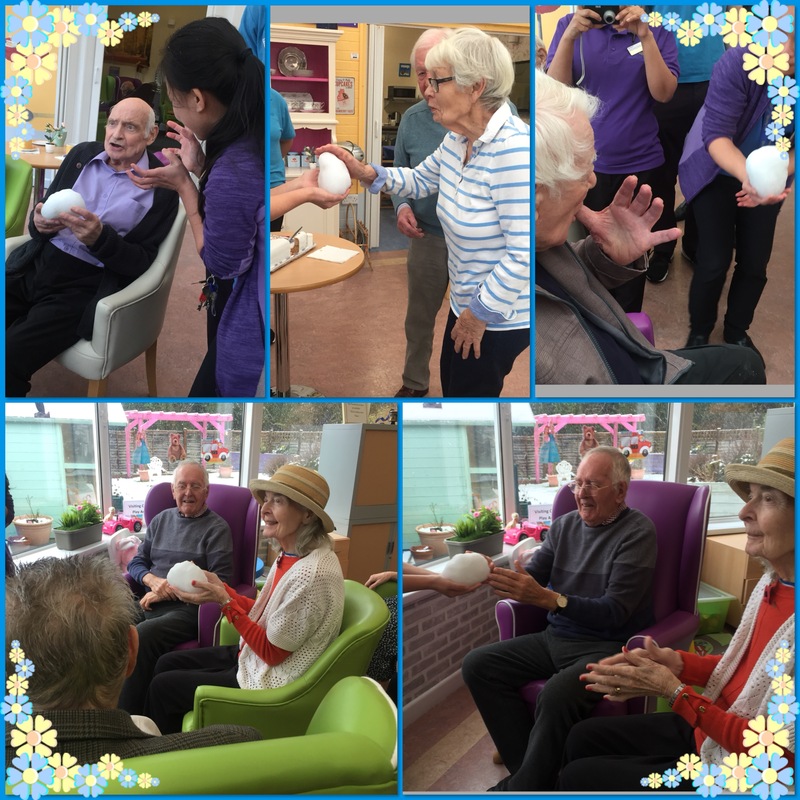 We do not often have snow in the South, but last week we had enough to make some snow balls. 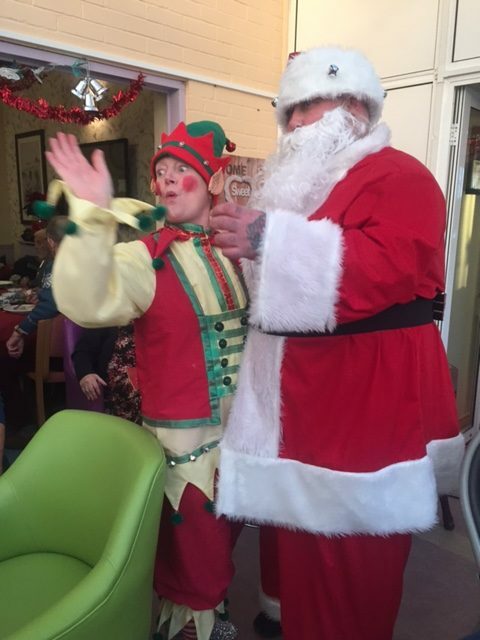 Staff enjoyed their Christmas Day Dinner and Stella posing with Father Christmas. 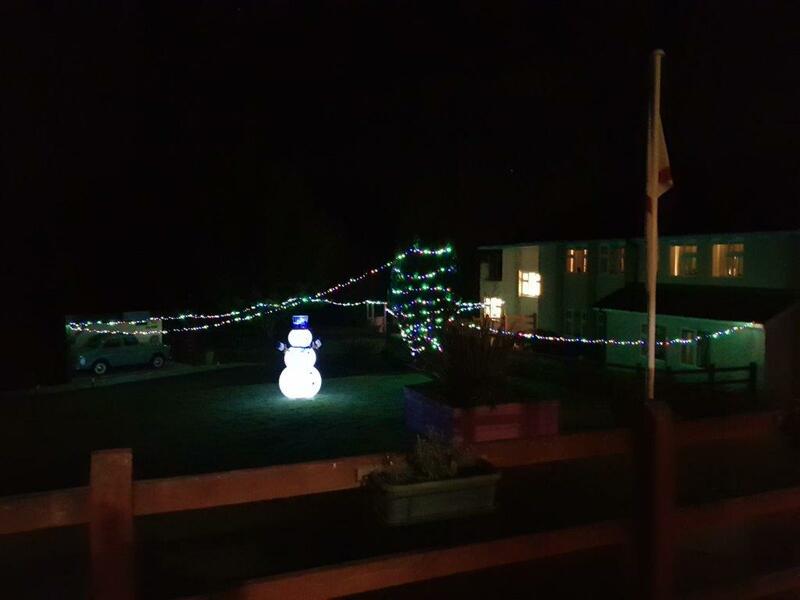 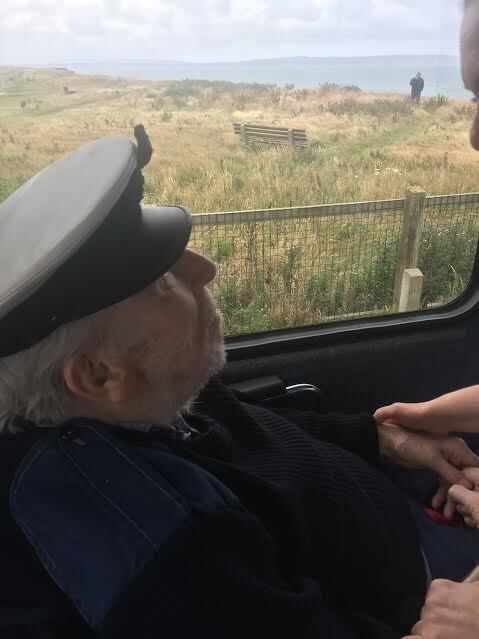 A BUS TRIP TO THE NORTH POLE…………. 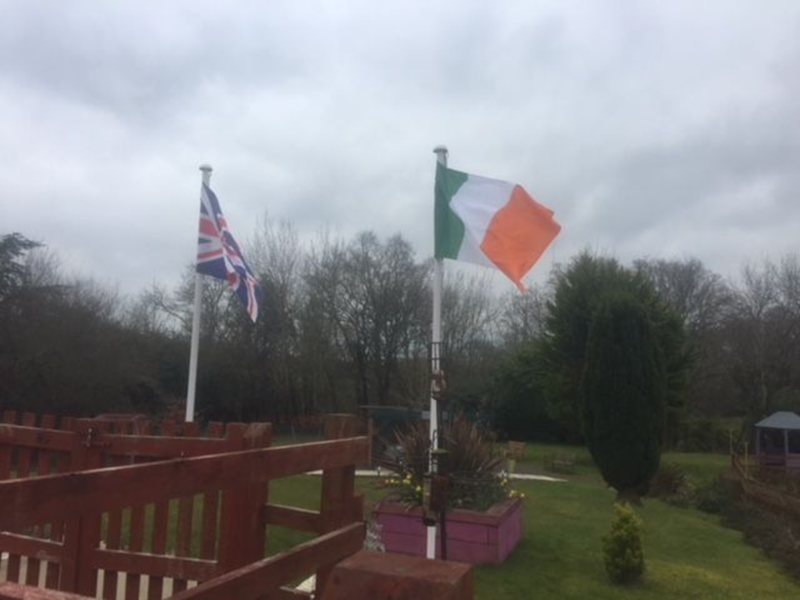 THE CALM BEFORE THE STORM………………. 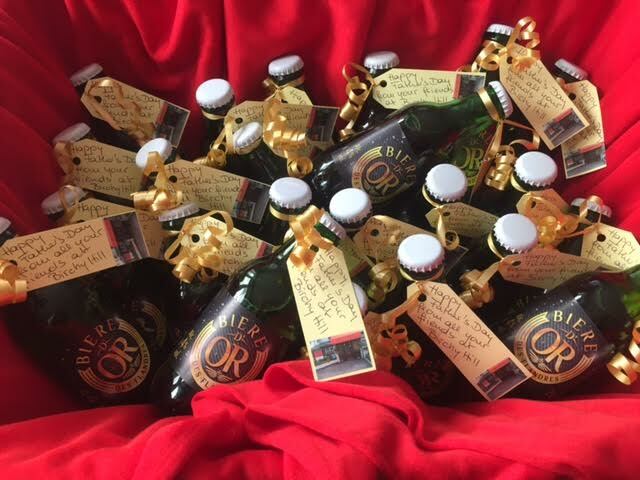 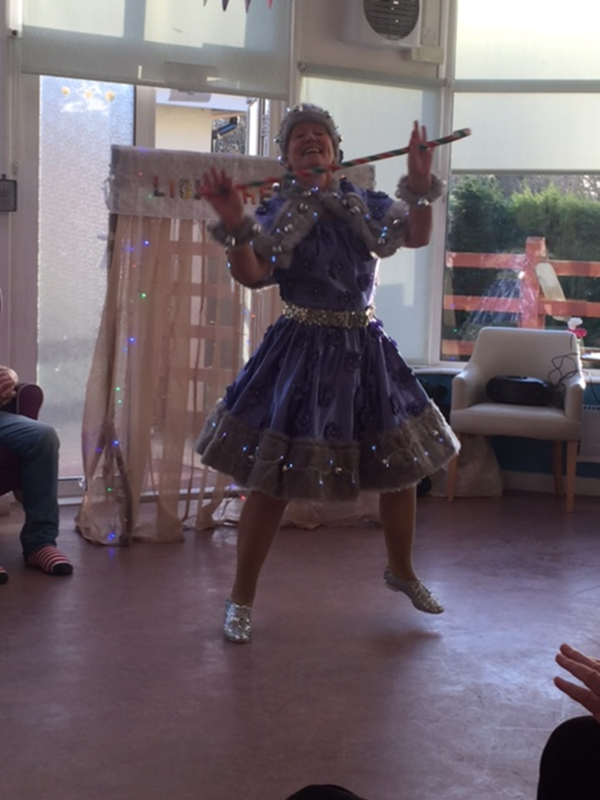 ELEVEN PIPERS PIPING………..OR WAS IT? 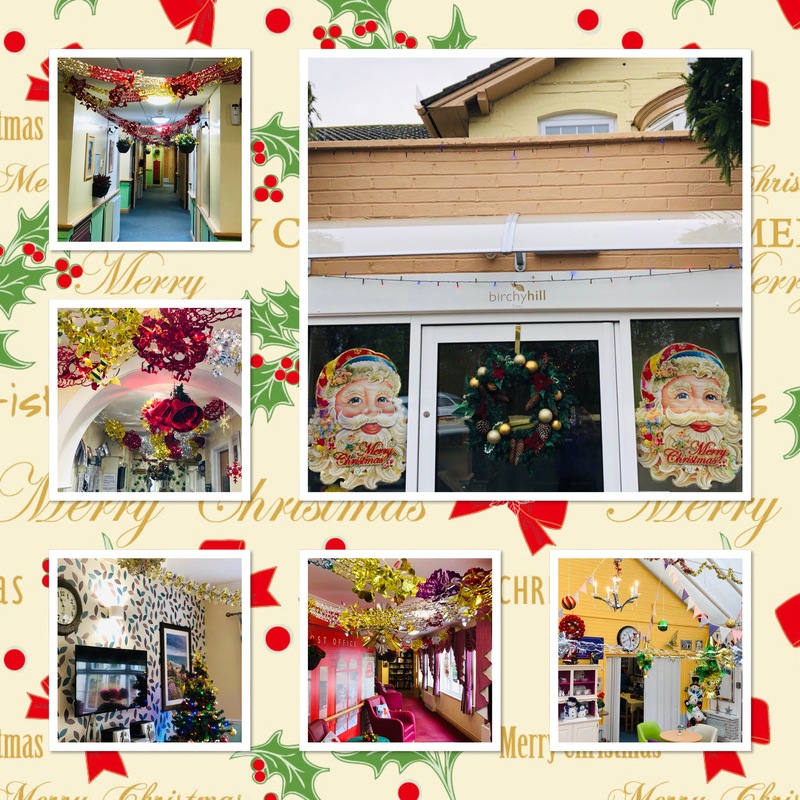 NOT SCARY – BUT NICE………………………. 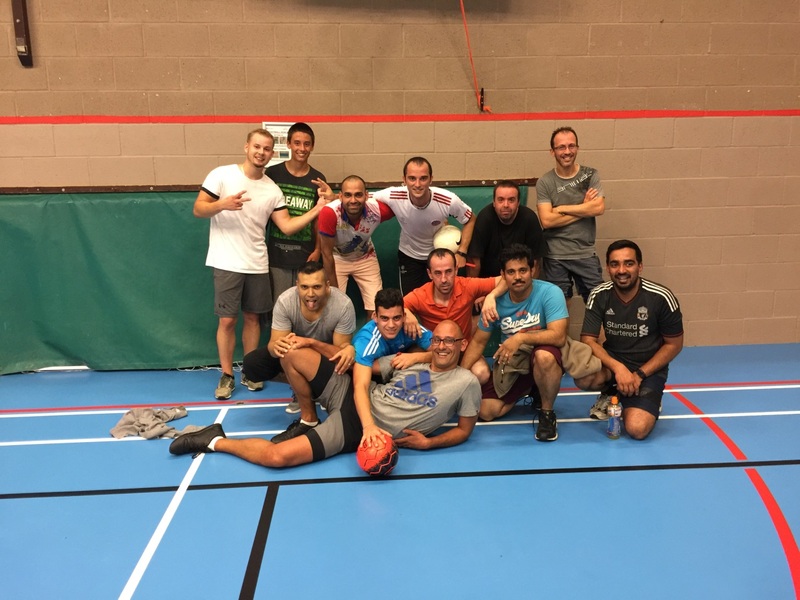 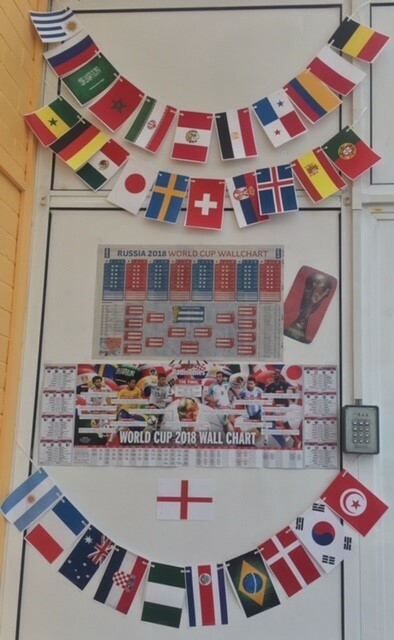 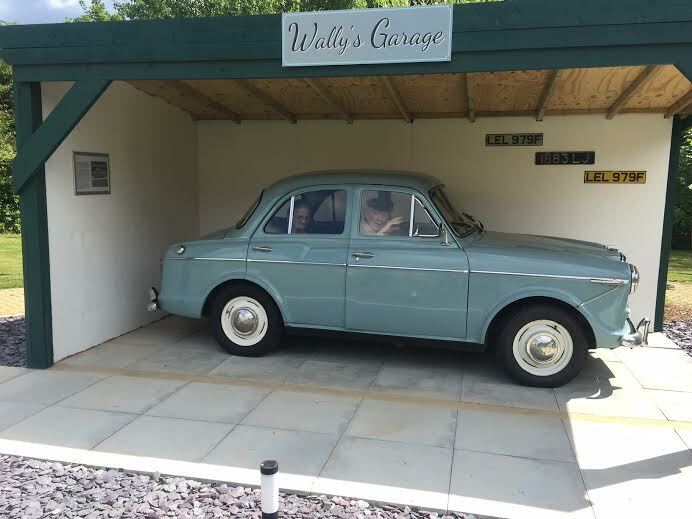 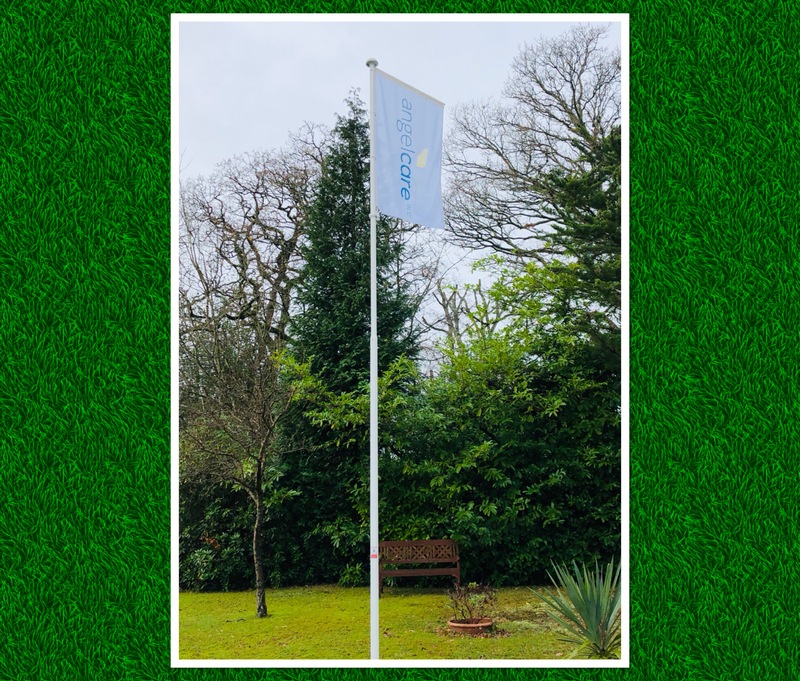 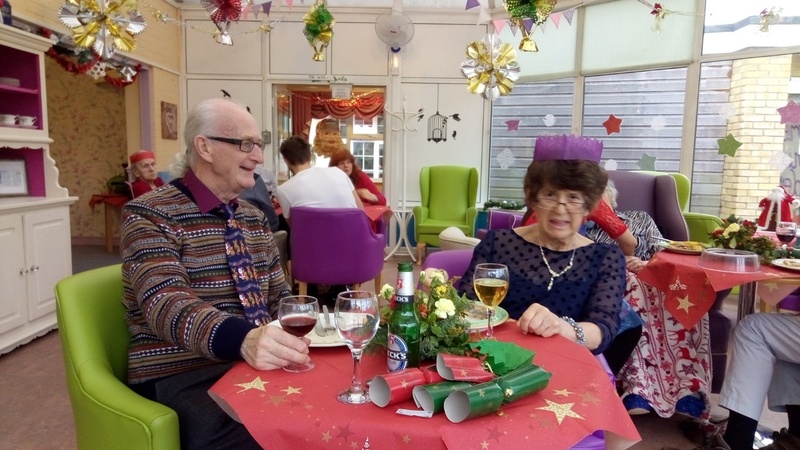 OH WHAT JOY IT IS TO BEING PART OF A SOCIAL CLUB…. 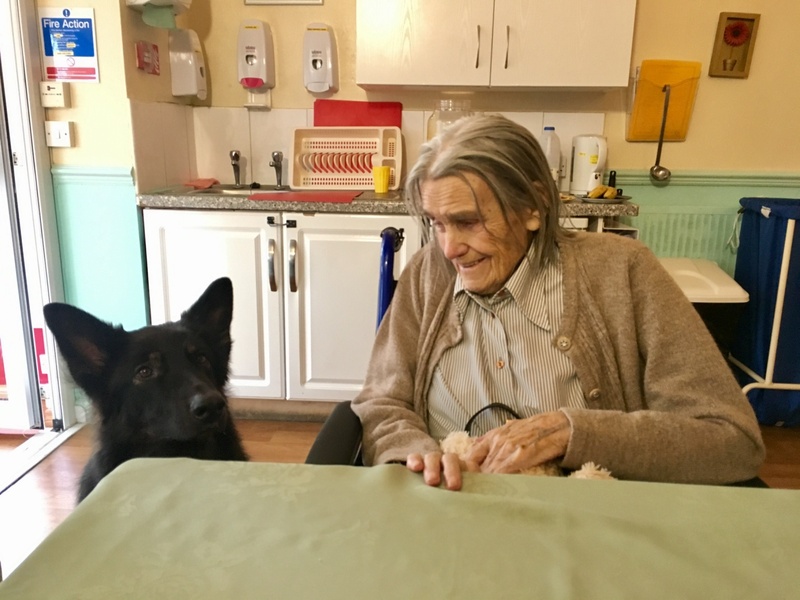 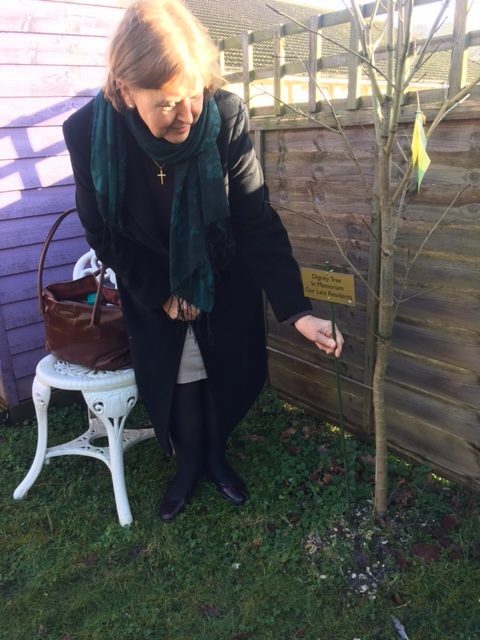 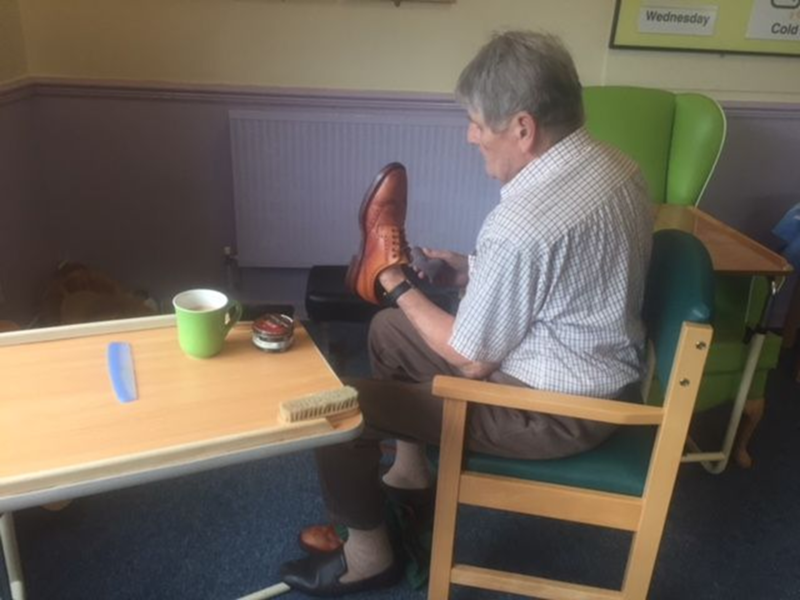 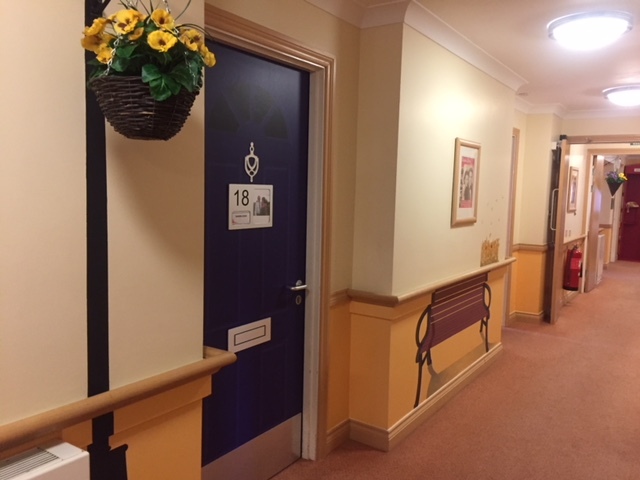 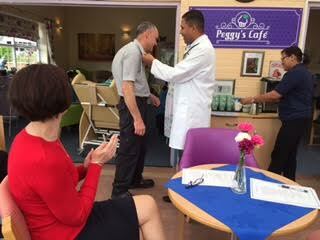 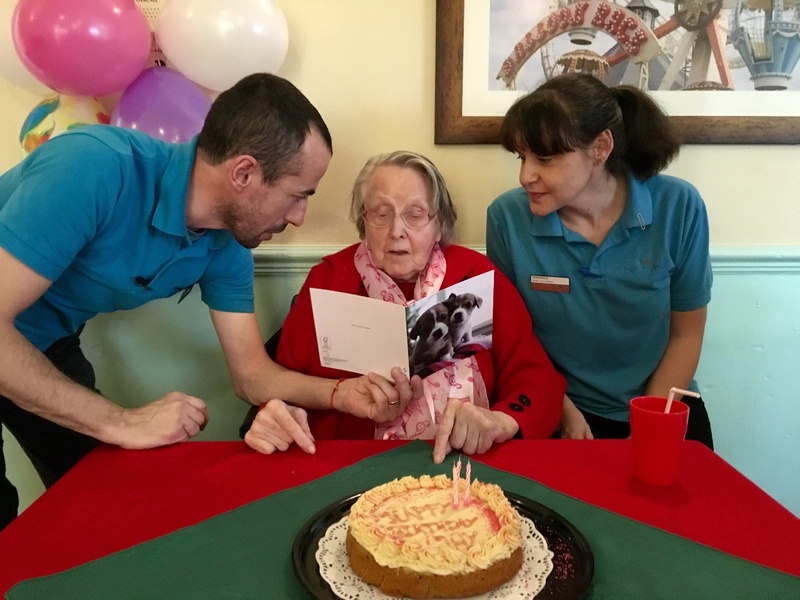 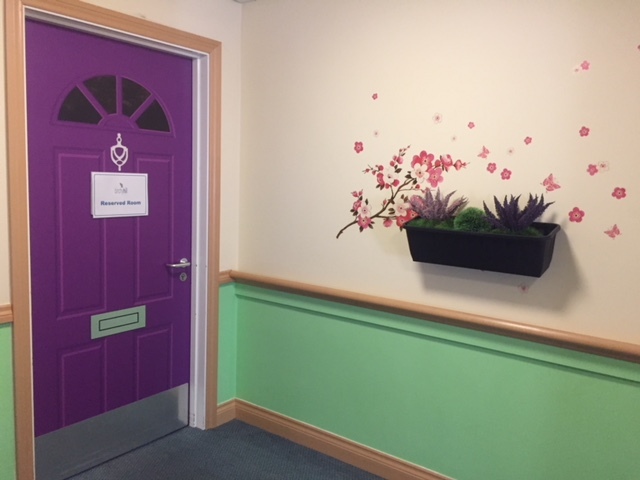 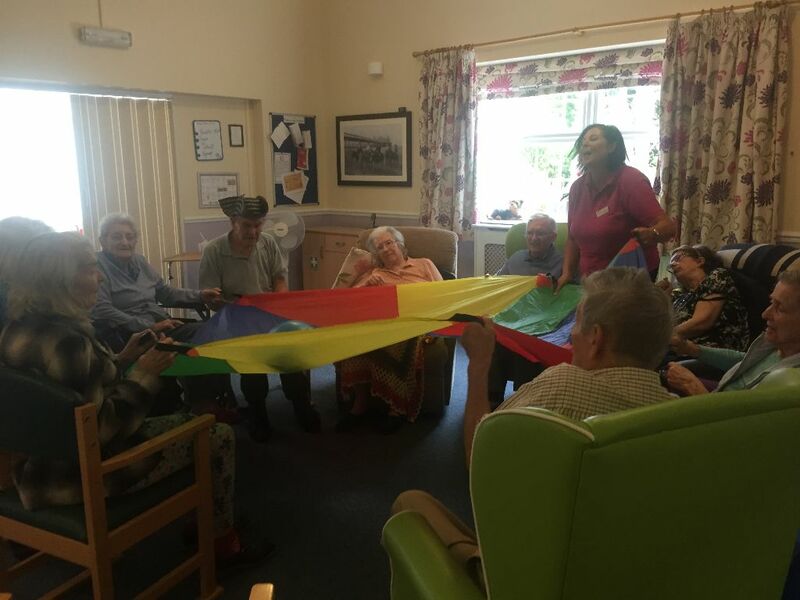 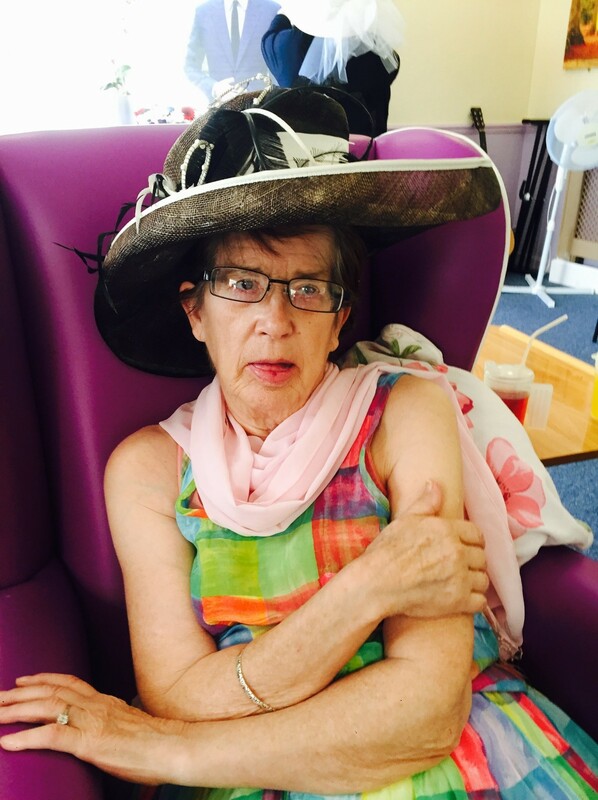 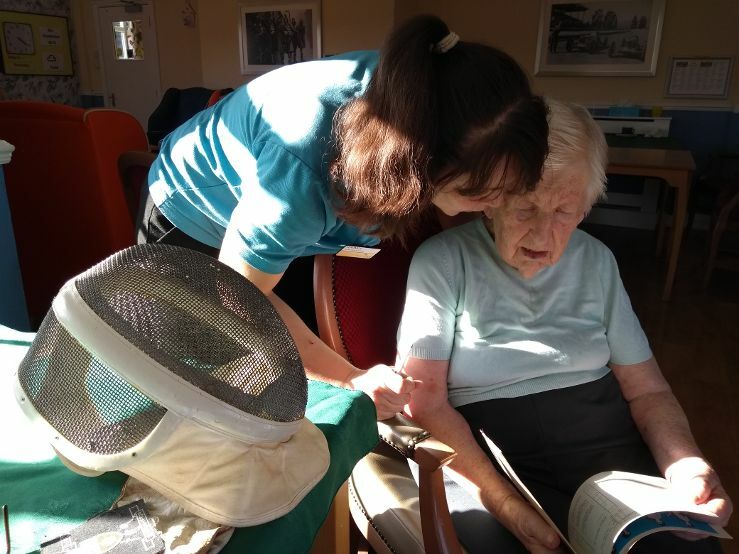 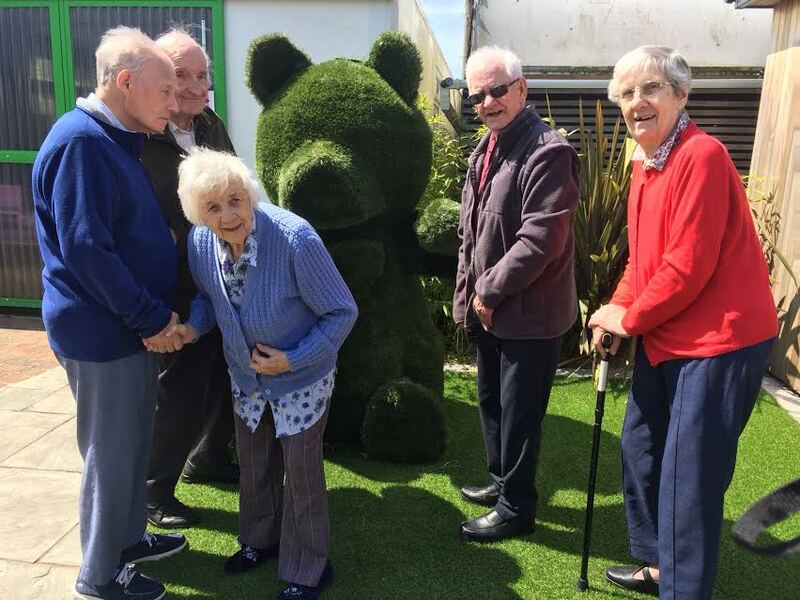 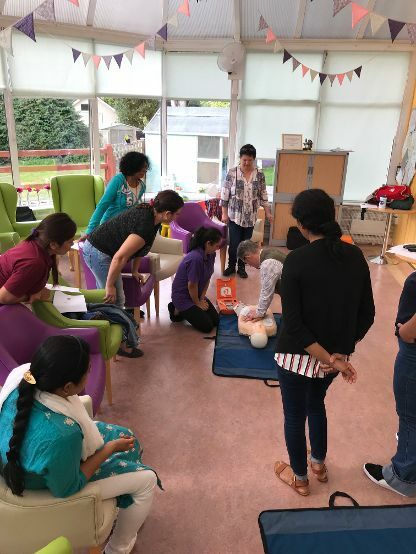 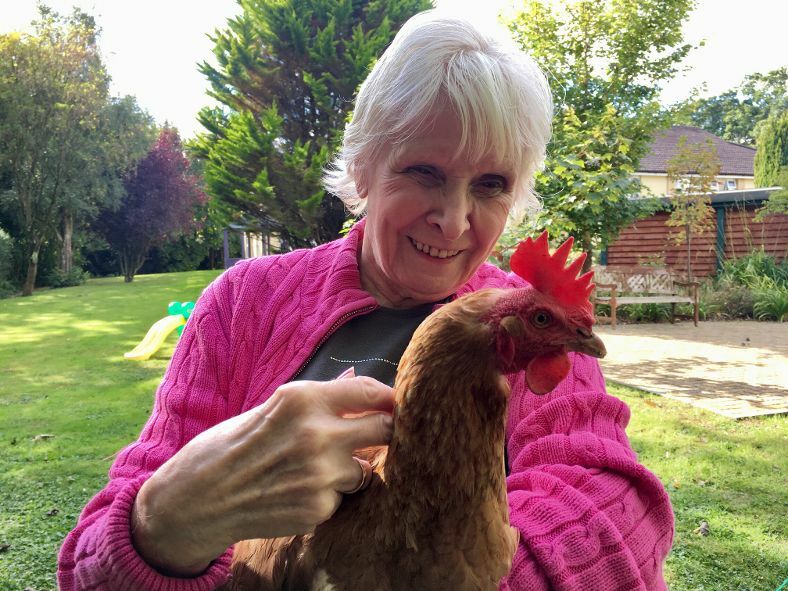 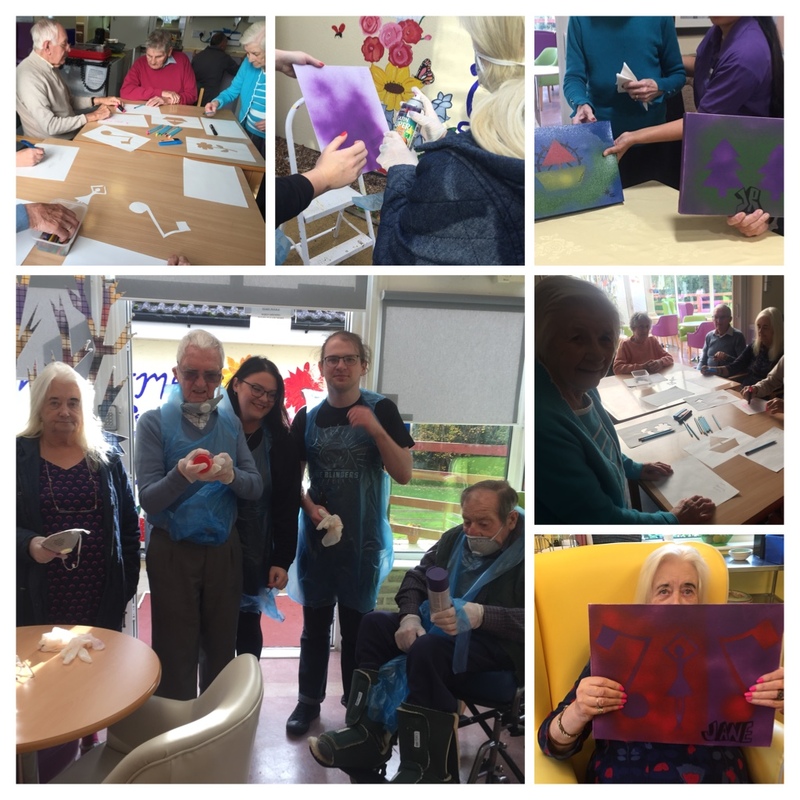 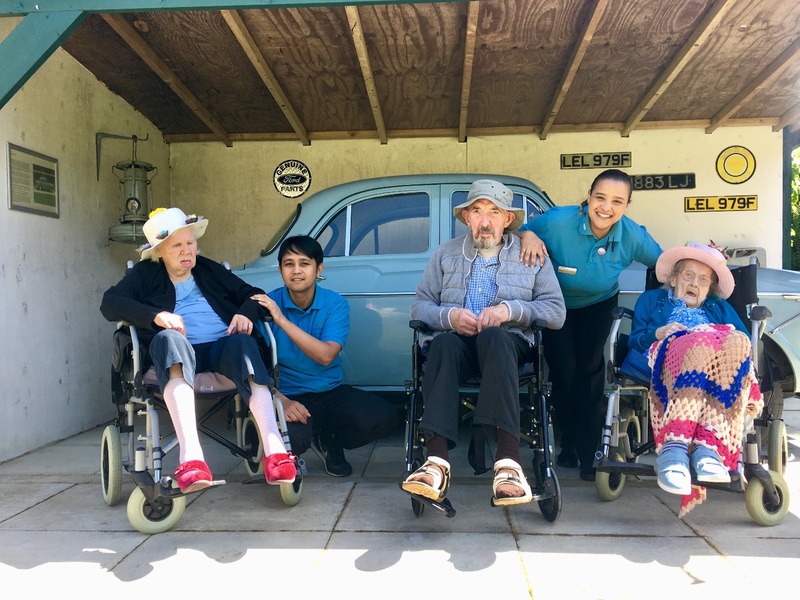 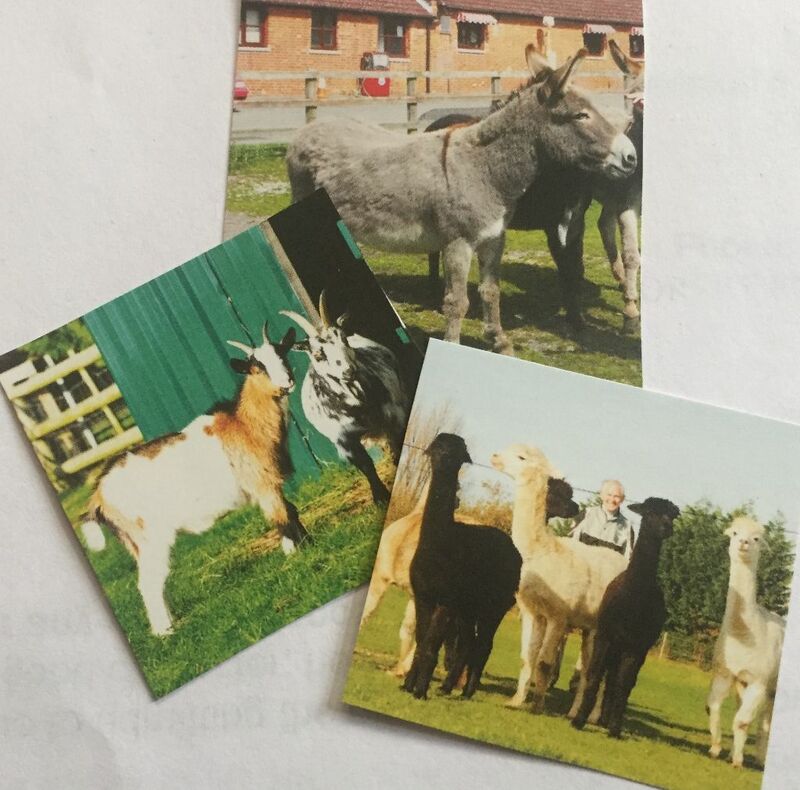 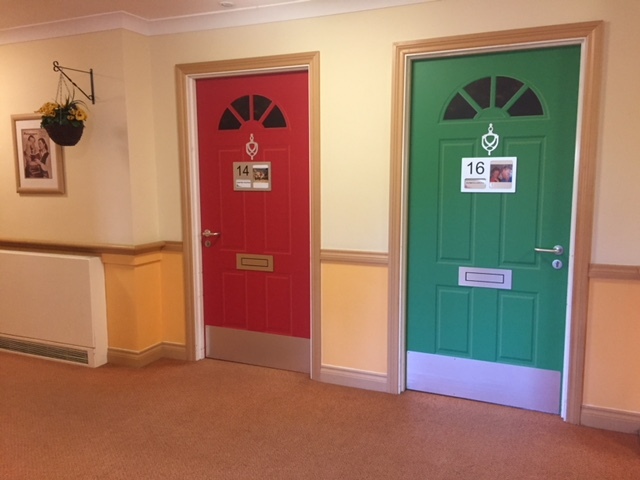 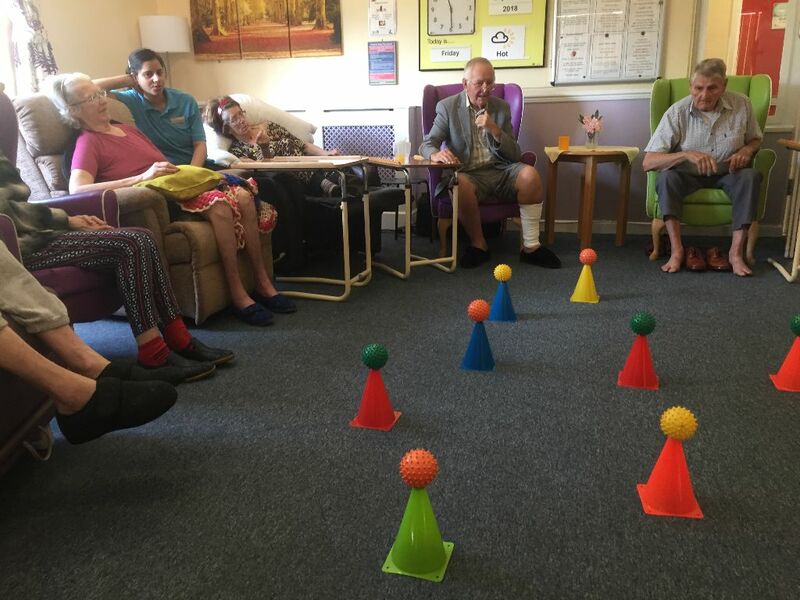 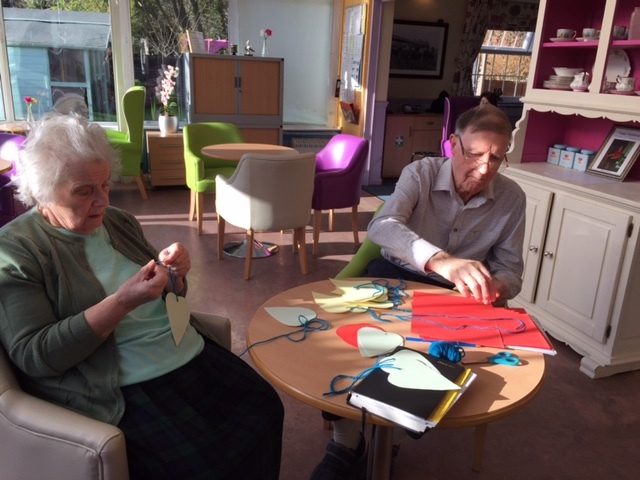 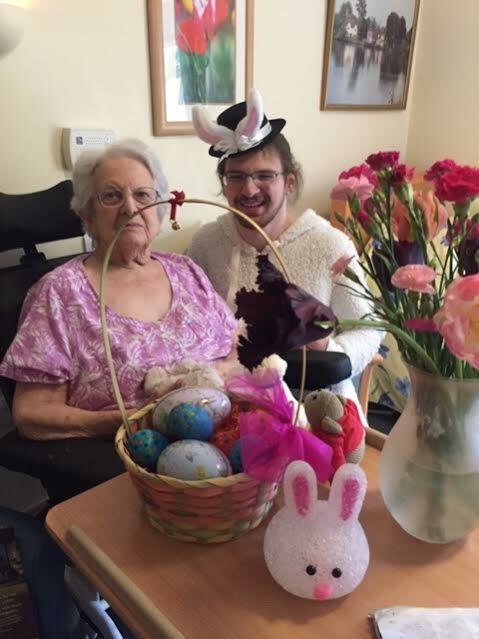 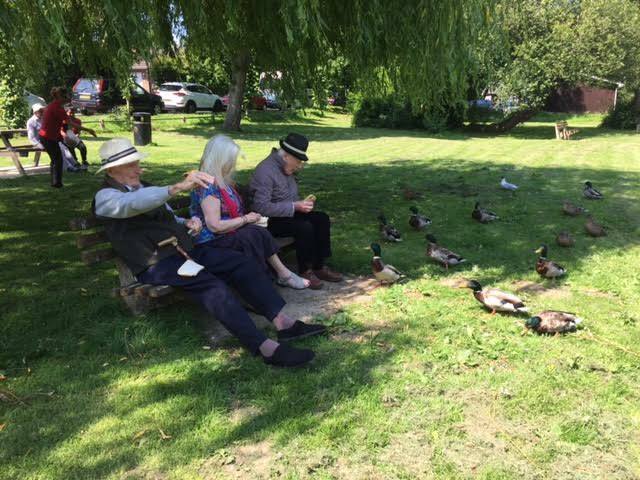 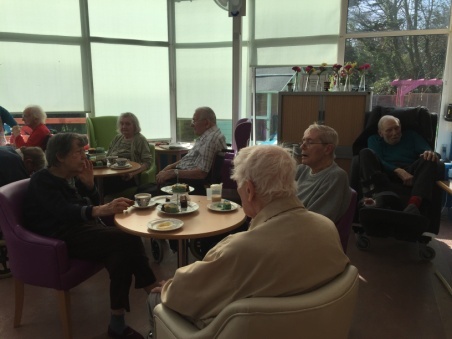 Living in a Care or a Nursing Home doesn’t mean you can’t be part of the wider community any more. 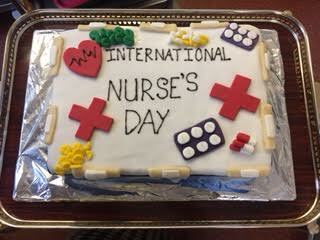 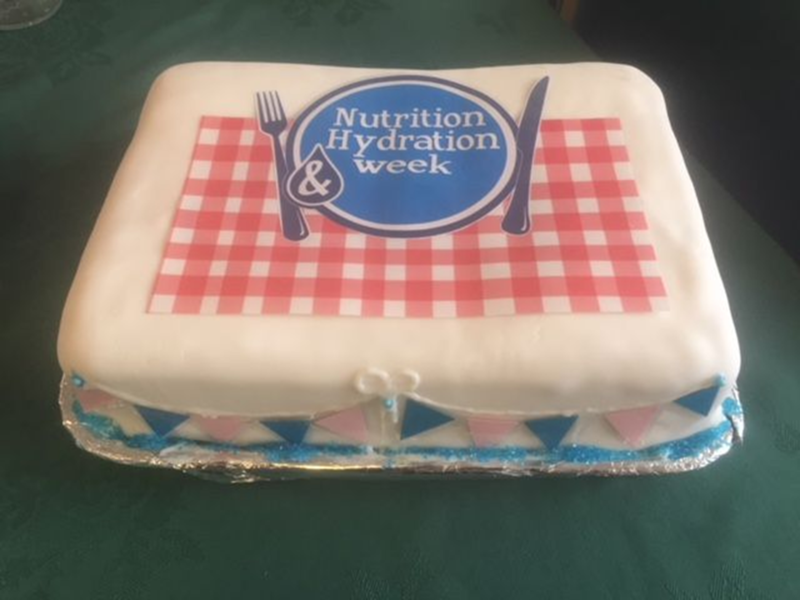 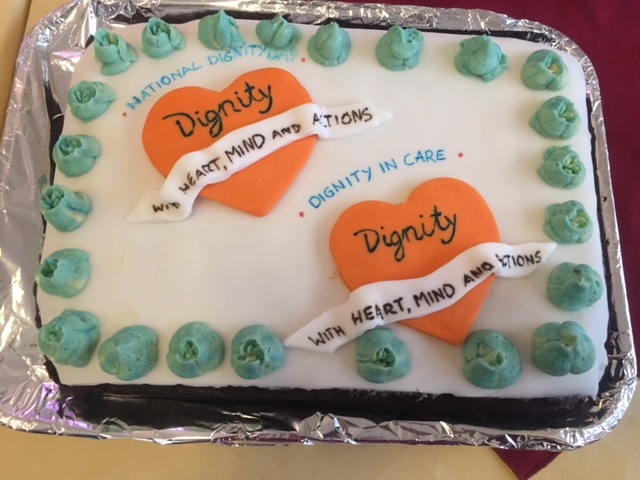 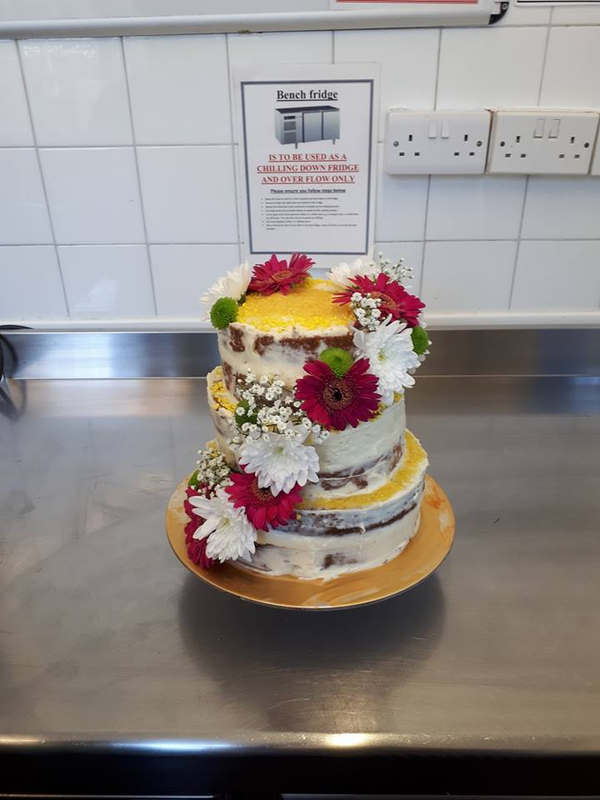 GUESS THE WEIGHT OF THE CAKE…………. 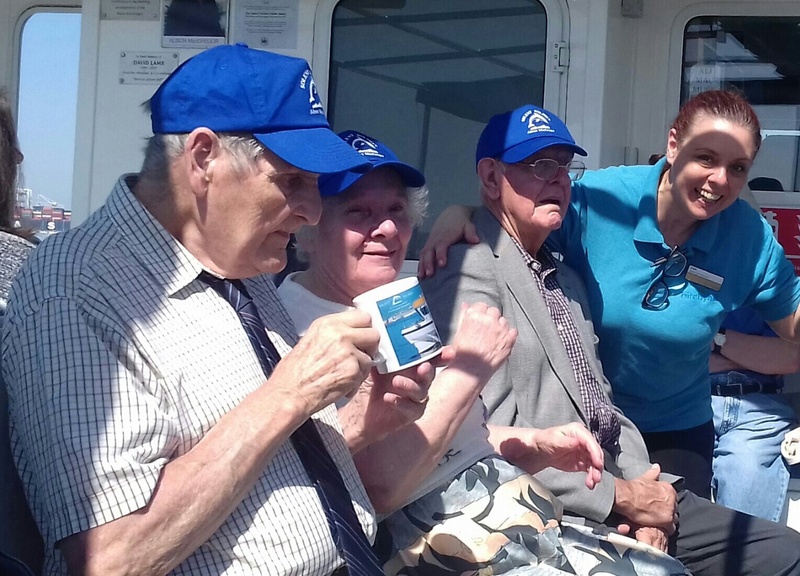 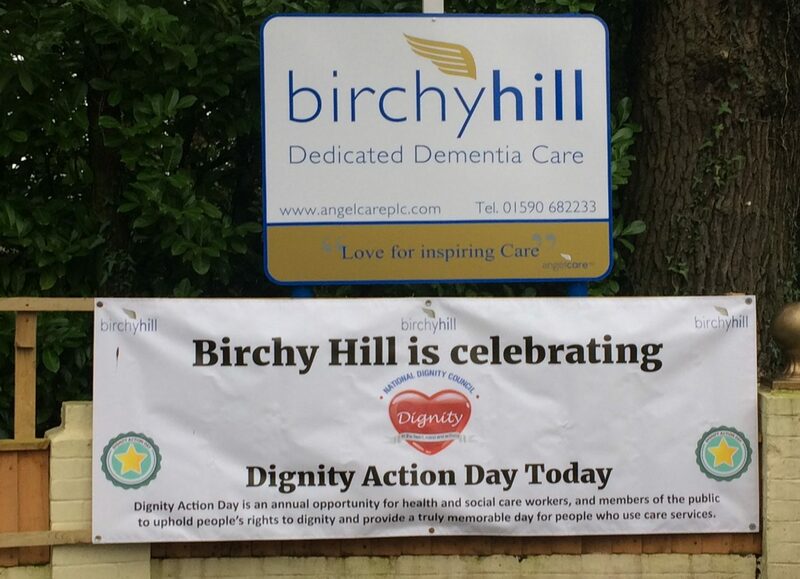 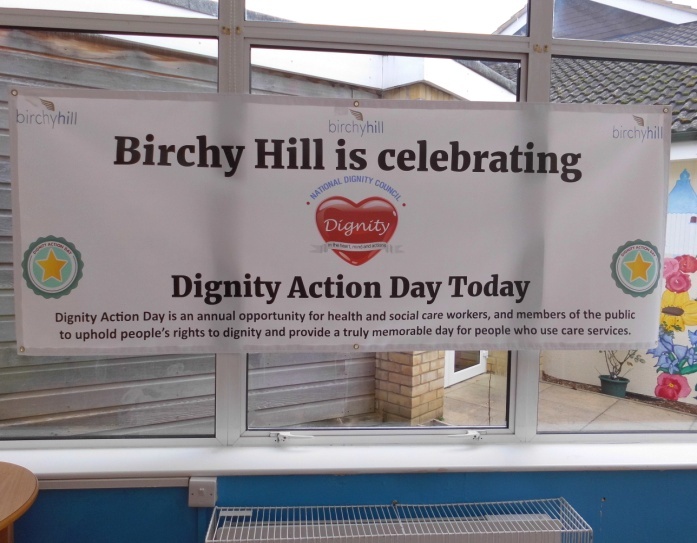 Staff and Friends of Birchy Hill are hosting a Memory Walk for the Alzheimer’s Society on Saturday 4th August 2018. 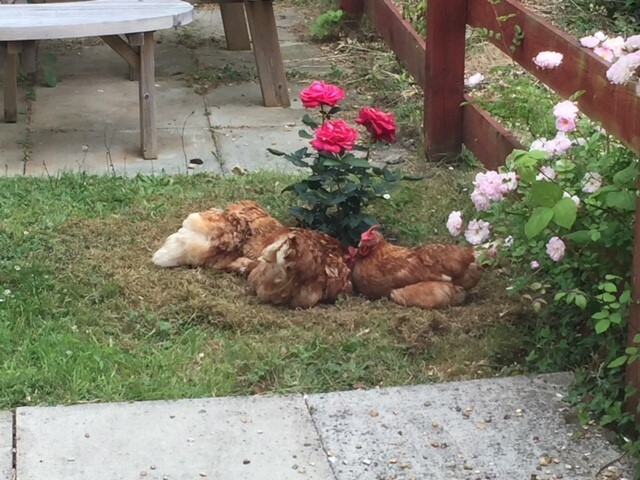 TOO HOT FOR THE GIRLS…………. 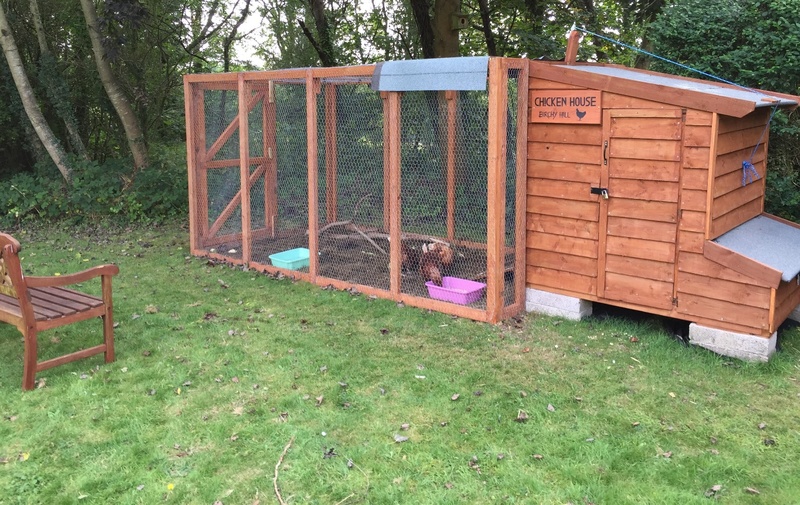 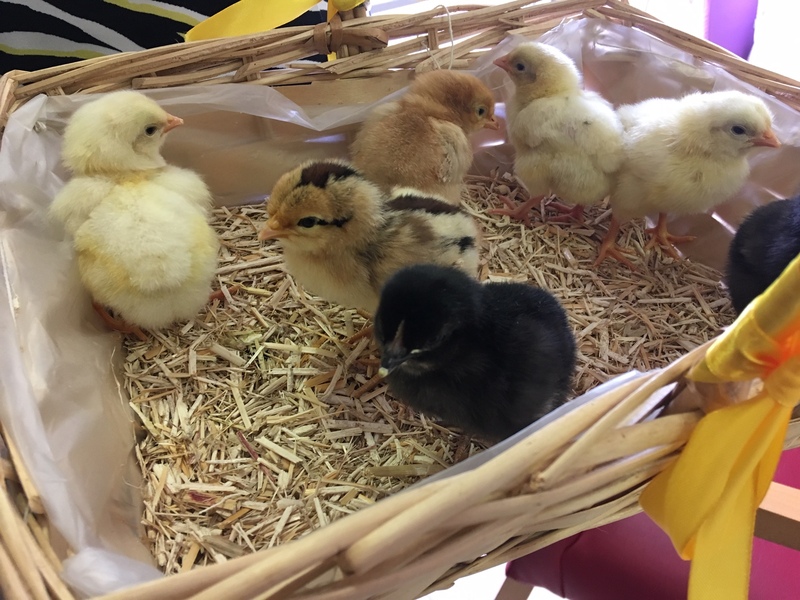 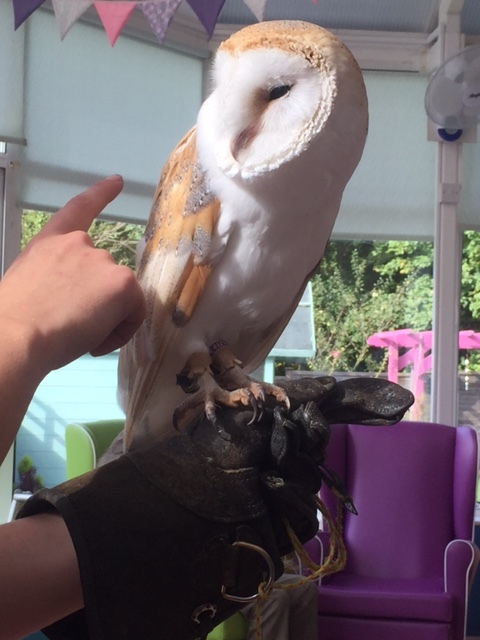 PUT YOUR HANDS UP IN THE AIR….. 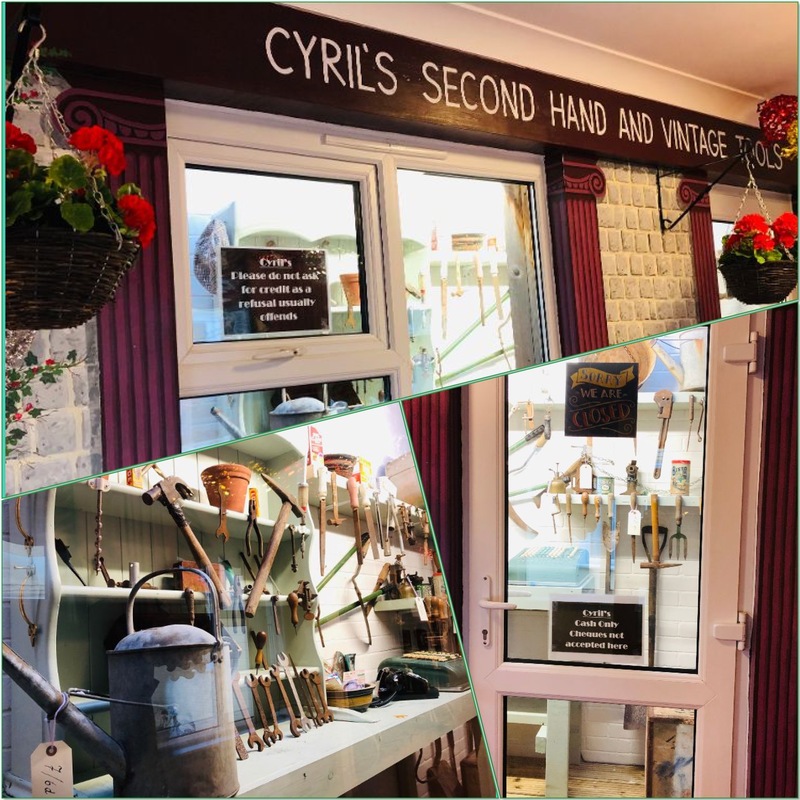 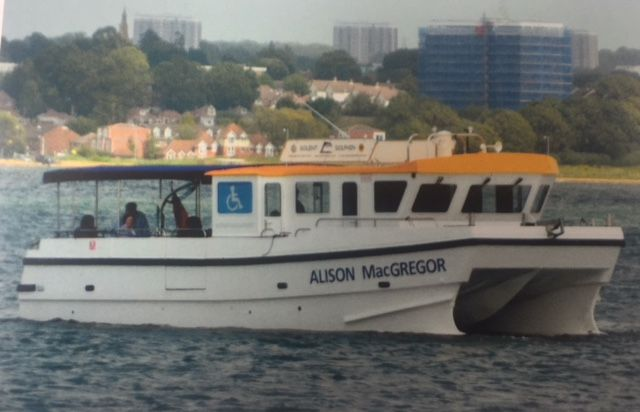 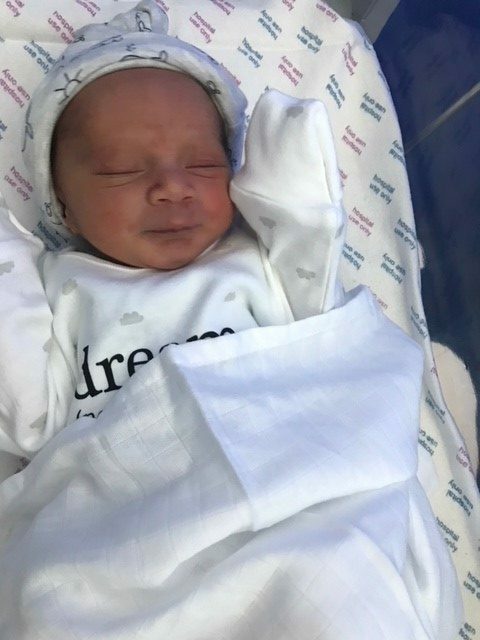 PLEASE WELCOME THE NEW ARRIVAL………………………..
HYTHE MARINA – HERE WE COME!! 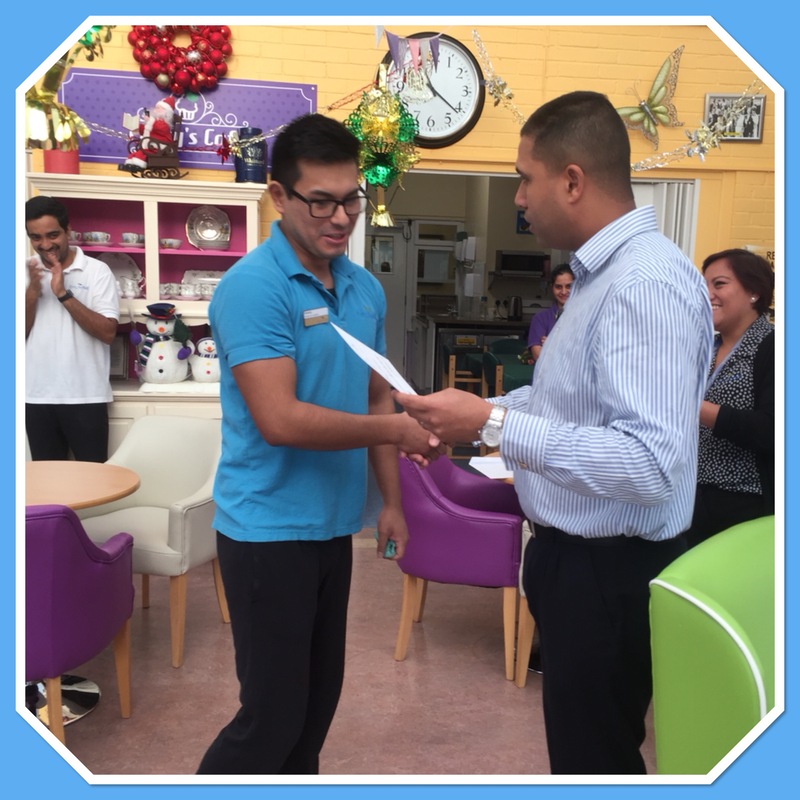 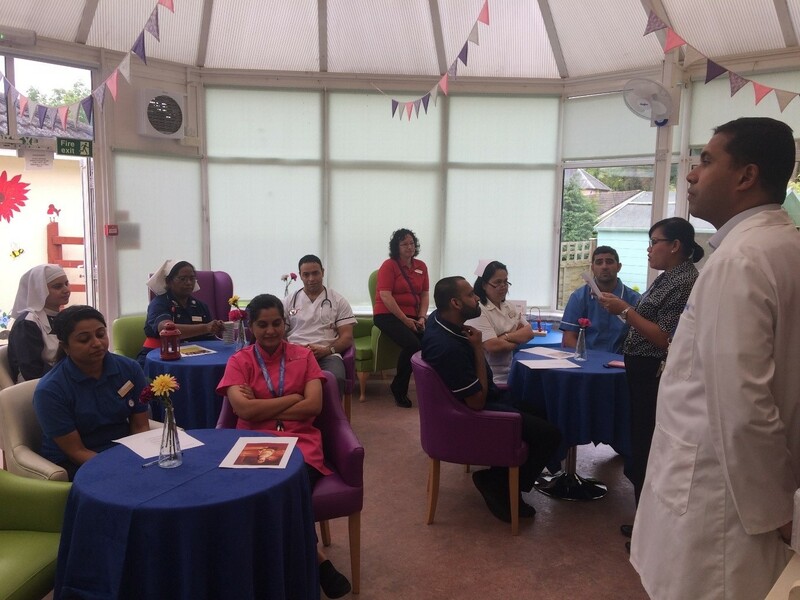 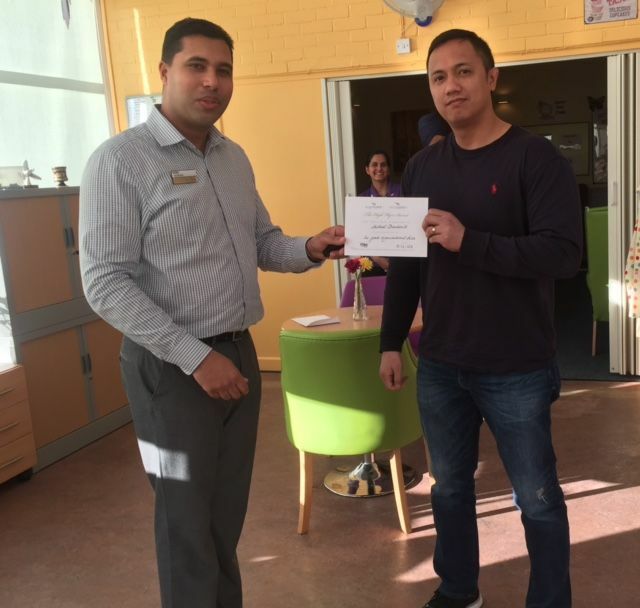 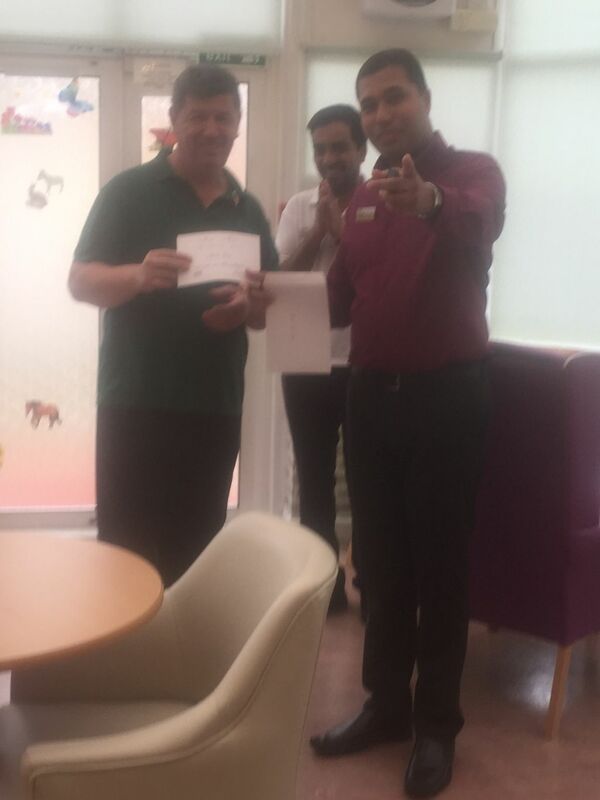 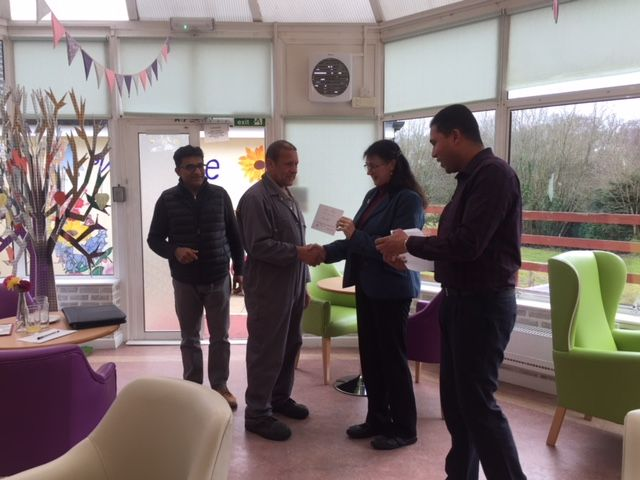 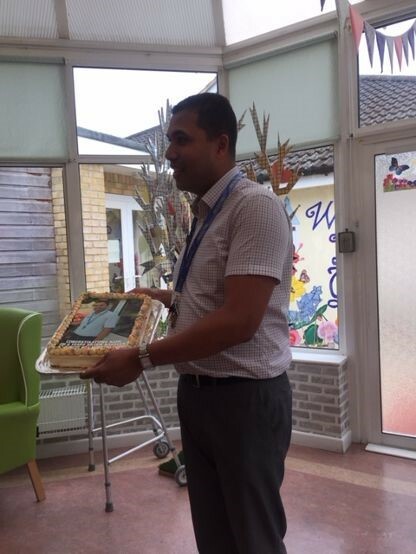 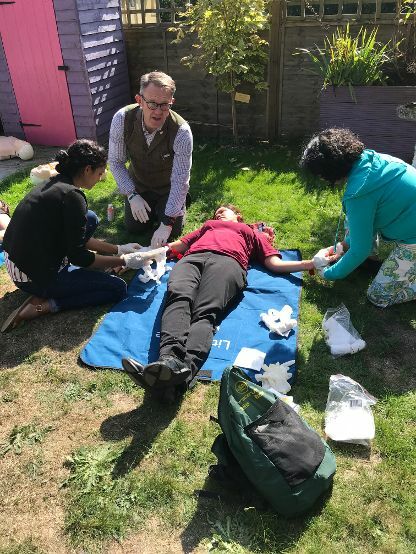 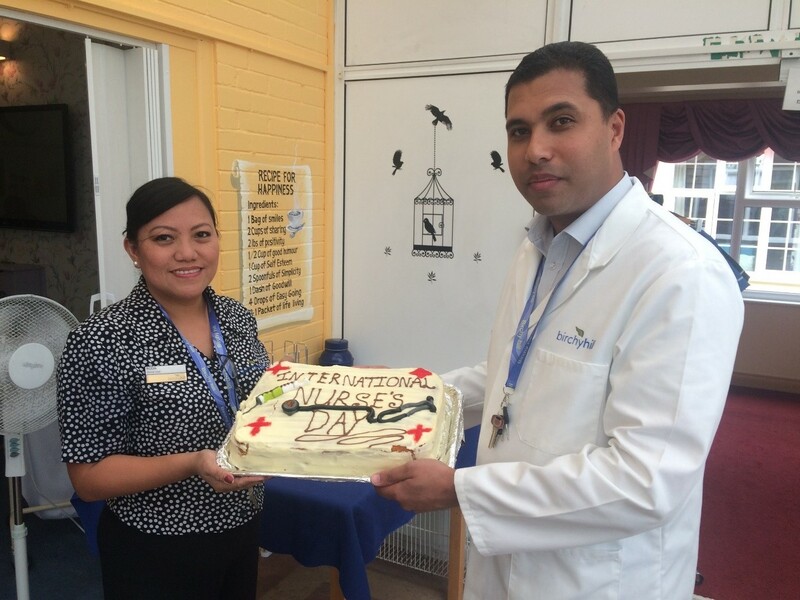 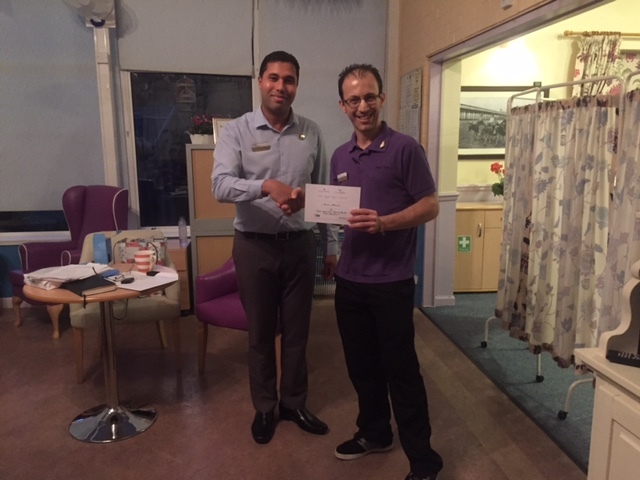 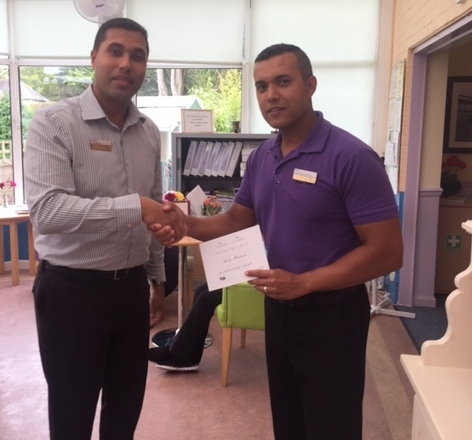 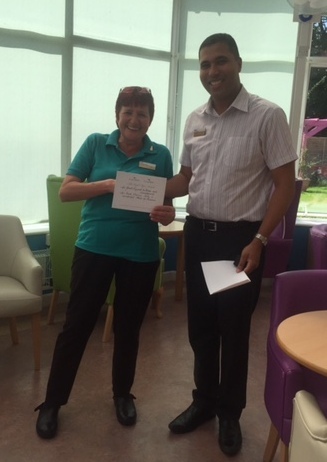 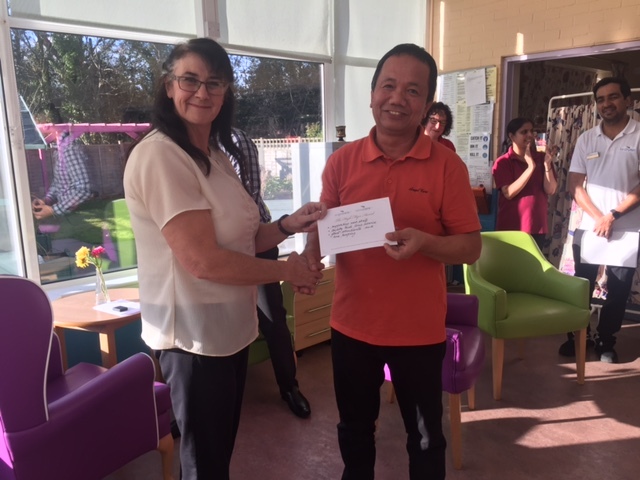 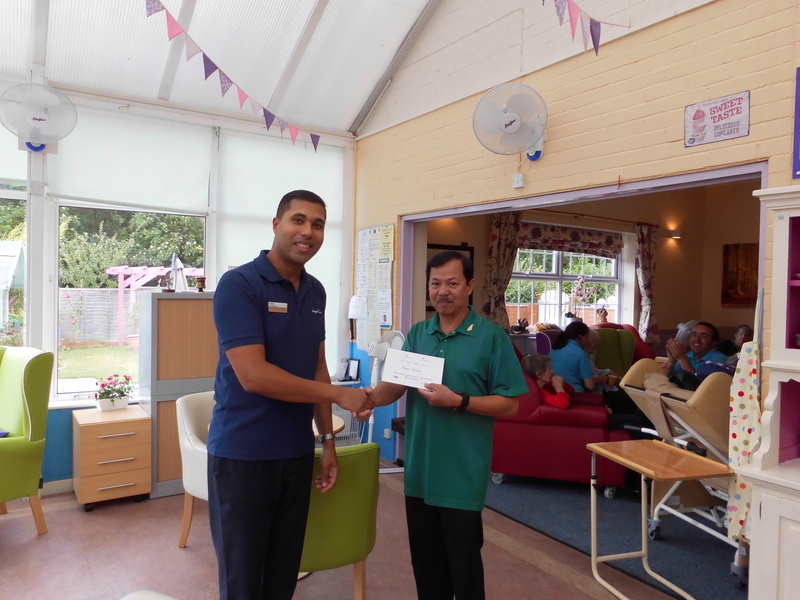 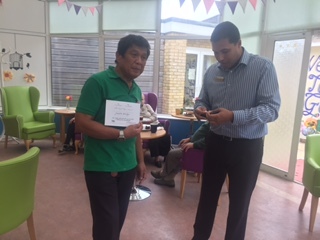 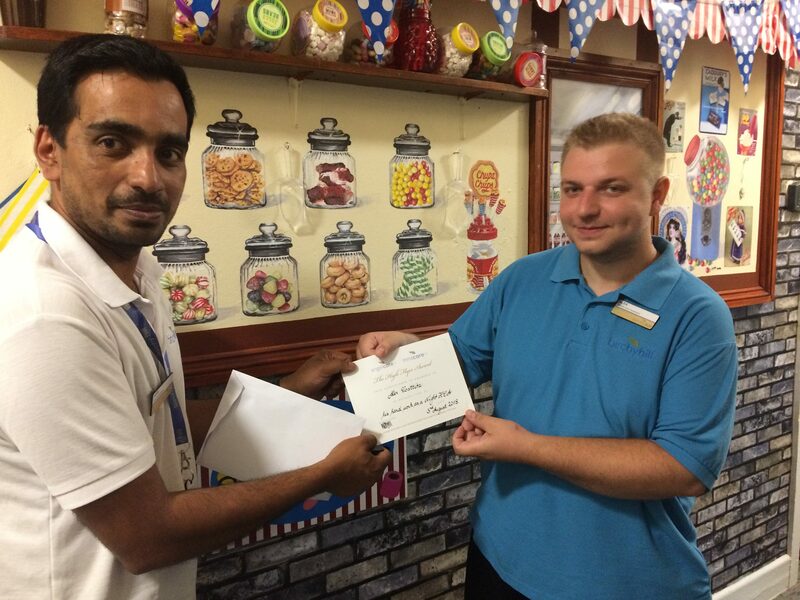 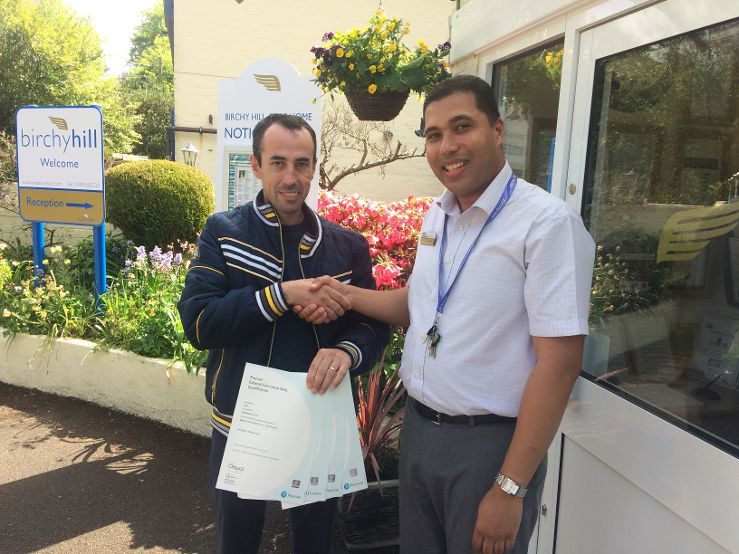 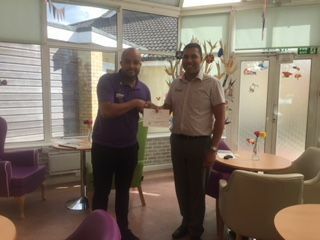 We celebrated Mark Yon’s Anniversary, being our highly valued Manager in Birchy Hill for 6 years on 28th May 2018. 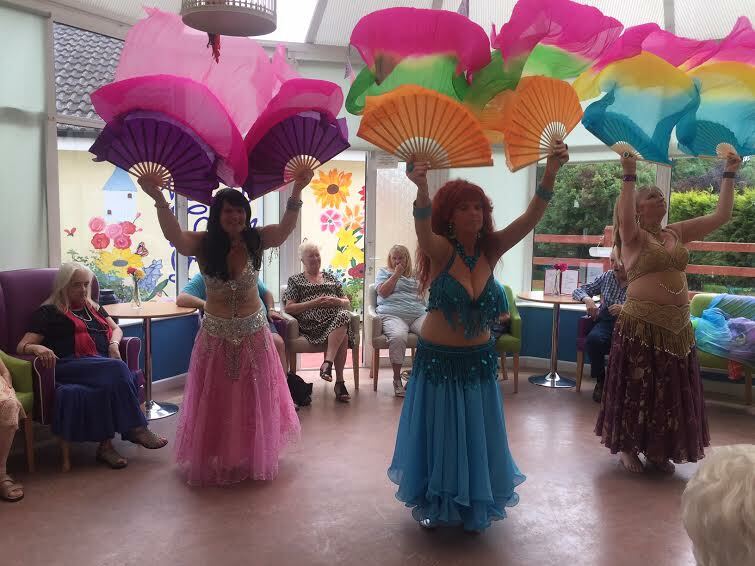 THE COLOURS OF THE RAINBOW…………. 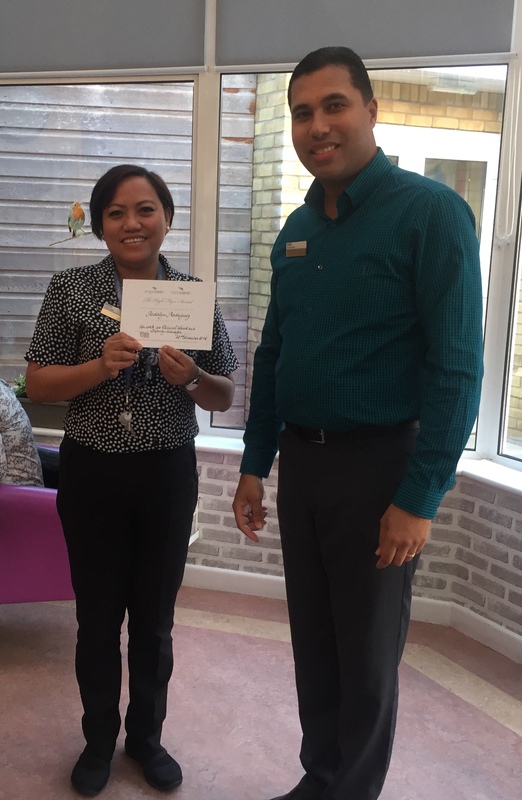 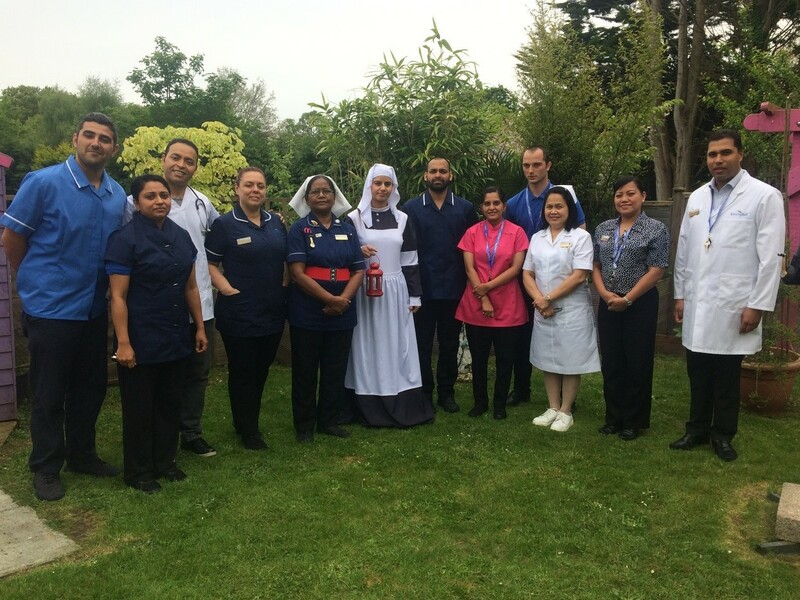 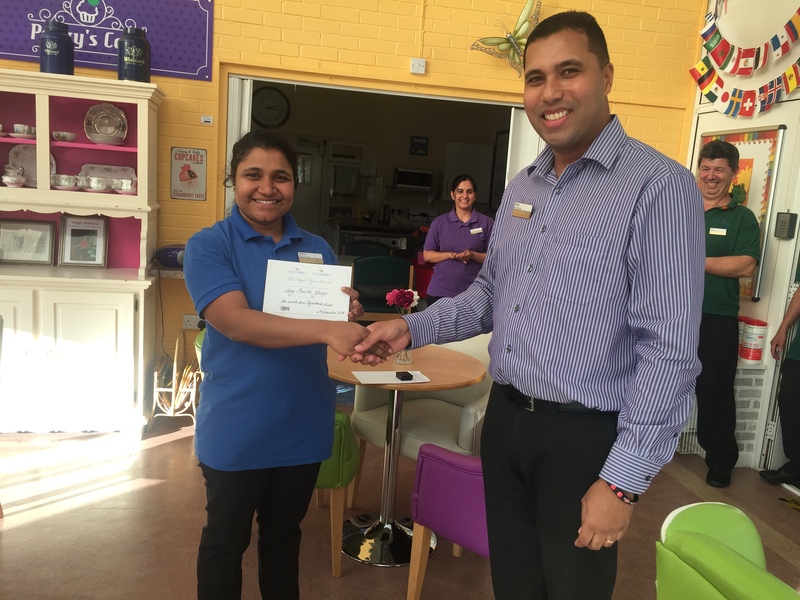 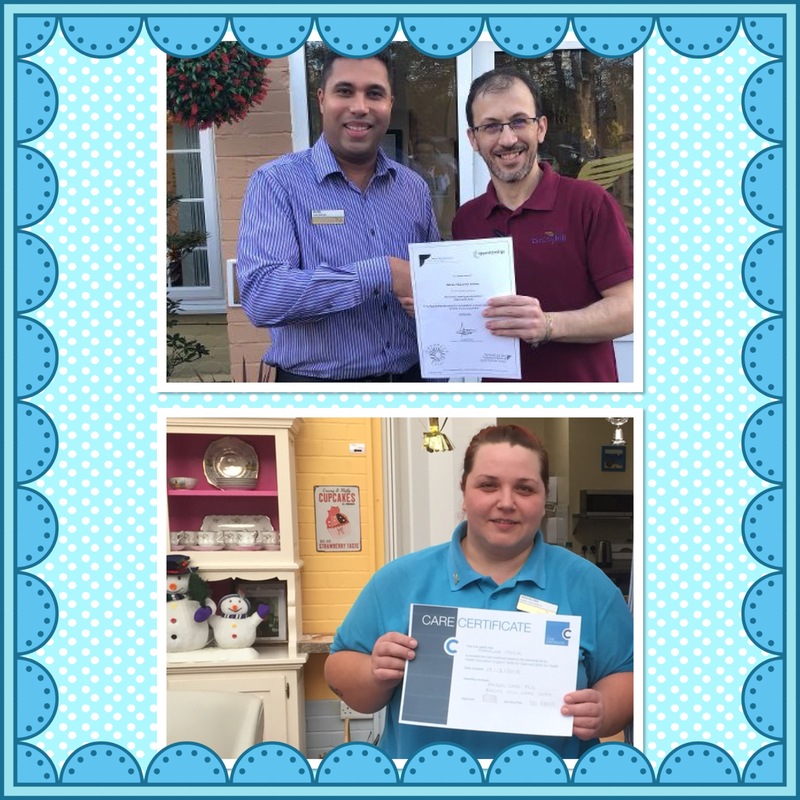 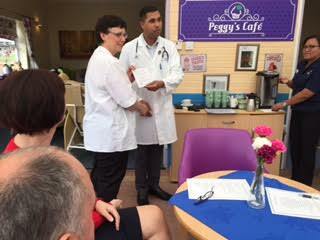 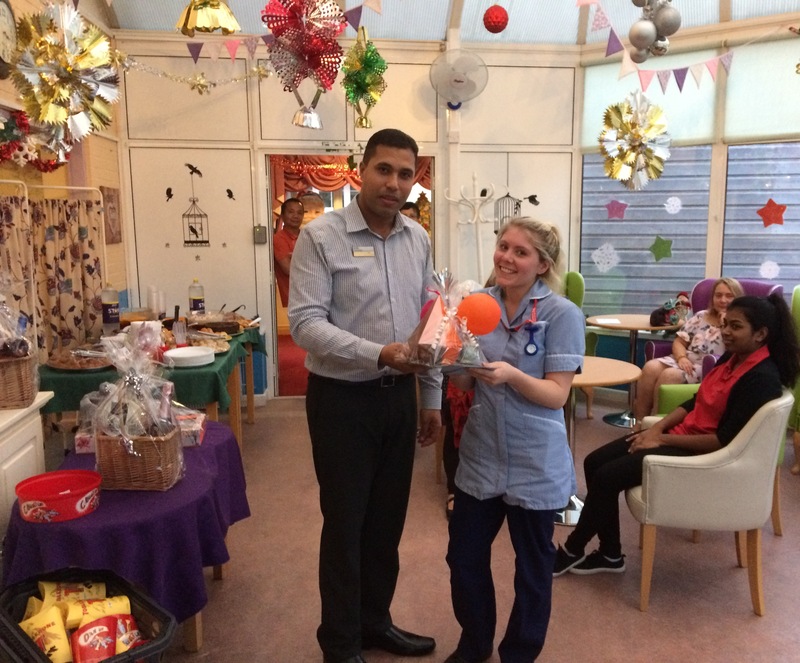 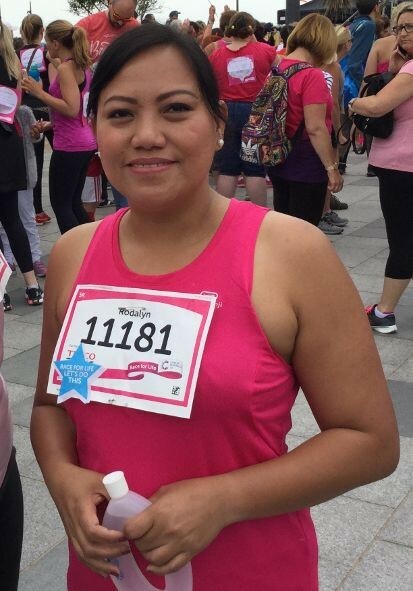 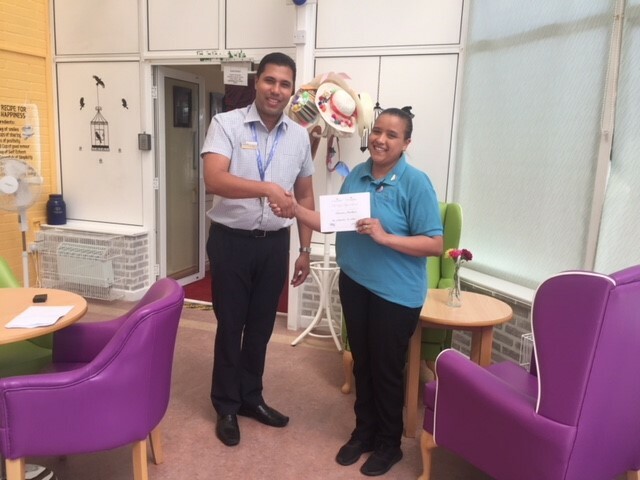 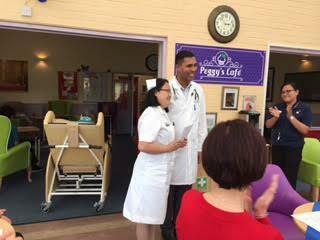 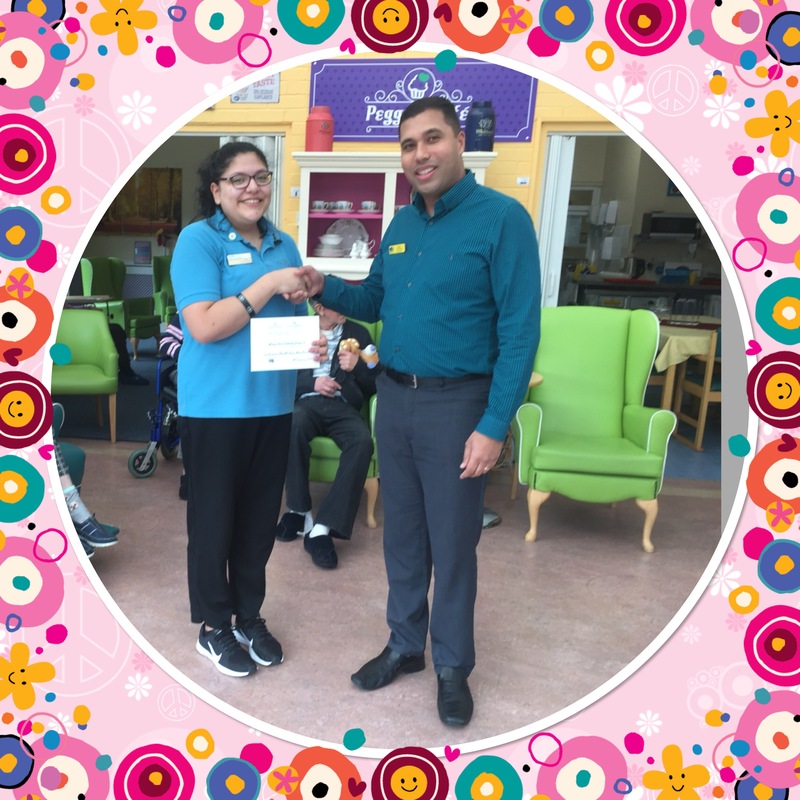 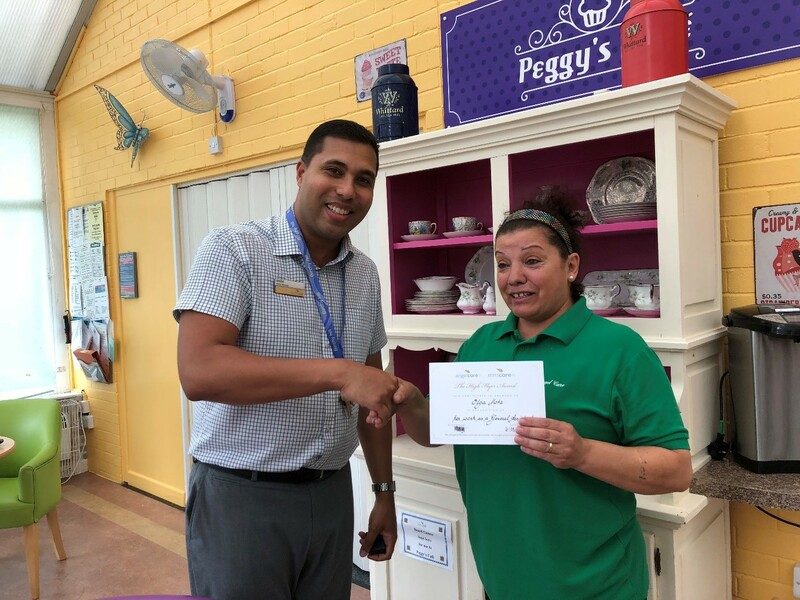 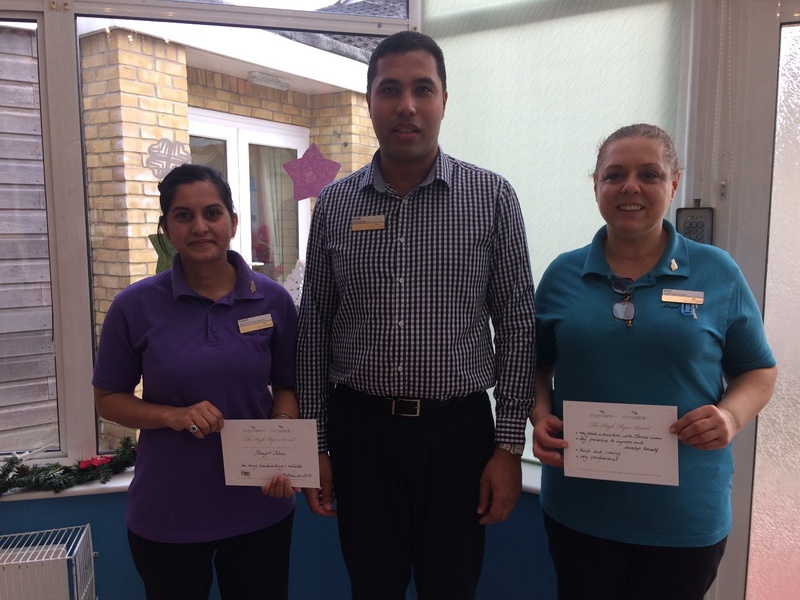 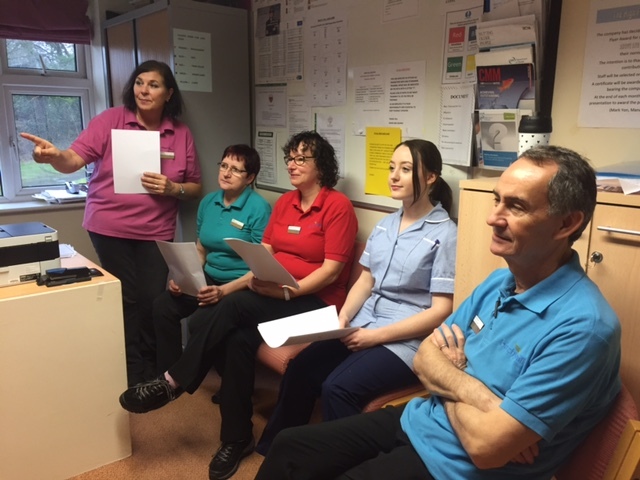 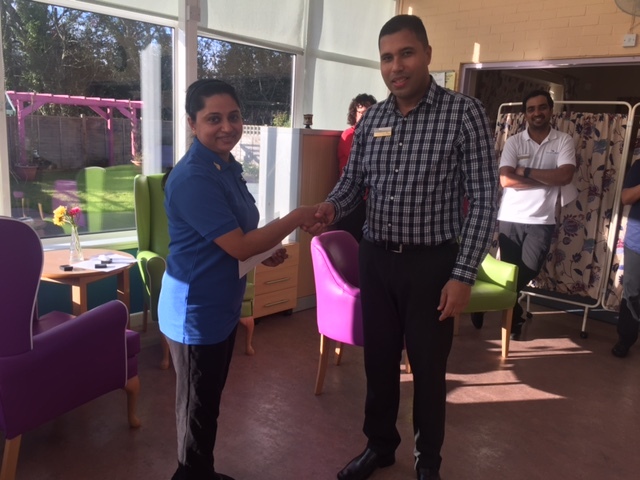 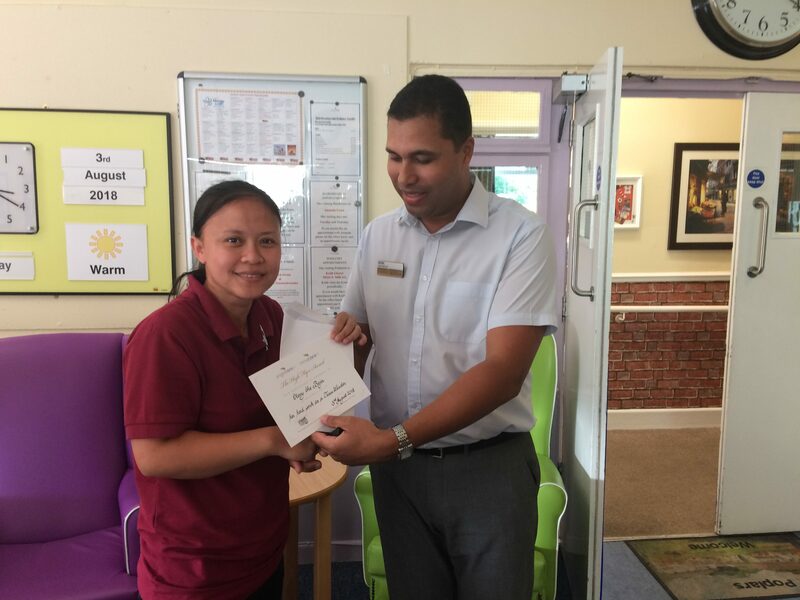 Claudia Monteiro, a very dedicated Health Care Assistant at Birchy Hill, was awarded the High Flyer Wing for April 2018. 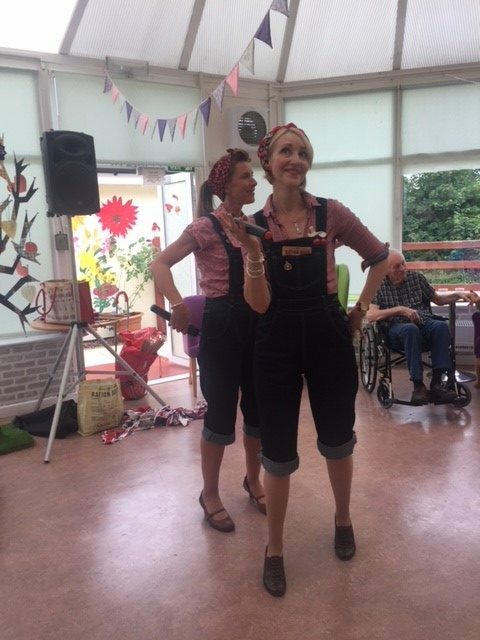 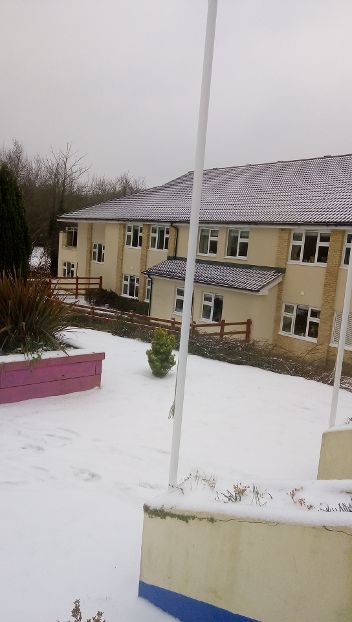 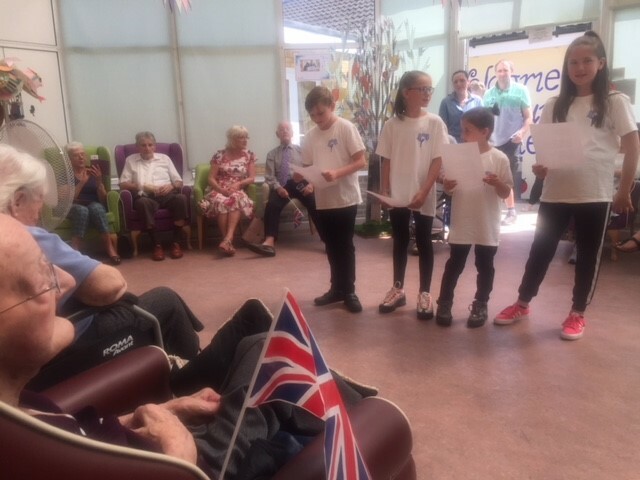 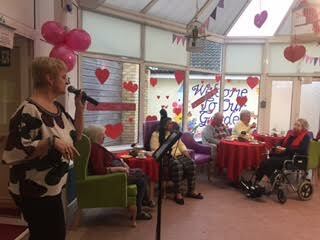 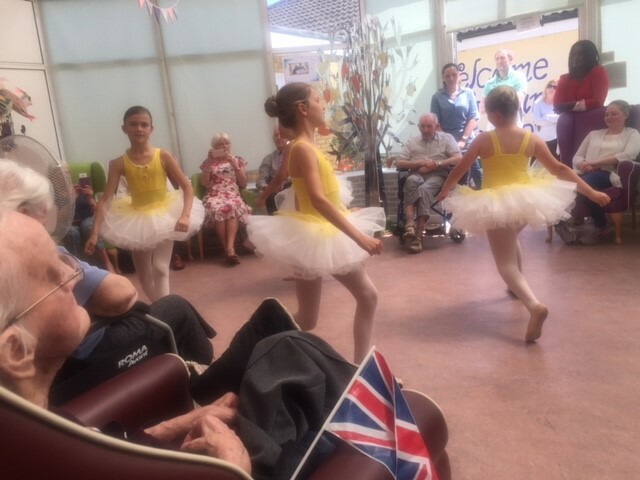 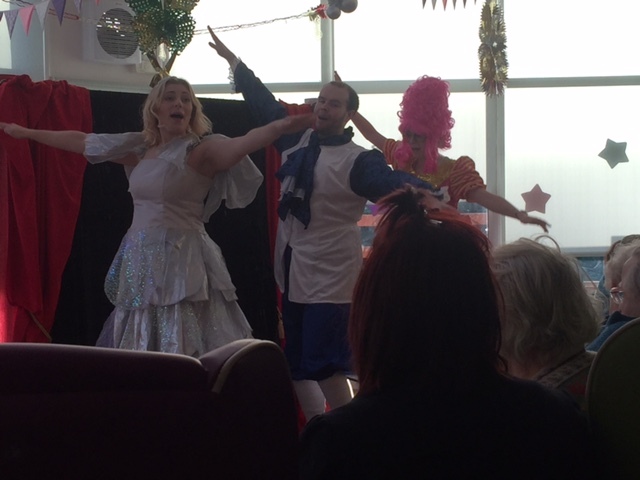 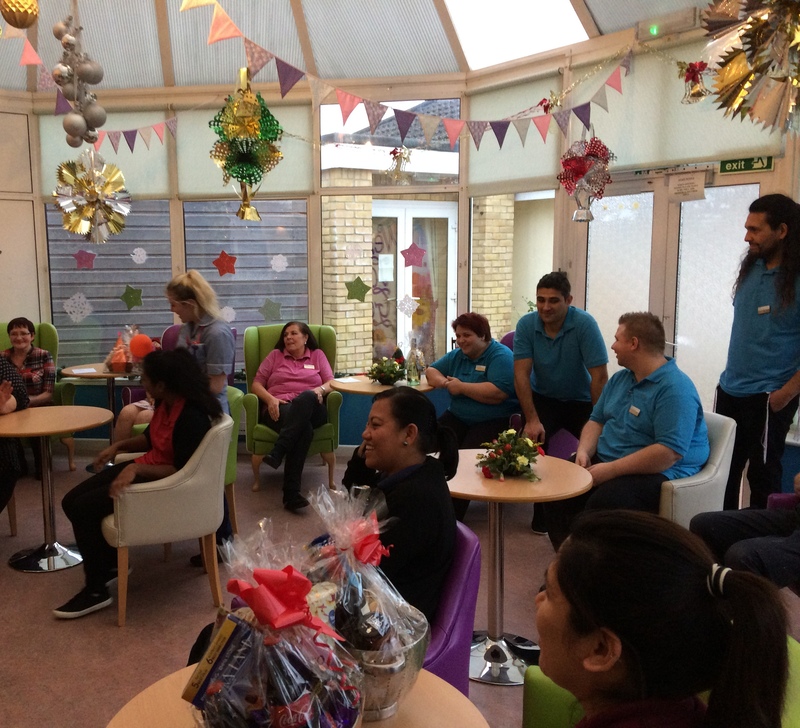 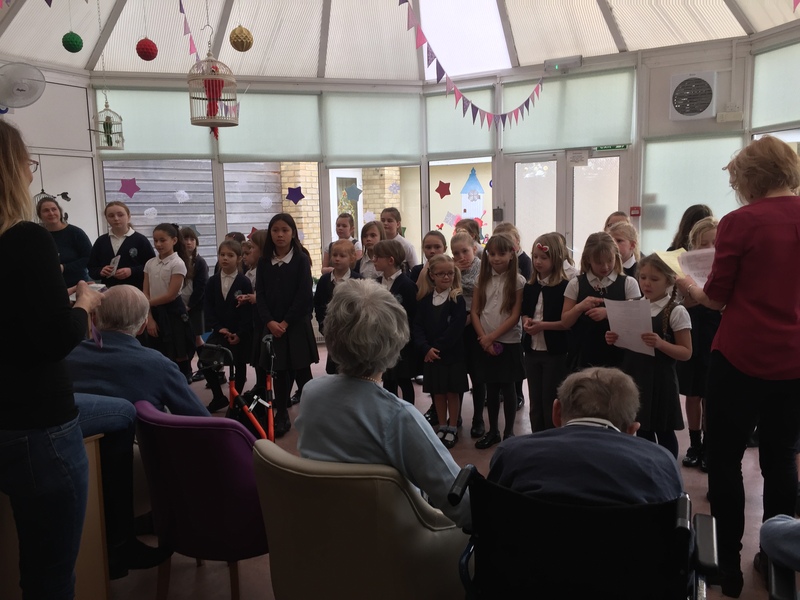 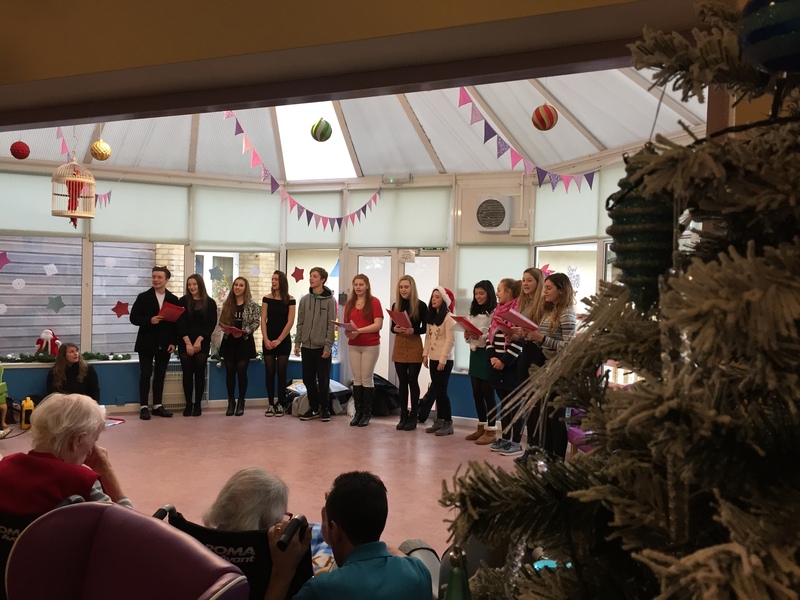 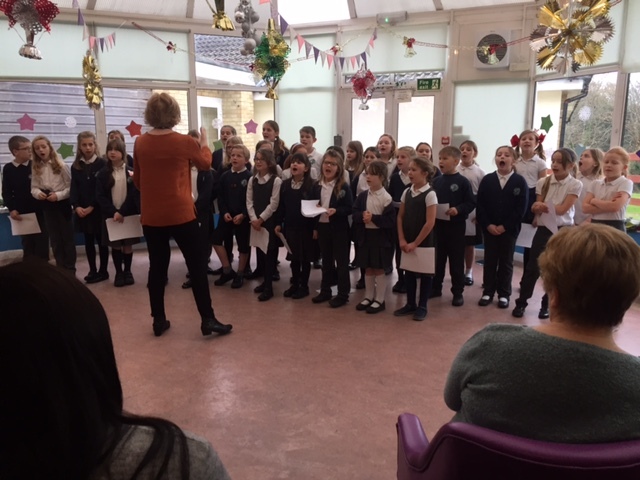 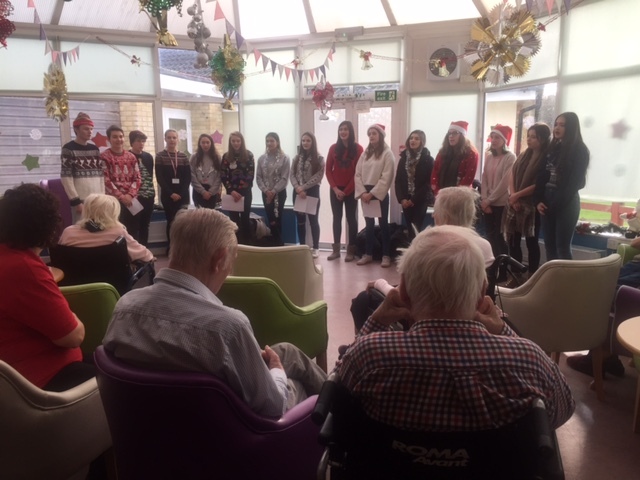 The Children from the New Forest Academy of Dance surprised us with some sing alongs All Residents could join in. 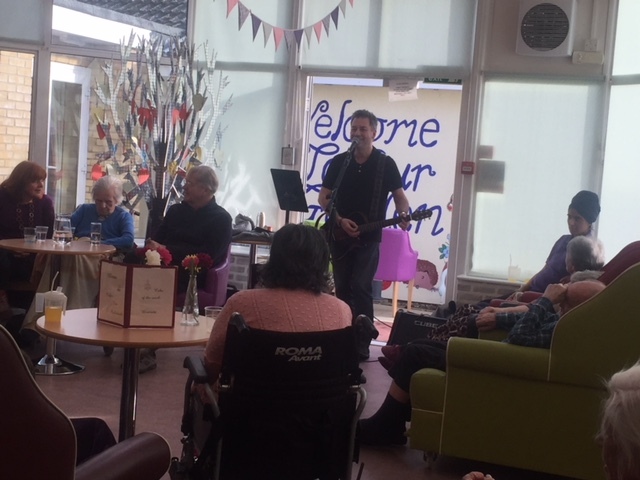 The guitarist Nigel Revell put on a good show and everyone was in good spirits when they heard his tunes. 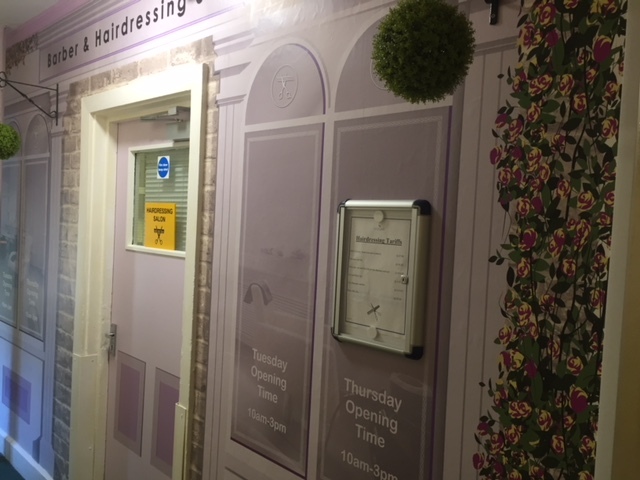 THIS IS A MAN’S WORLD……………………..
WHERE TO GO IF YOU WANT YOUR HAIR DONE? 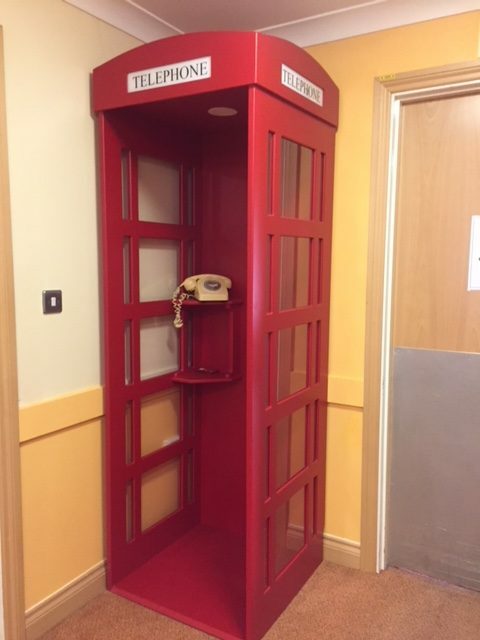 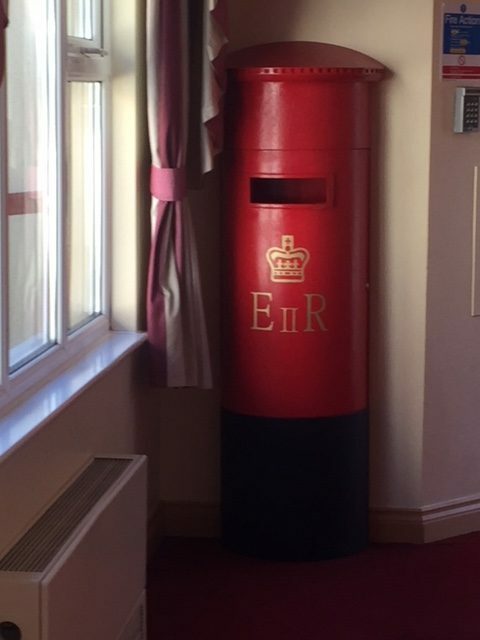 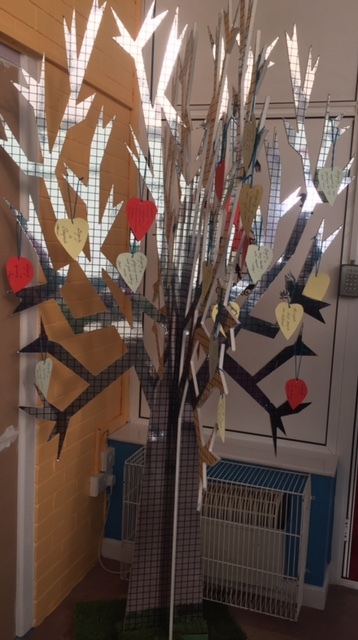 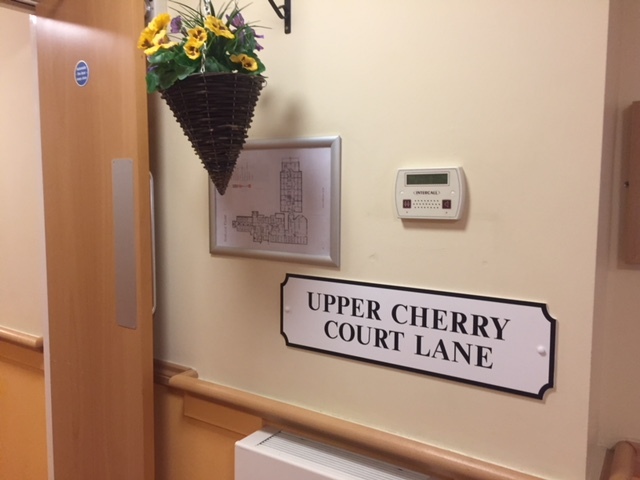 WHAT DID WE FIND IN UPPER CHERRY COURT? 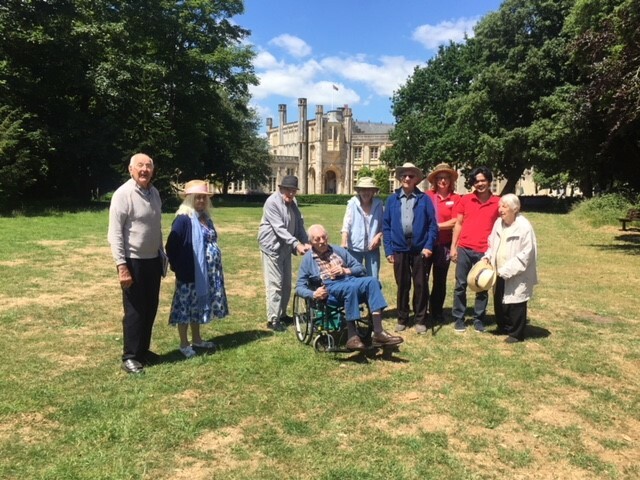 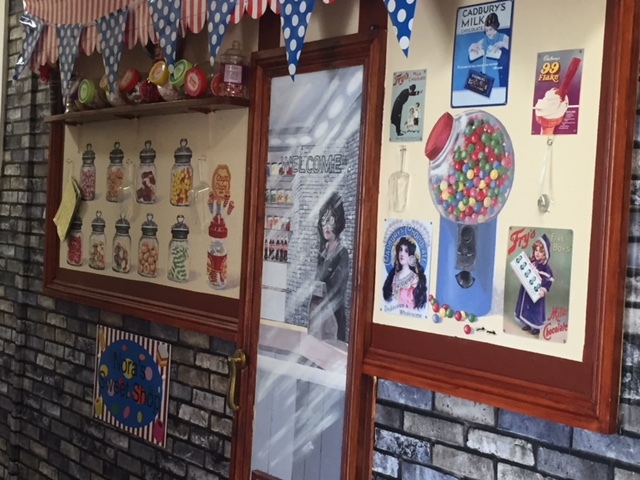 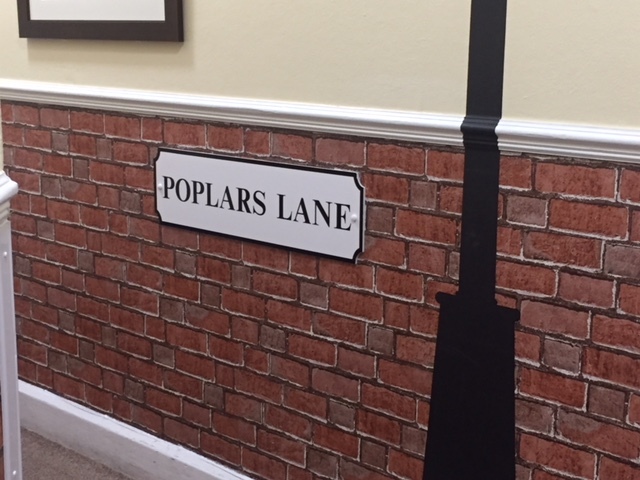 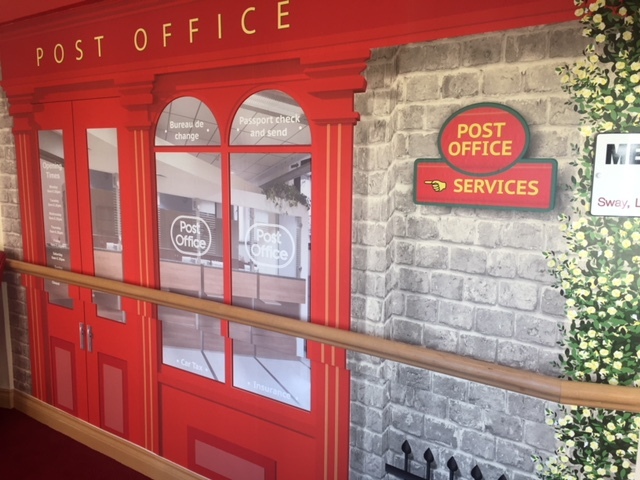 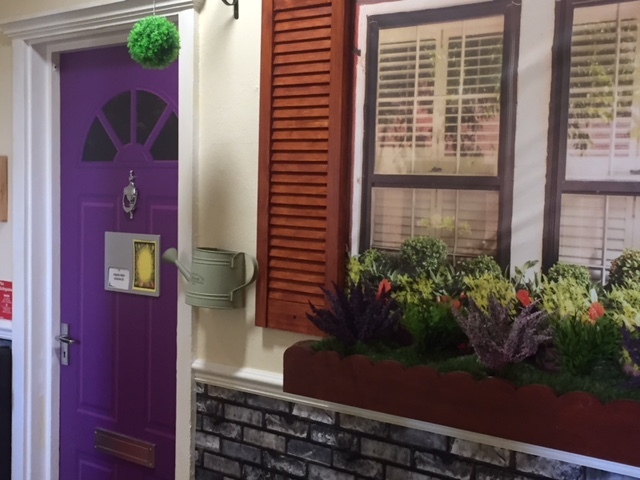 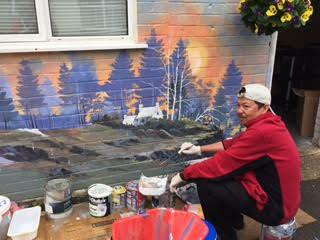 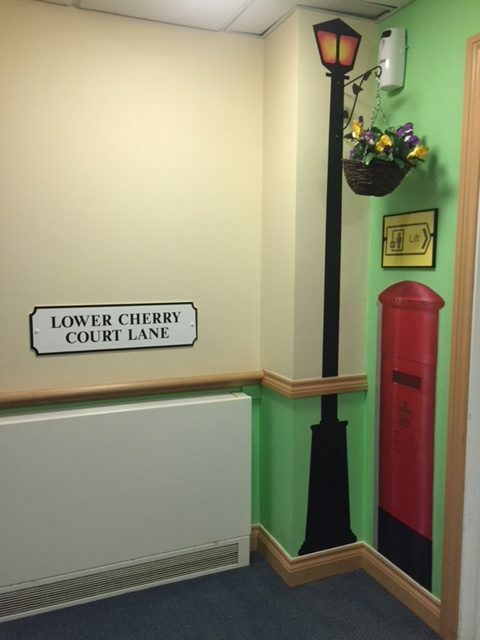 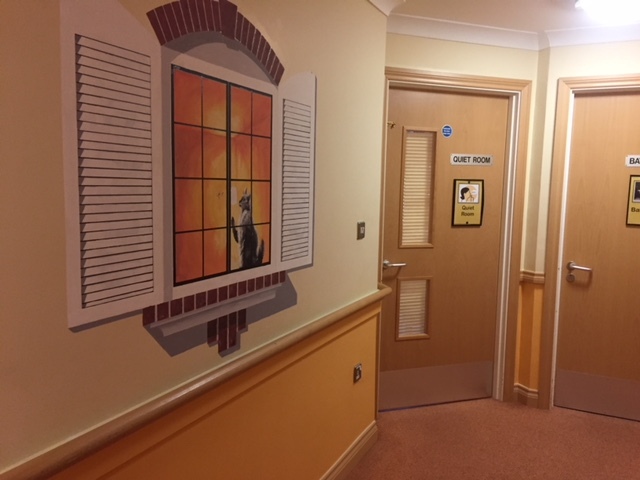 As we take a little walk through Upper Cherry Court – What will we see? 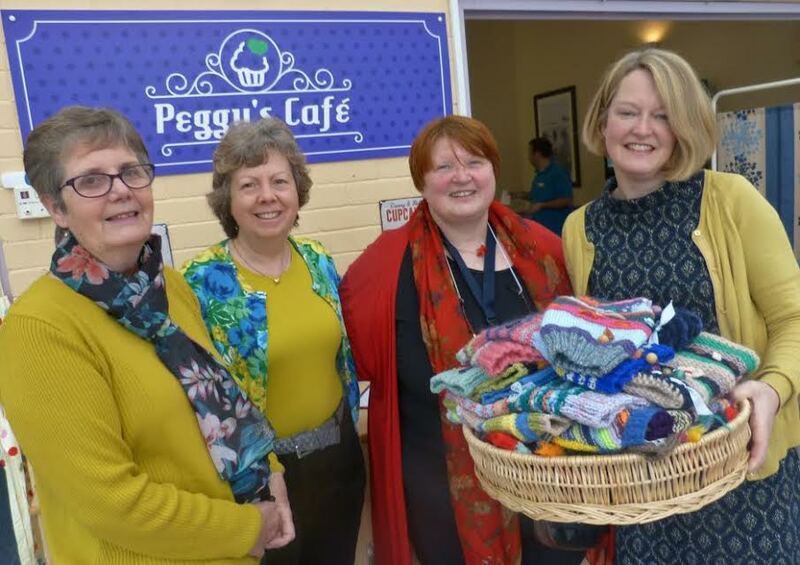 HAVE YOU GOT TIME FOR DIGNI-TEA? 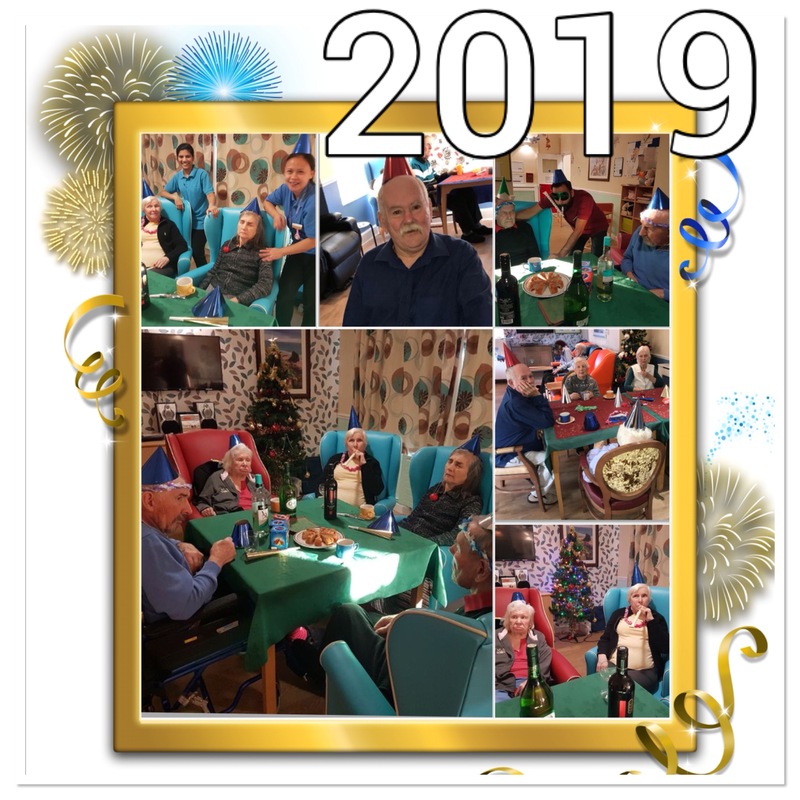 WELCOMING THE NEW YEAR IN …………. 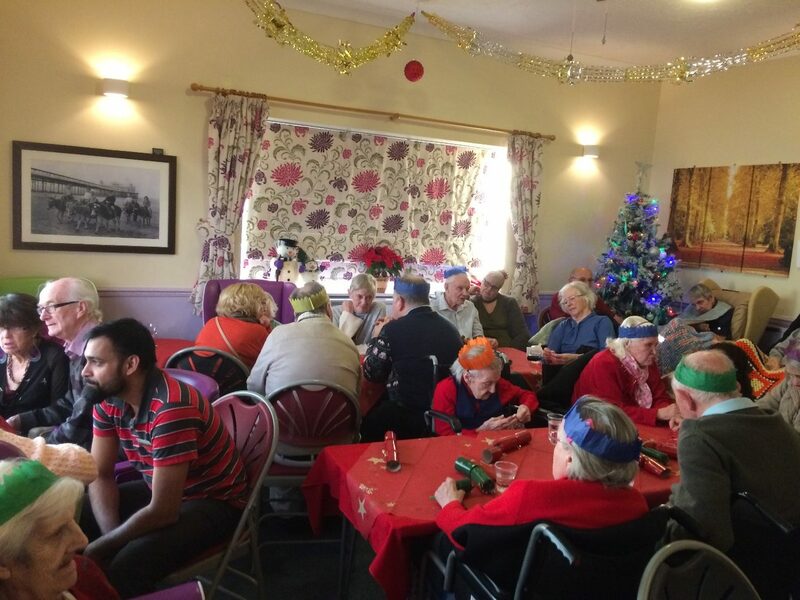 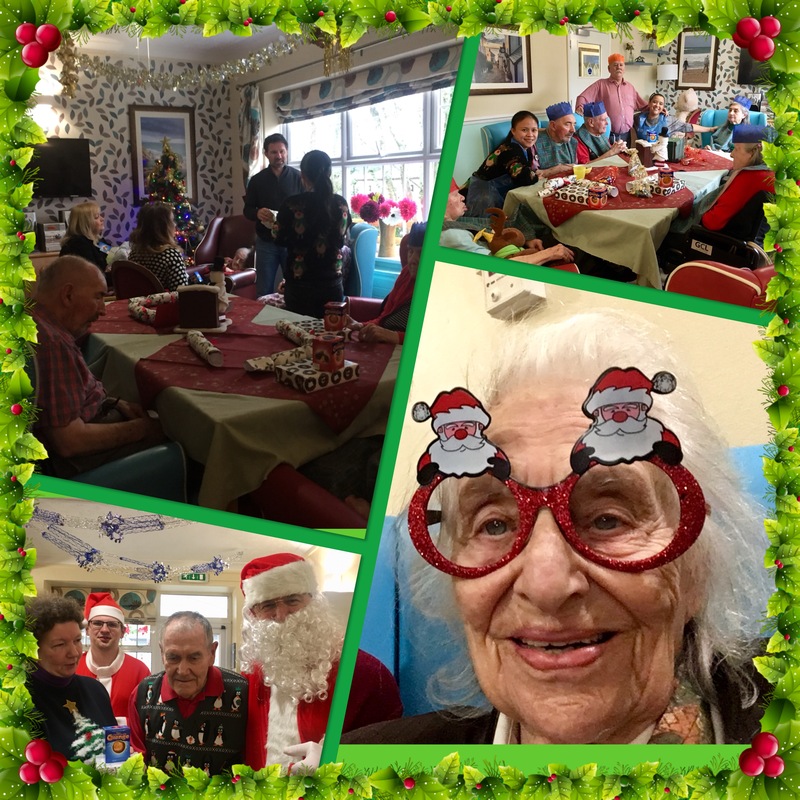 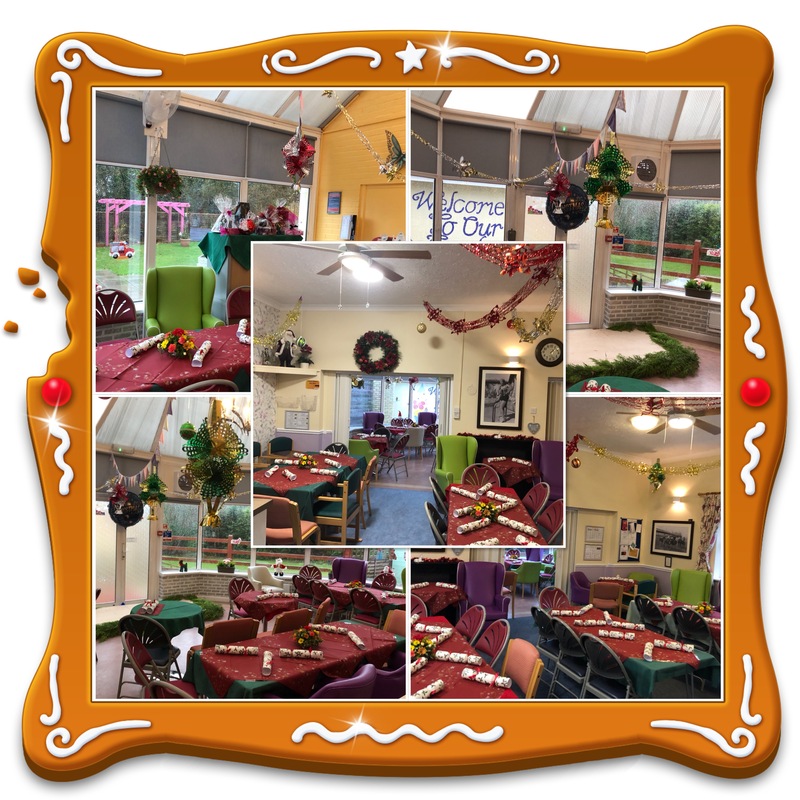 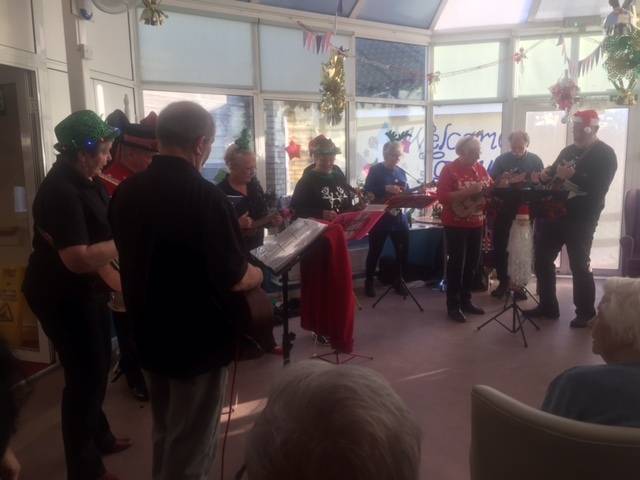 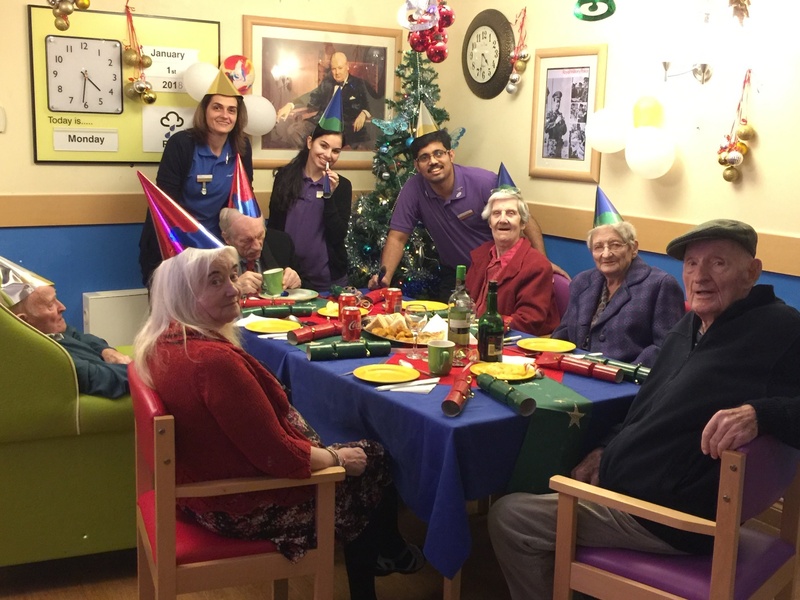 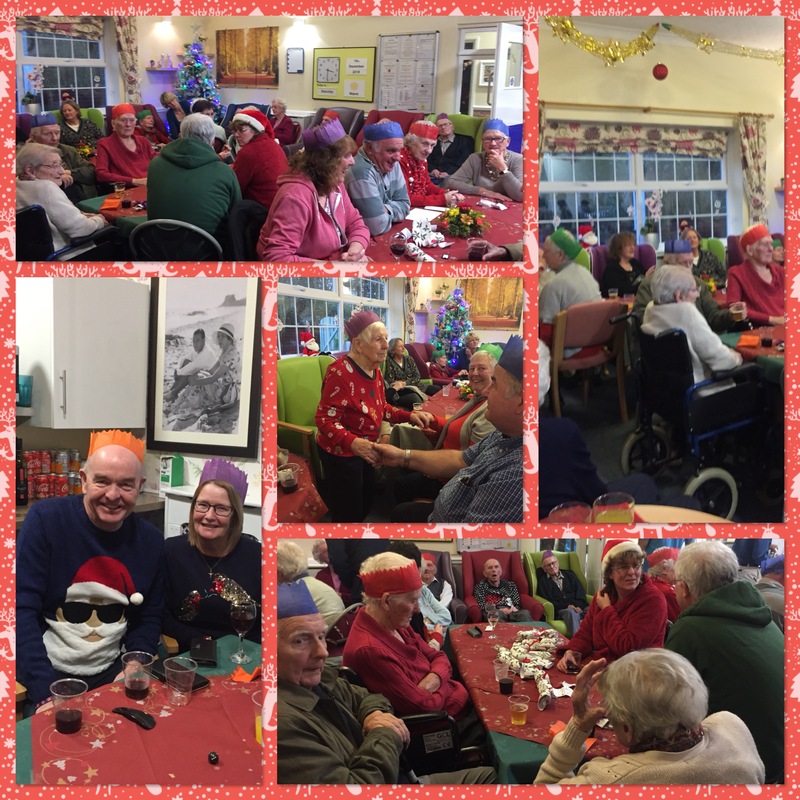 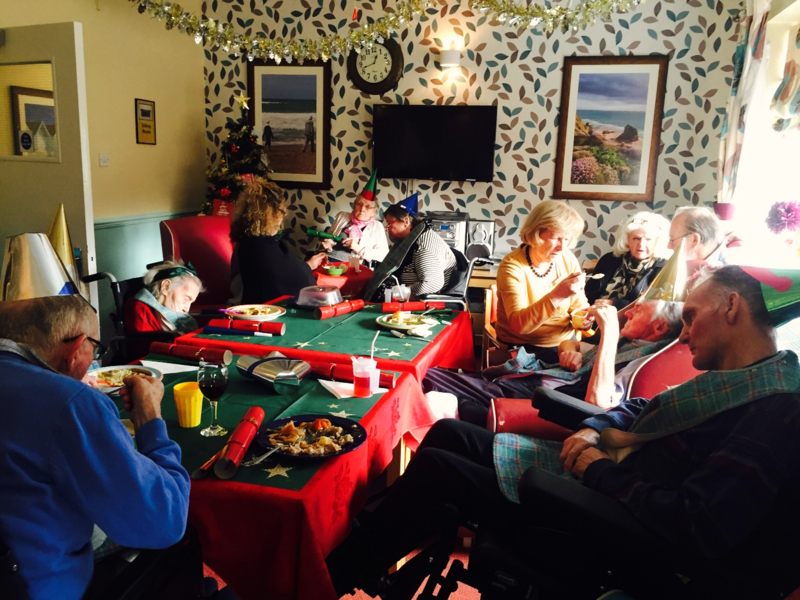 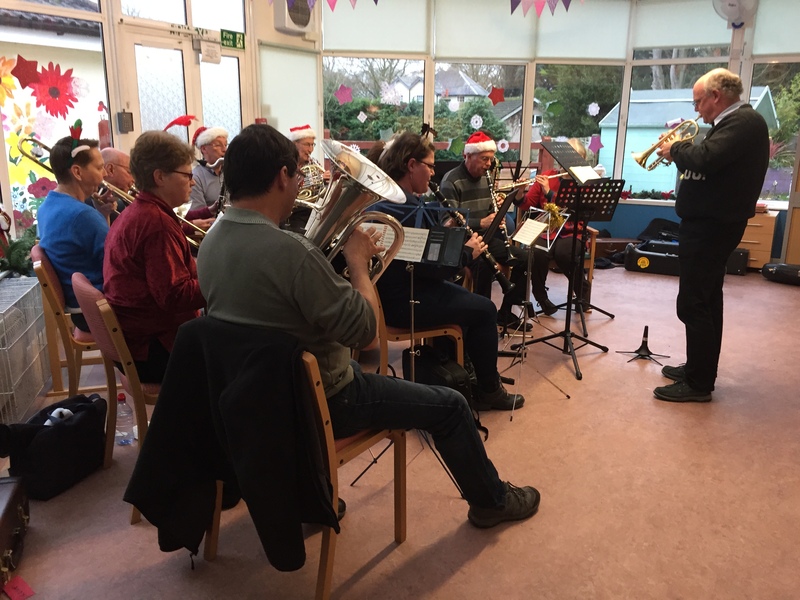 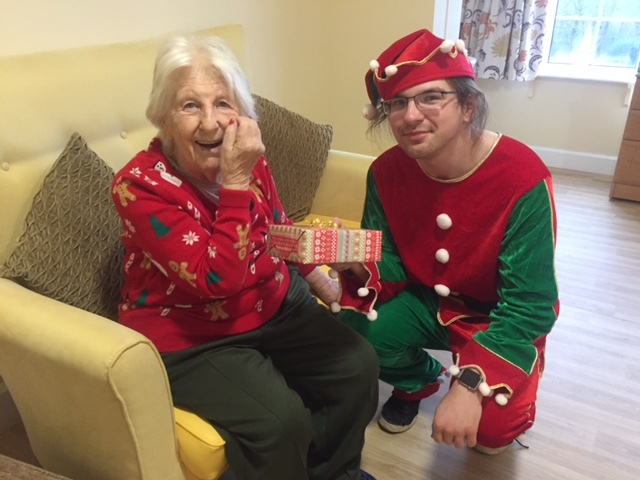 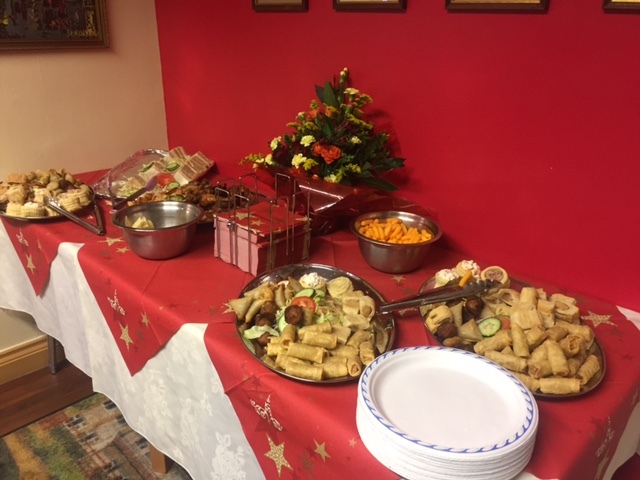 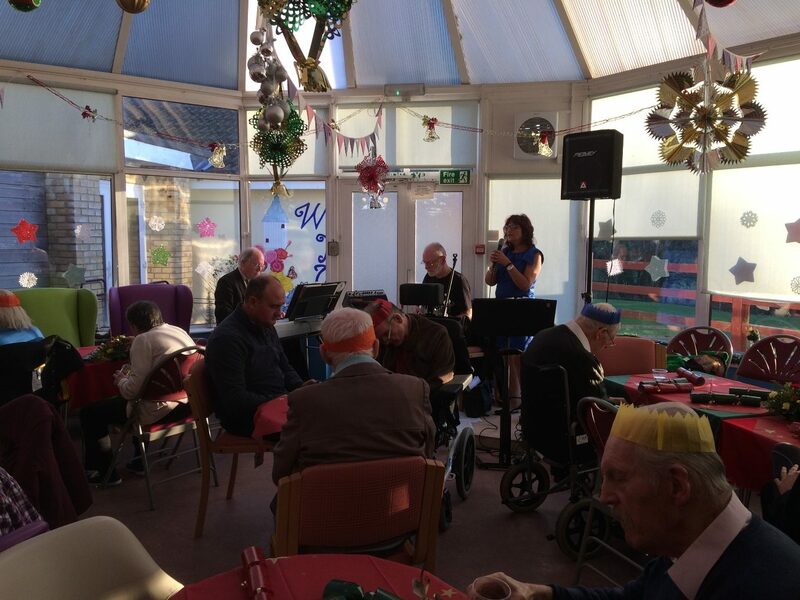 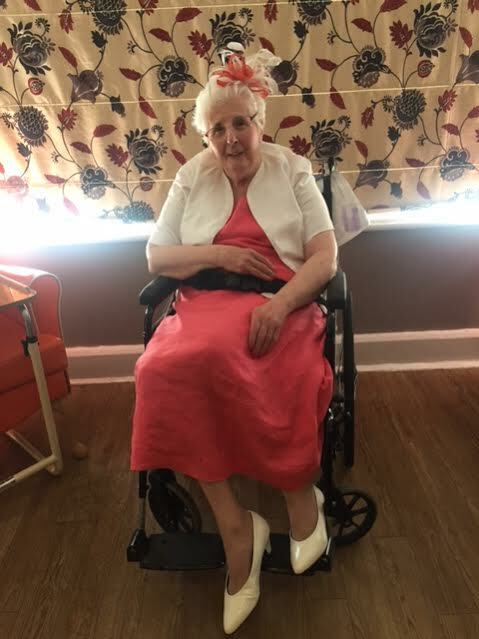 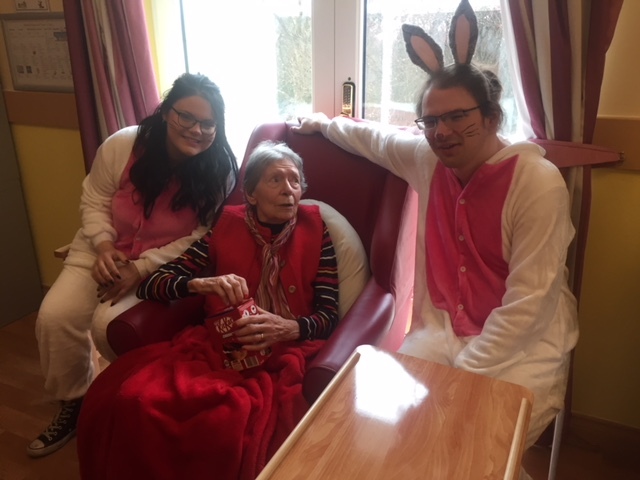 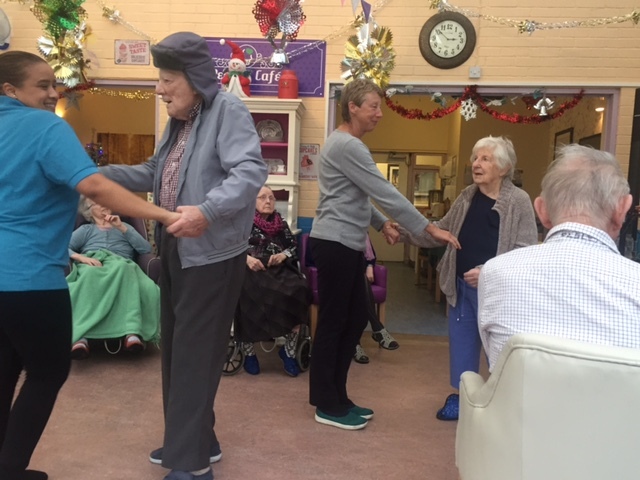 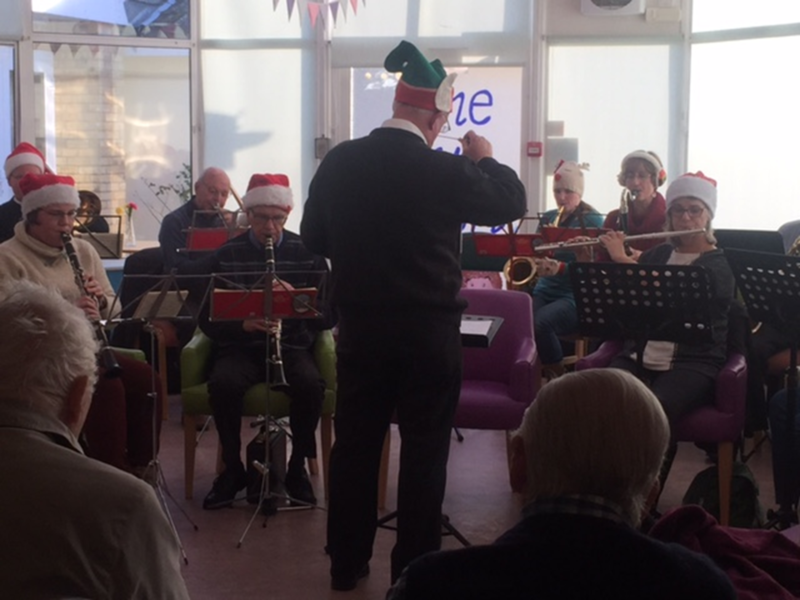 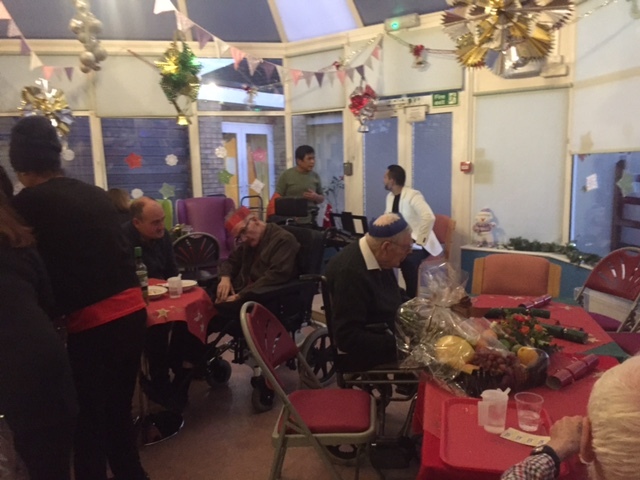 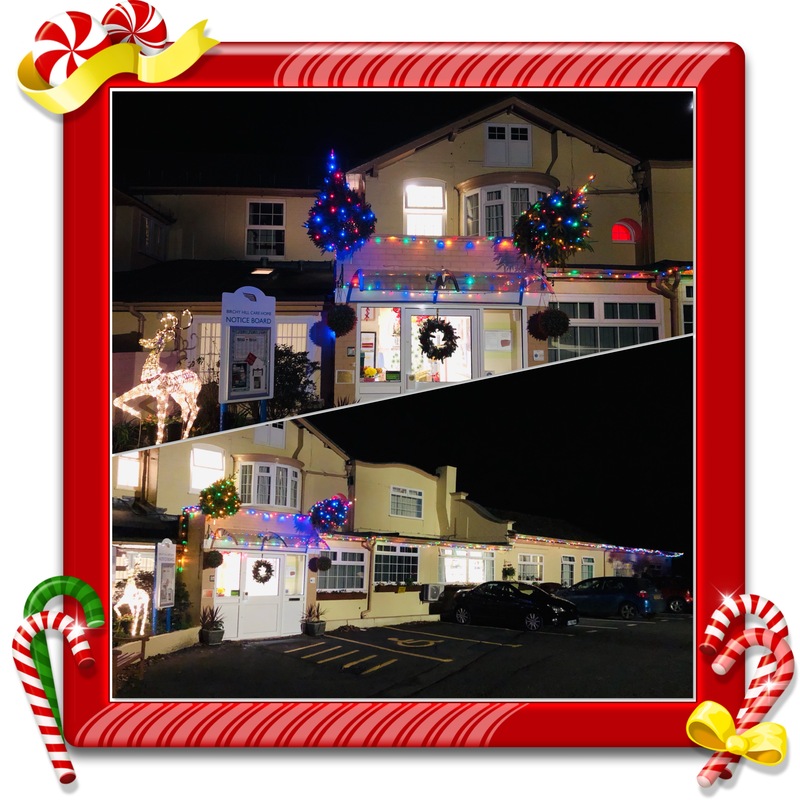 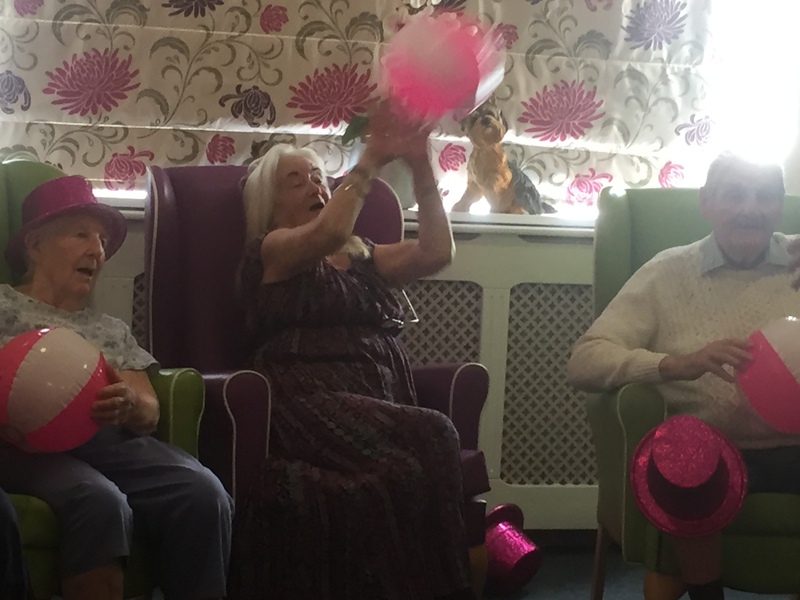 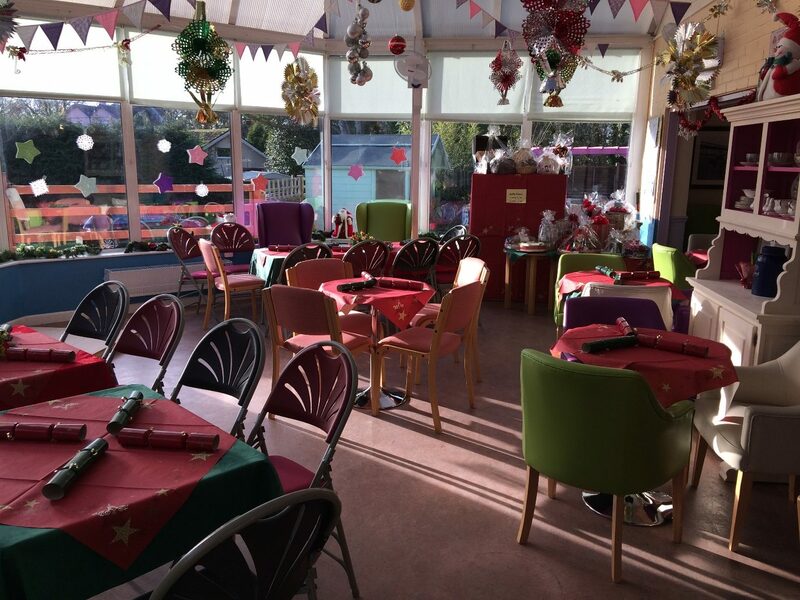 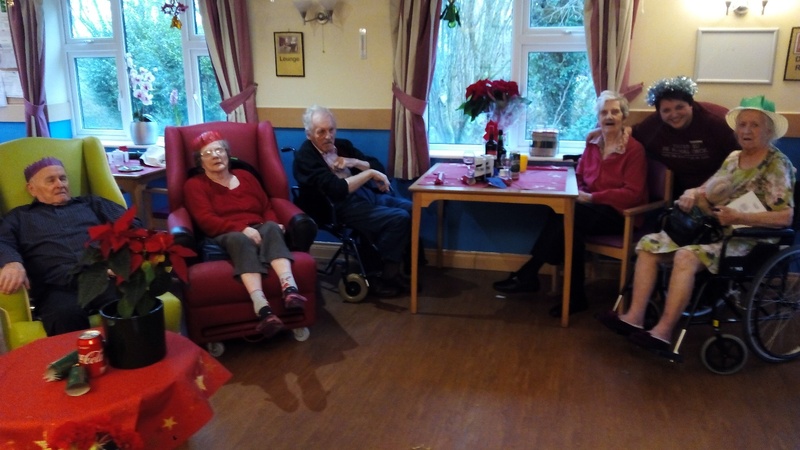 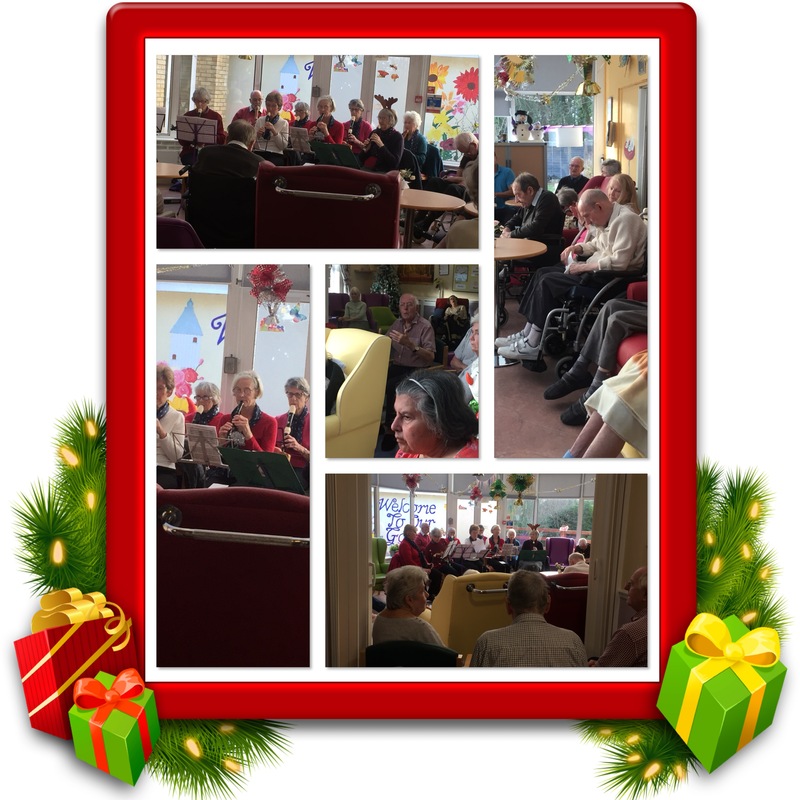 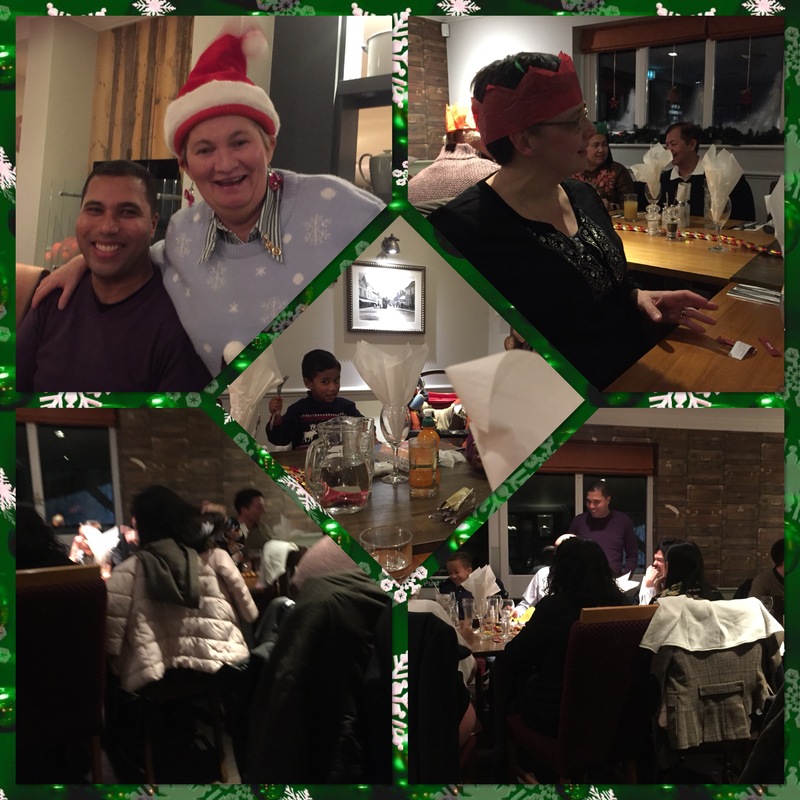 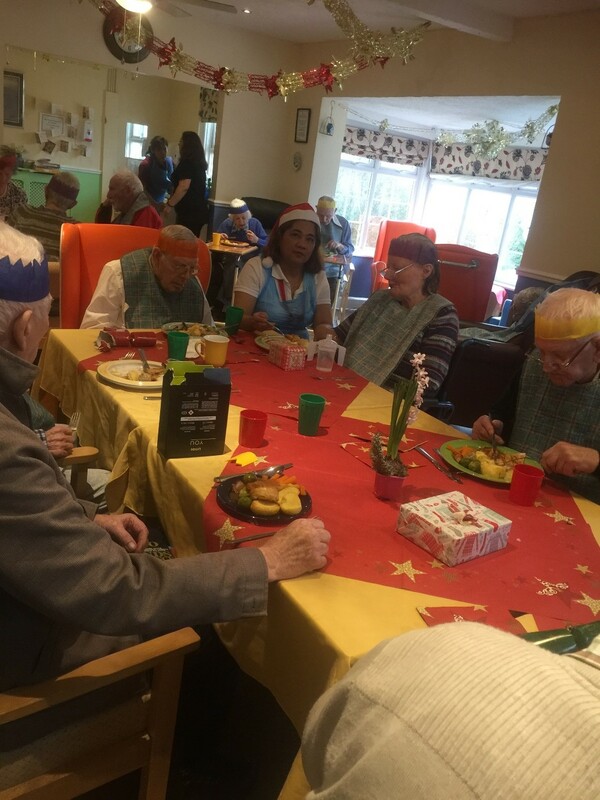 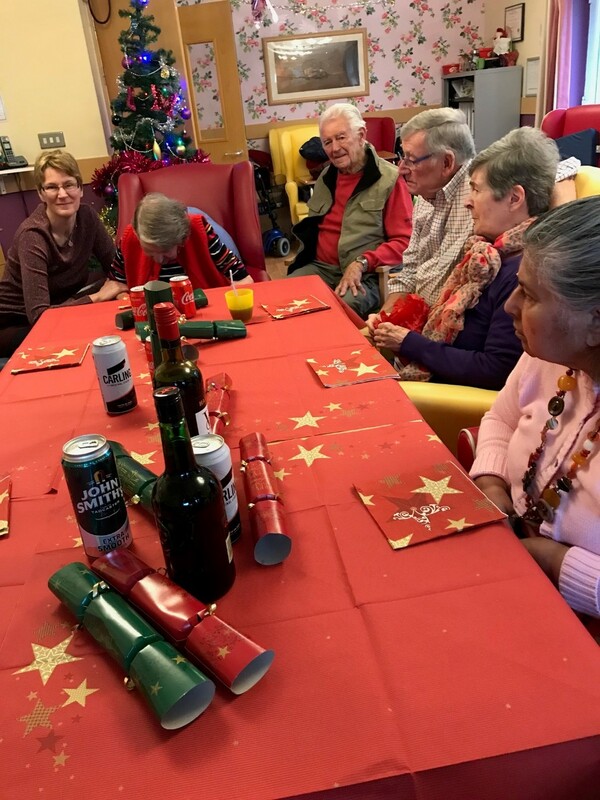 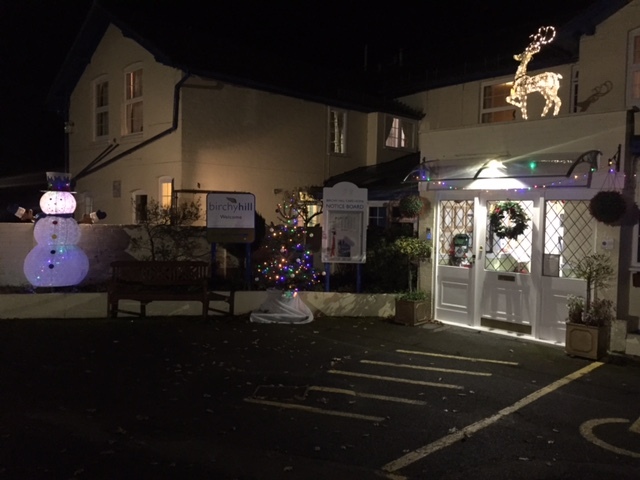 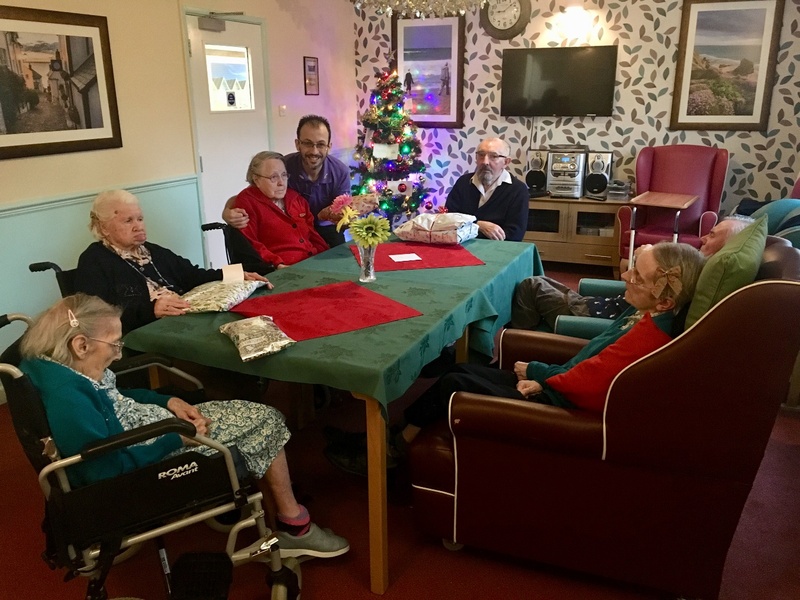 Residents and Guests enjoyed their Christmas dinner after having fun with the Christmas crackers, hats and crowns were proudly worn. 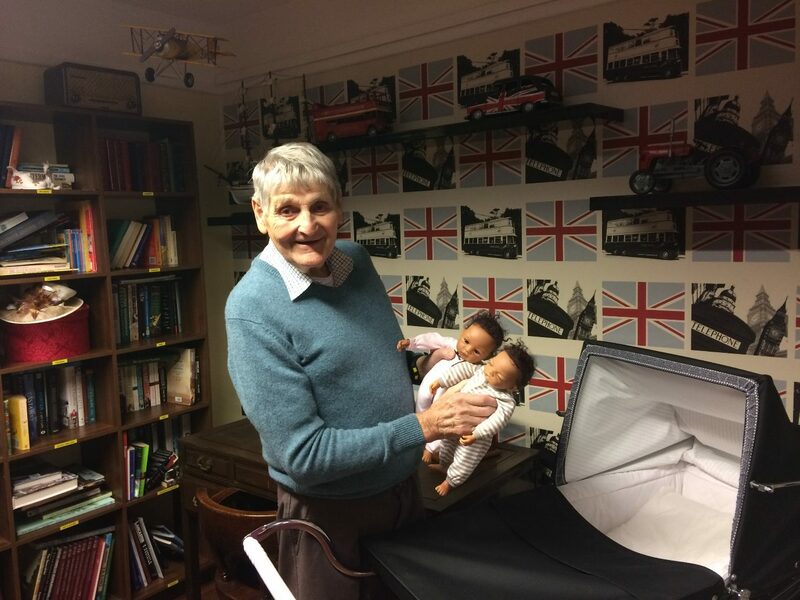 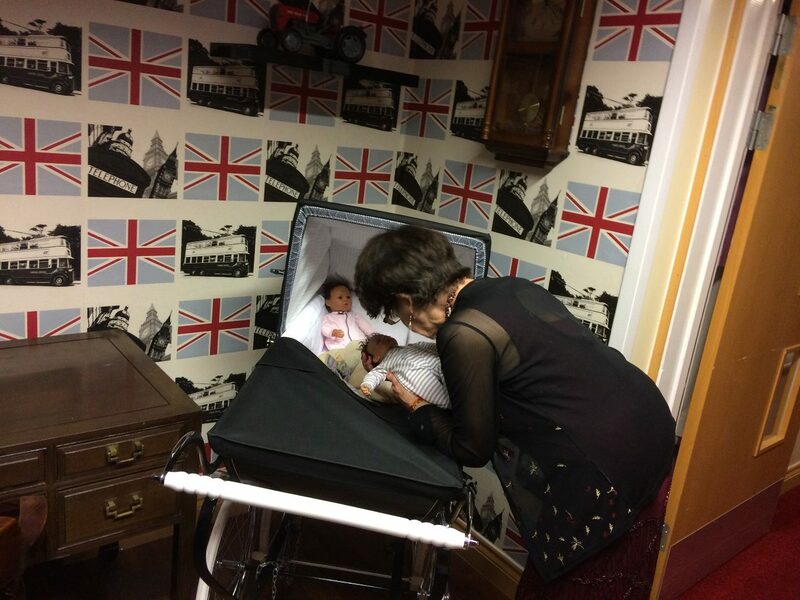 OUR DOLLS HAVE A NEW BABYSITTER………….. 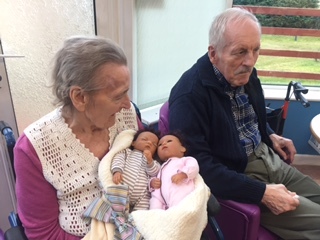 Living in Birchy Hill only for a few days, Terrie fell in love with our lifelike dolls Aiden and Adina. 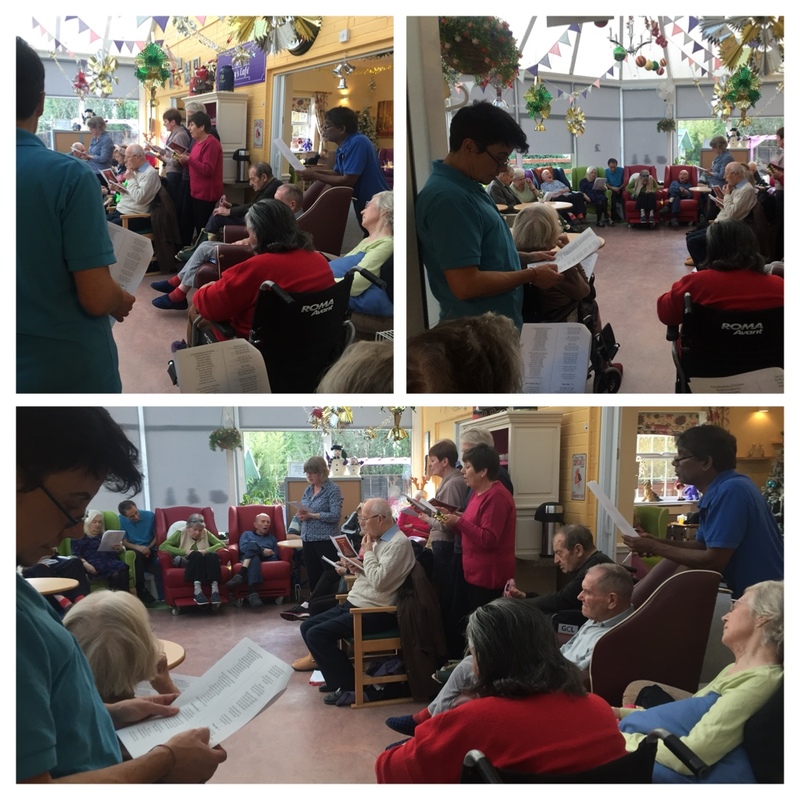 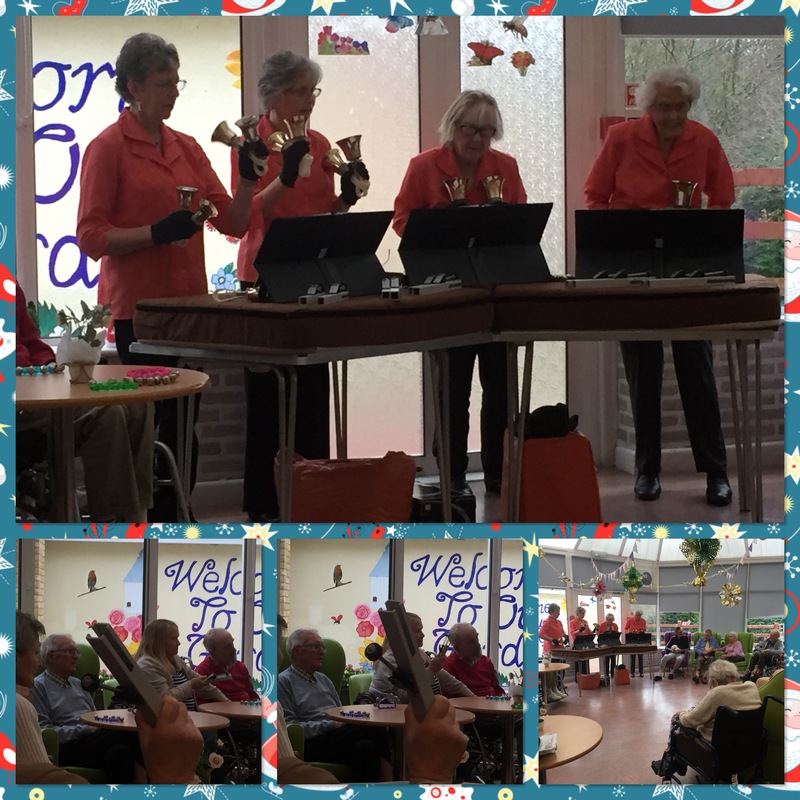 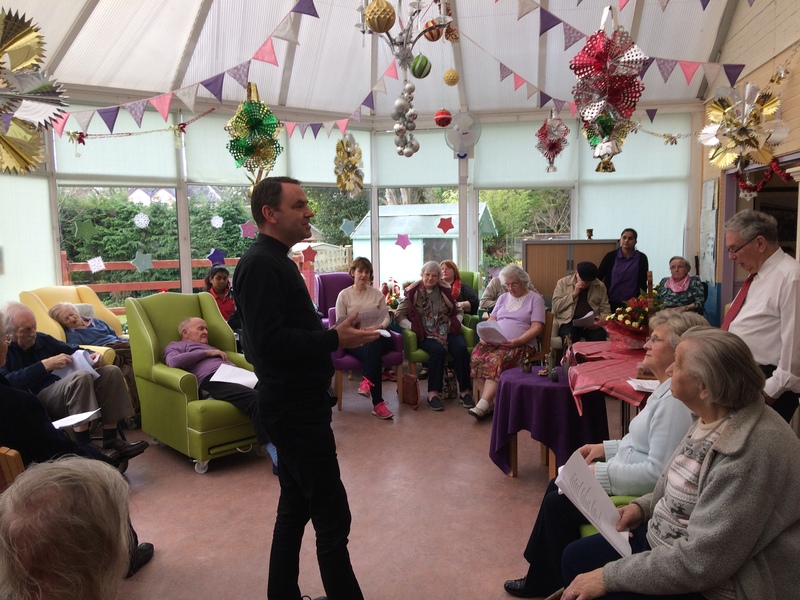 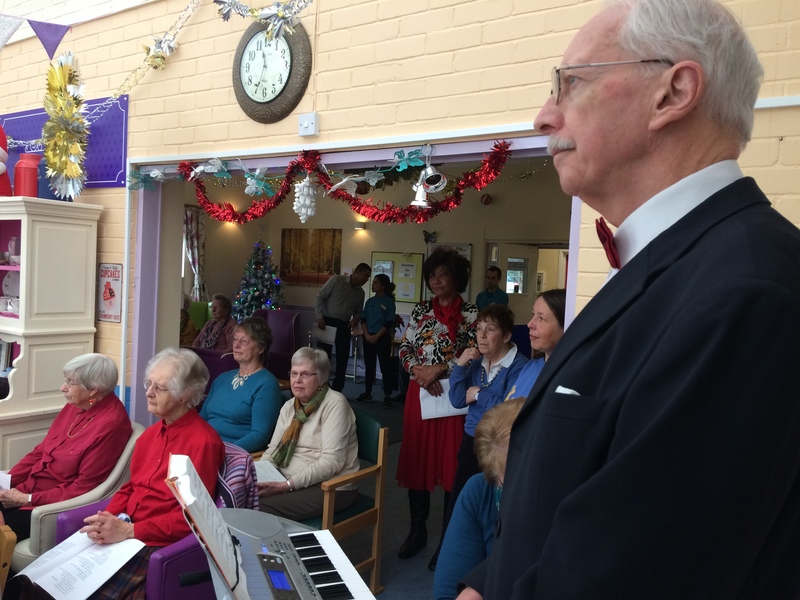 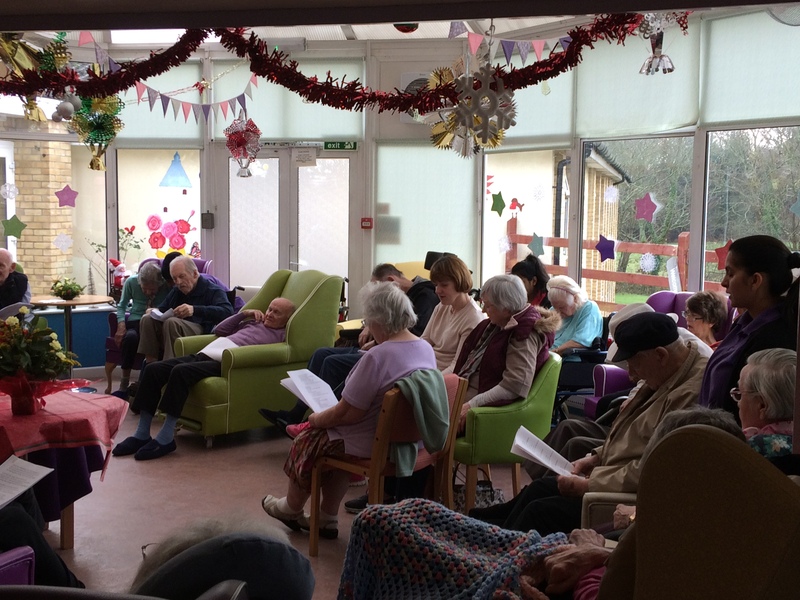 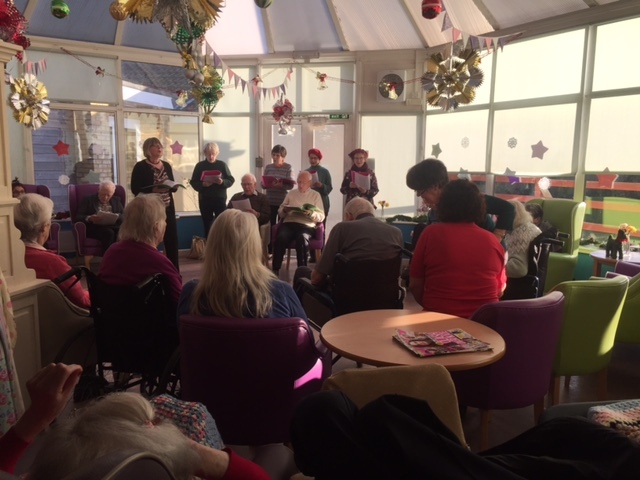 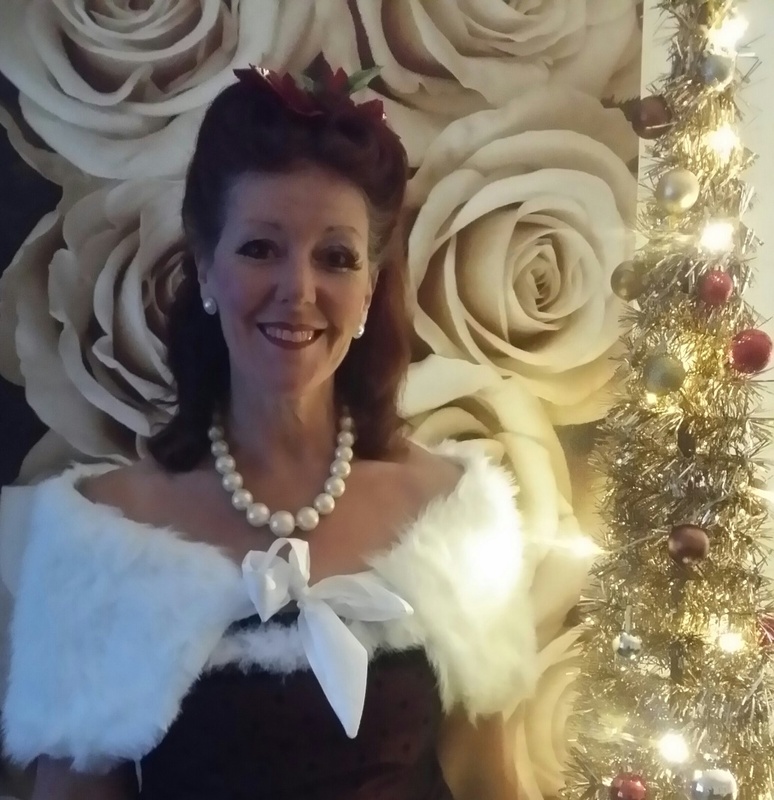 This was only one of the lovely carols that “Sway Church Choir” was singing with the Residents and their Families. 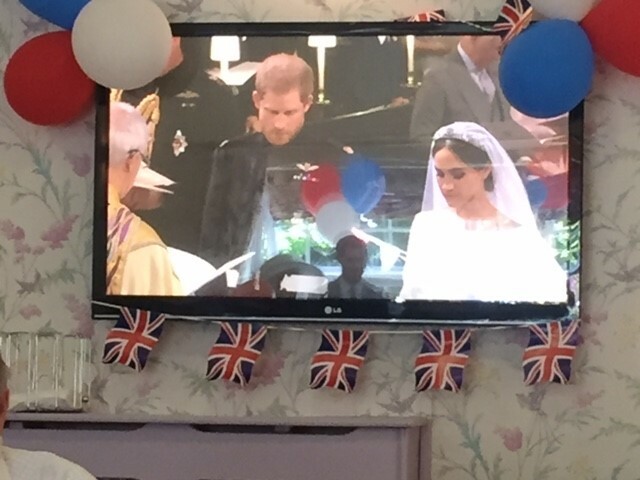 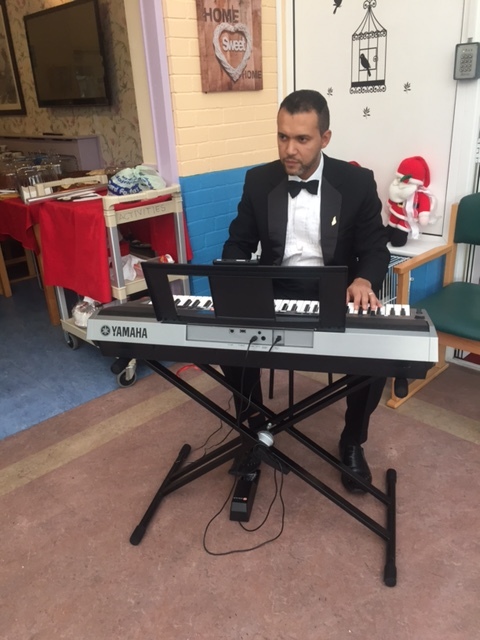 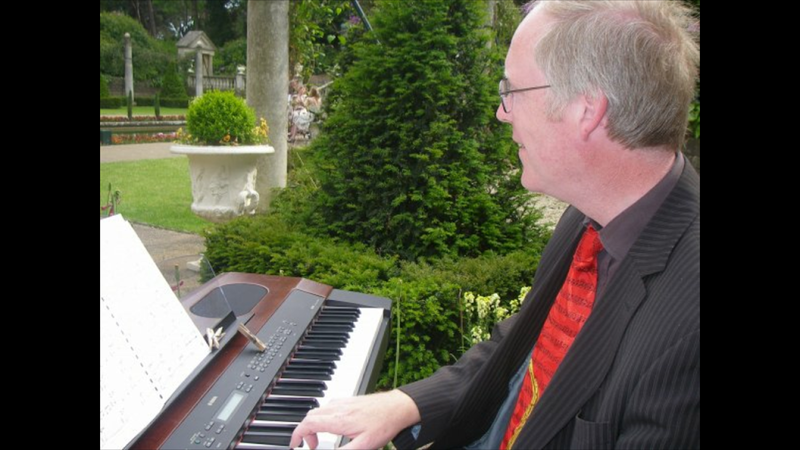 Our very own very talented pianist Luis Andrade spoiled the Residents, Guests and the Staff alike with his lovely music. 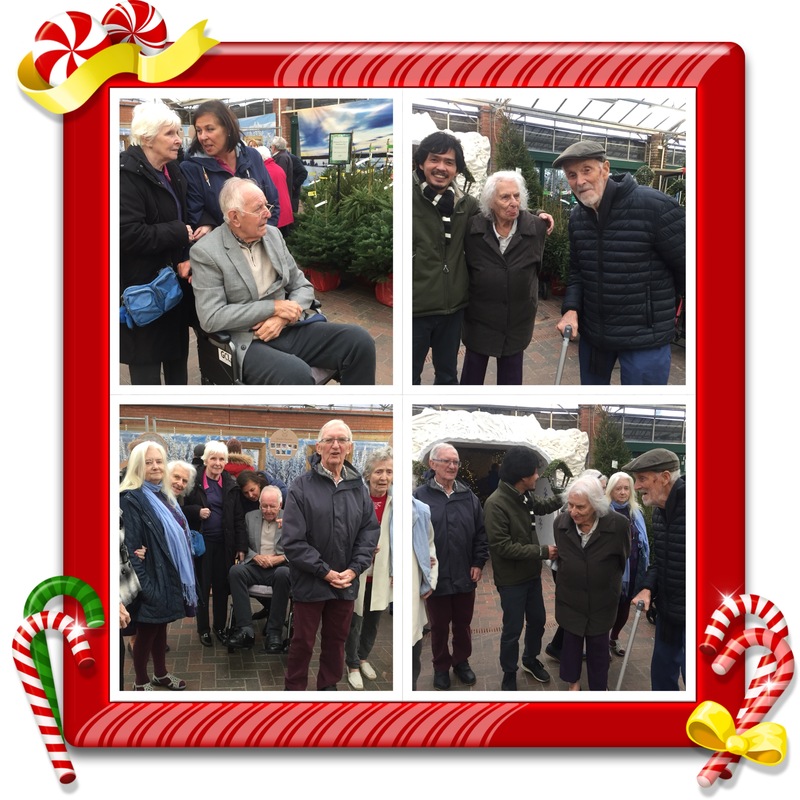 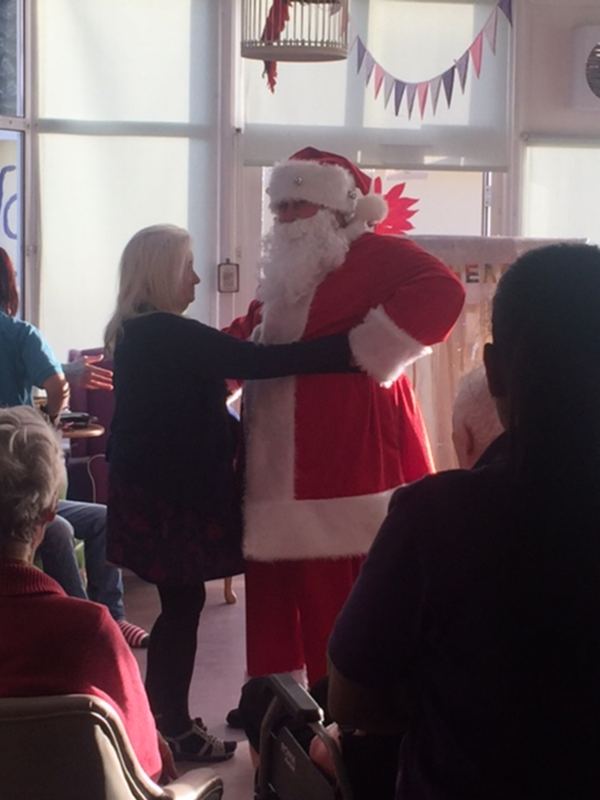 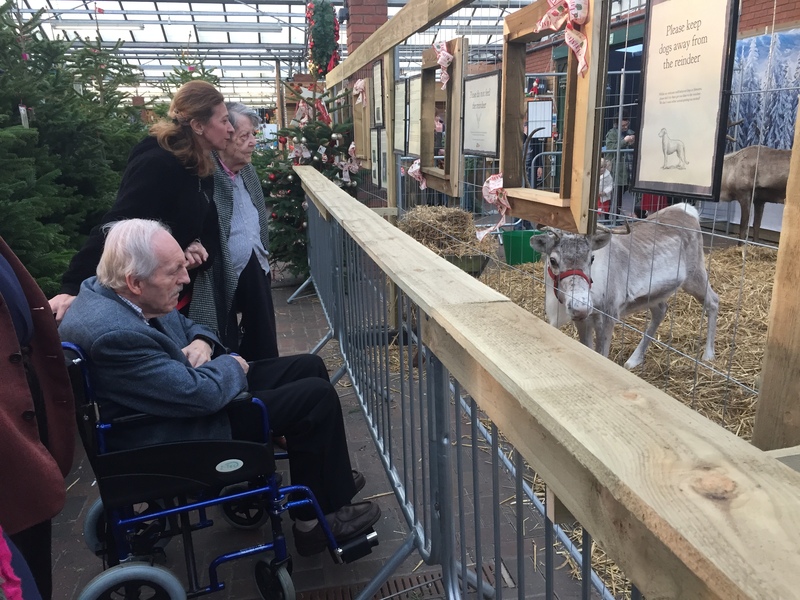 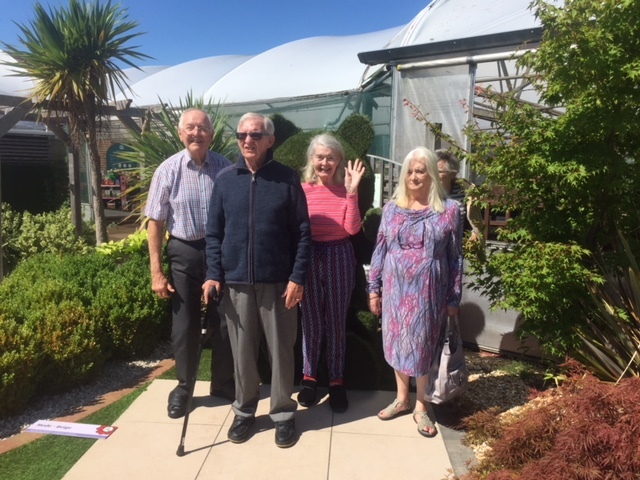 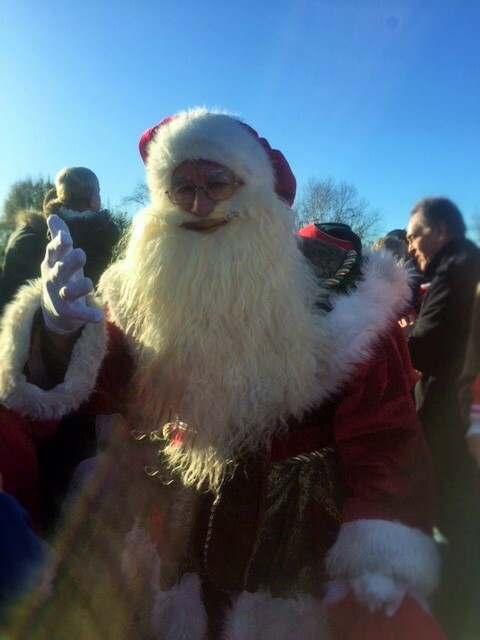 On Saturday Morning a few Residents had the chance to see Father Christmas moving into his Grotto at Stewart’s Garden Centre. 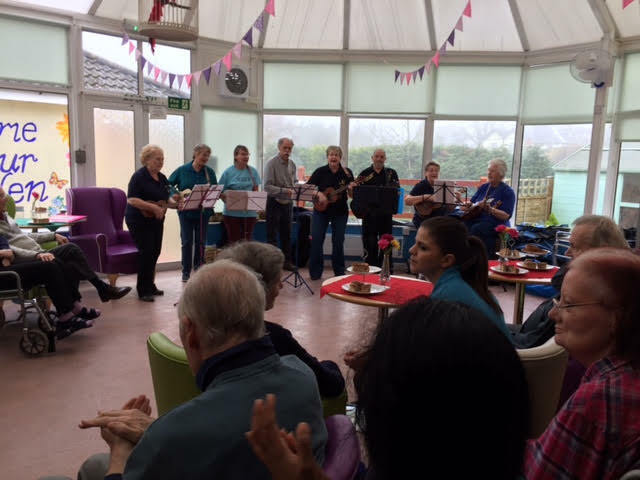 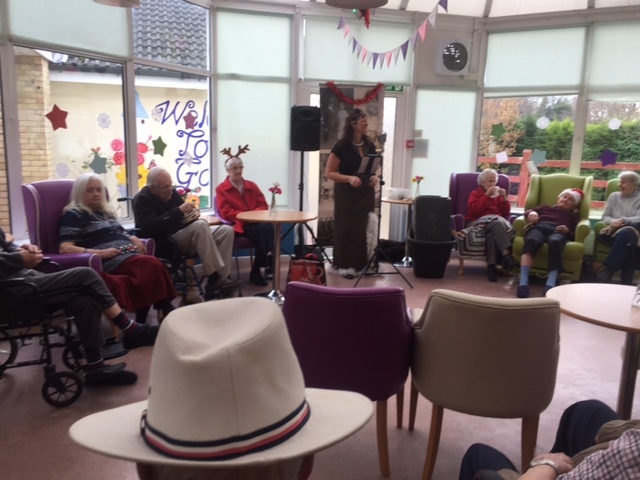 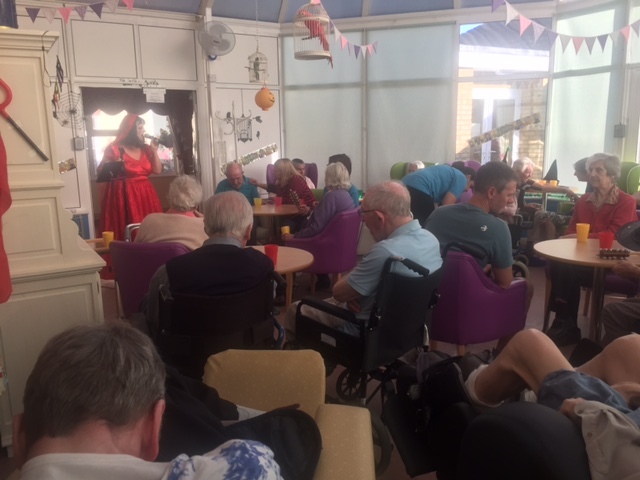 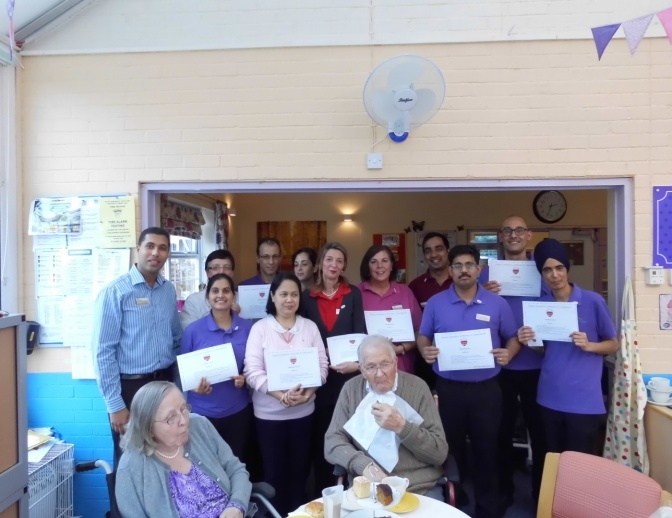 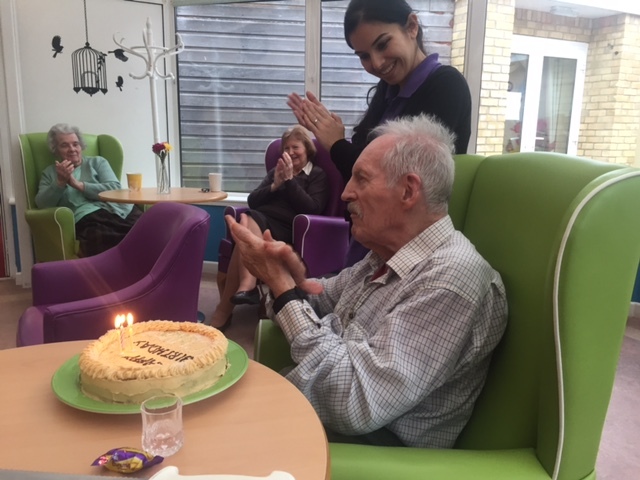 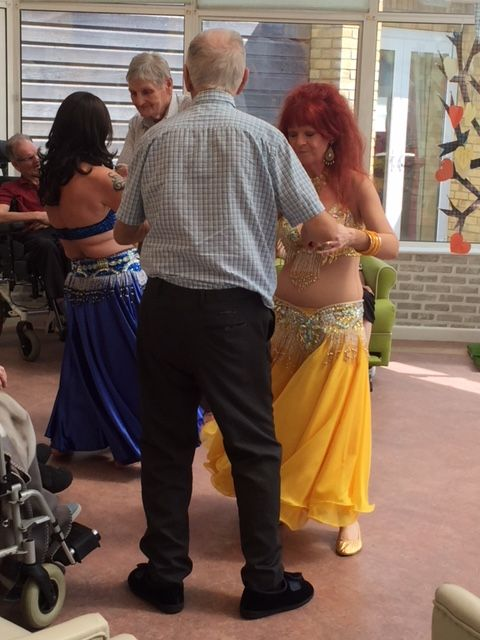 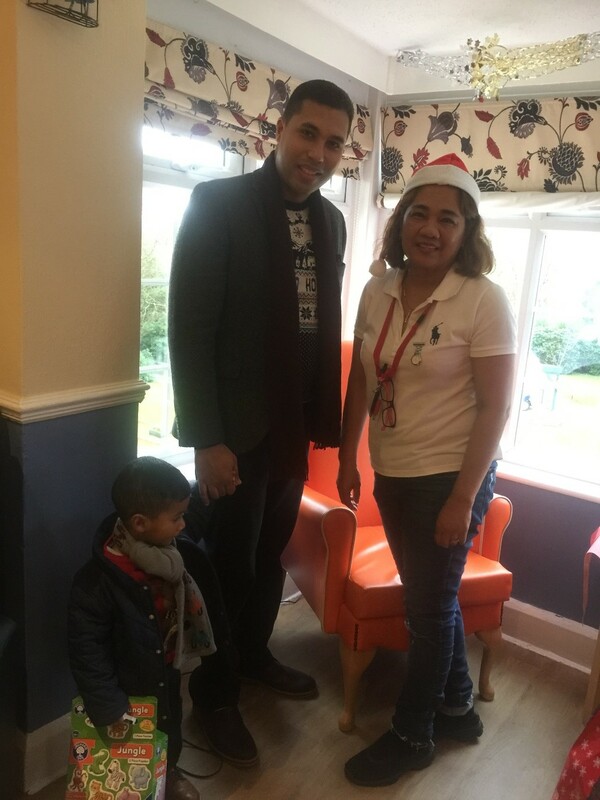 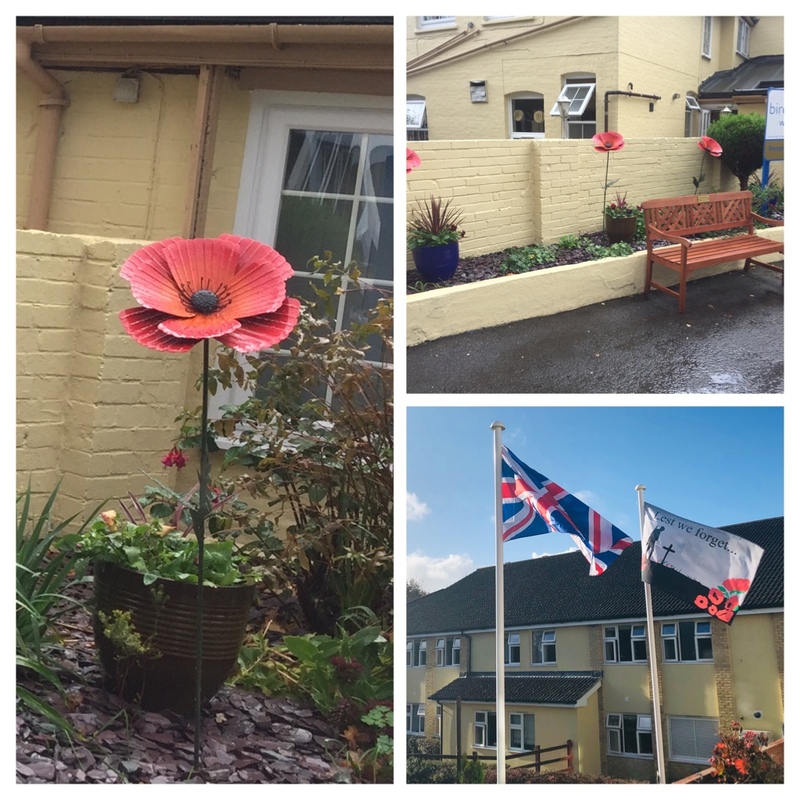 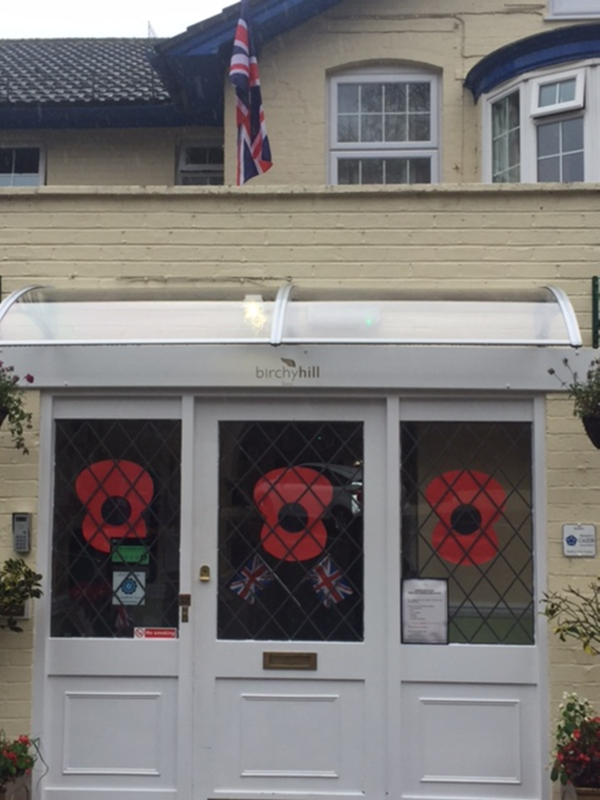 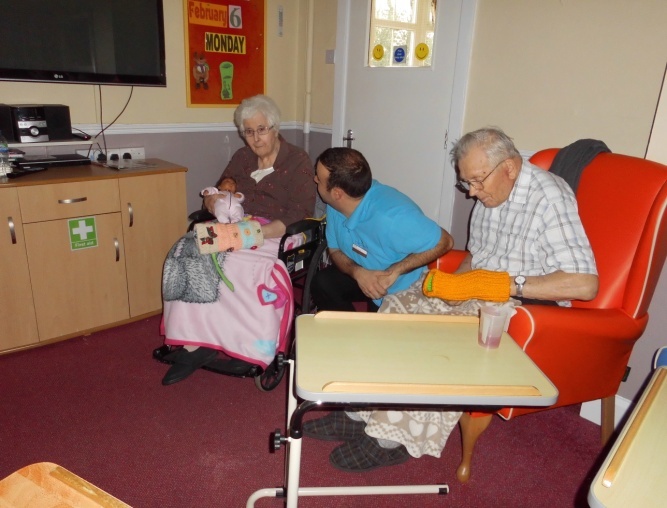 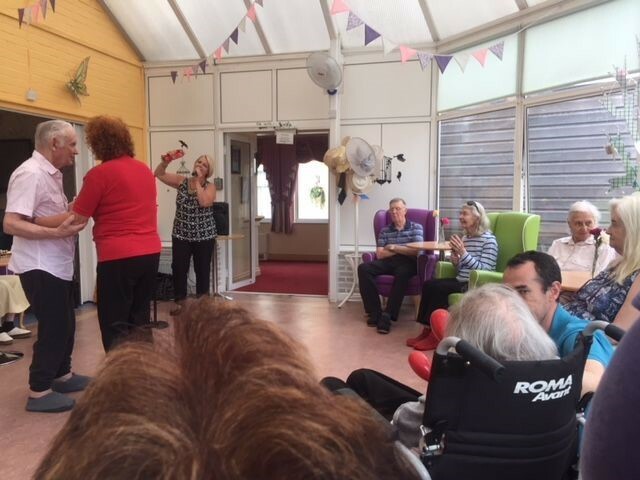 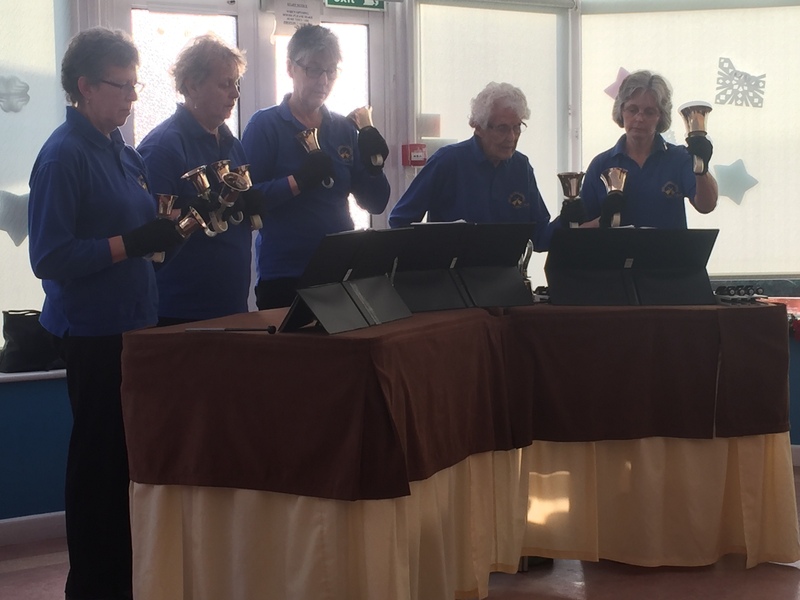 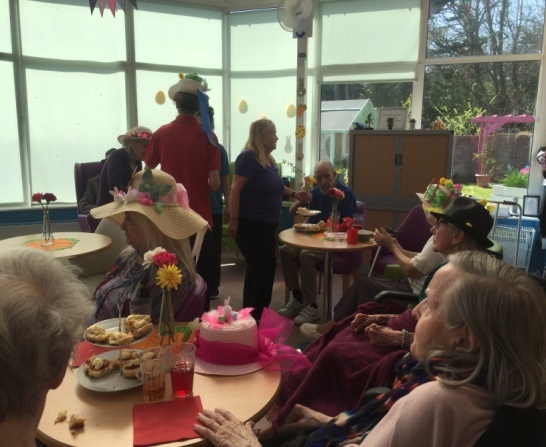 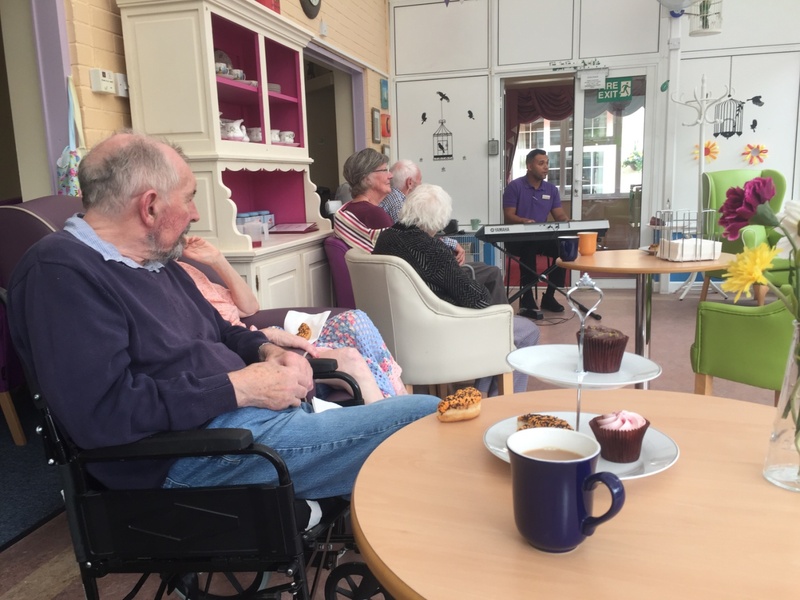 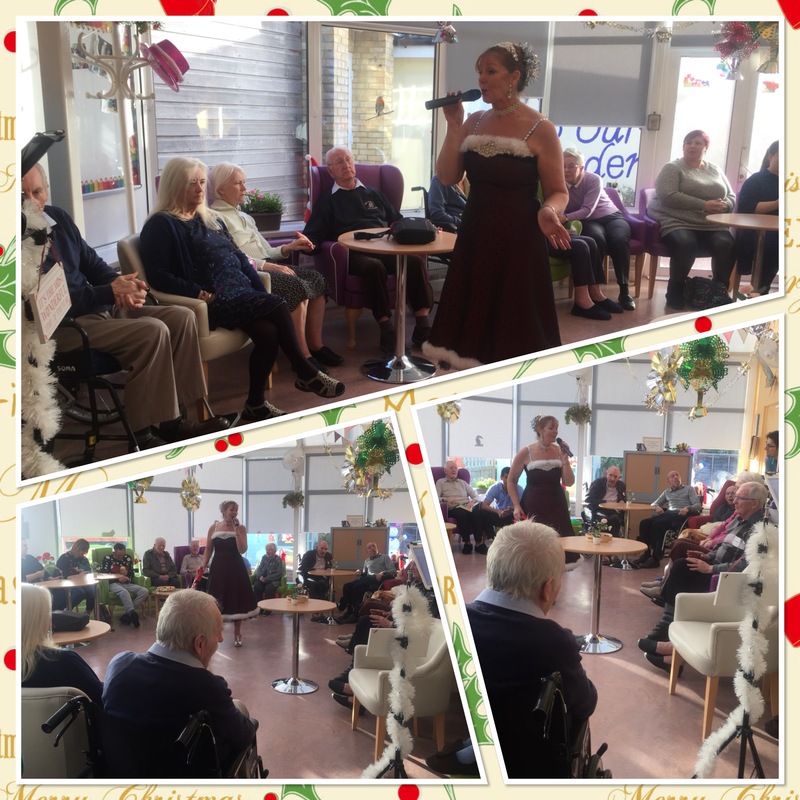 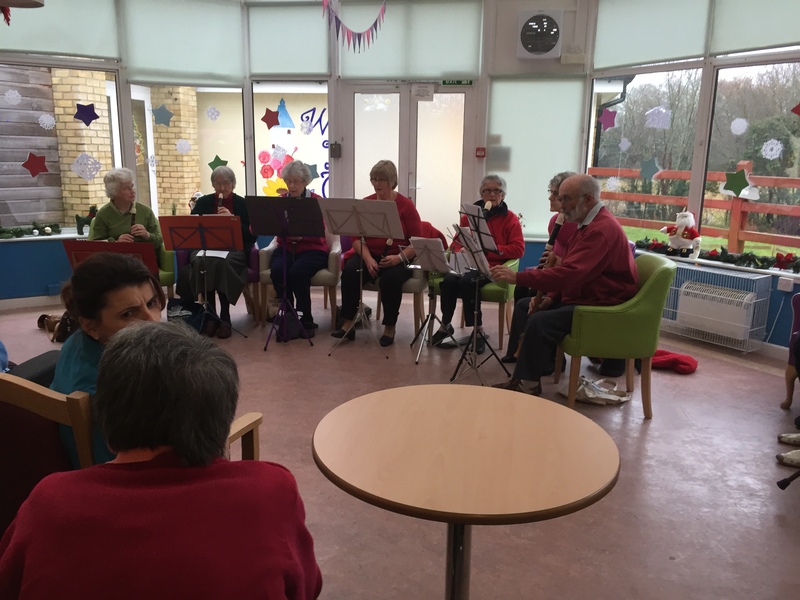 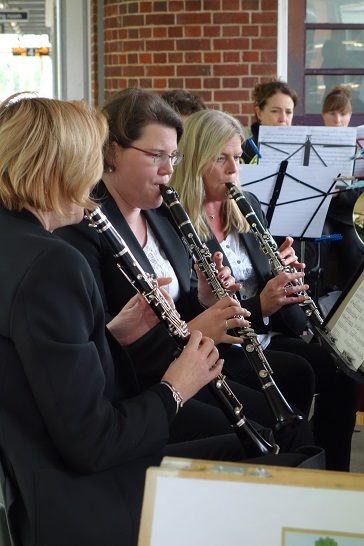 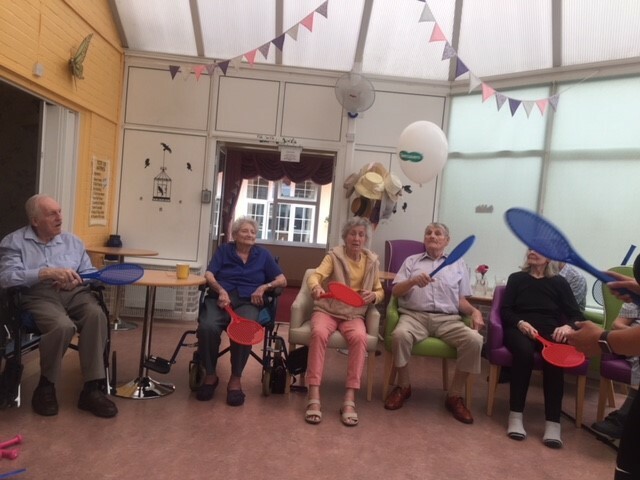 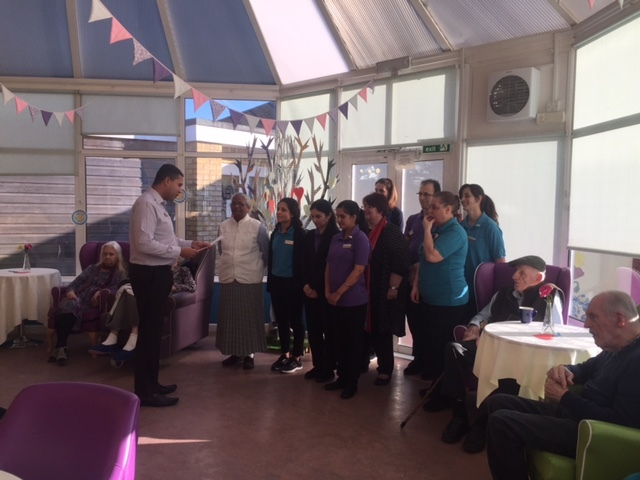 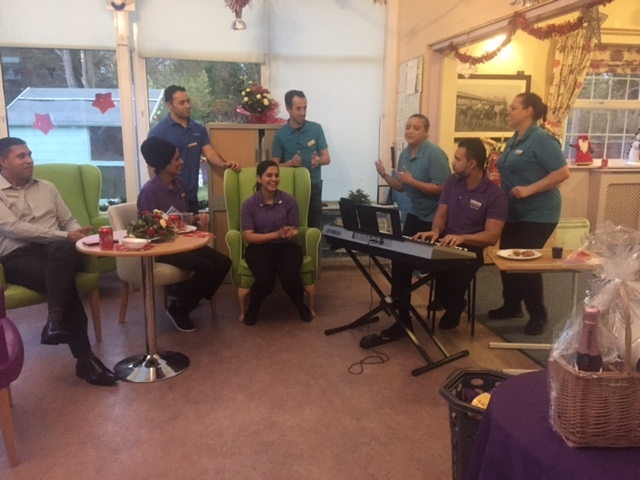 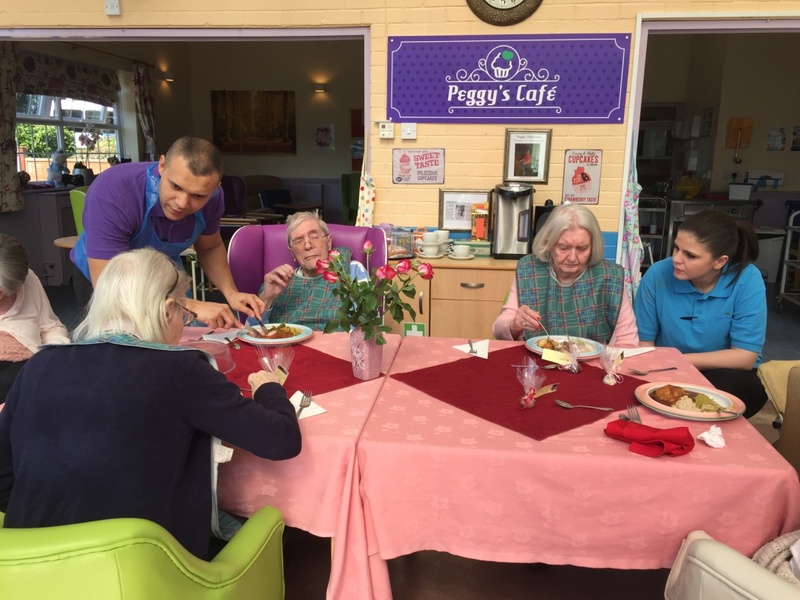 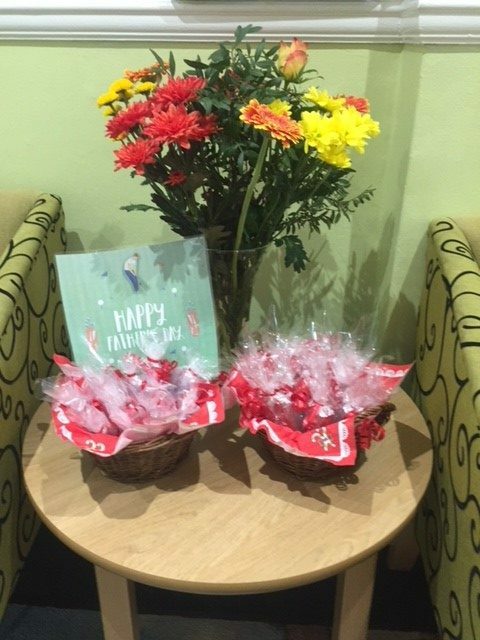 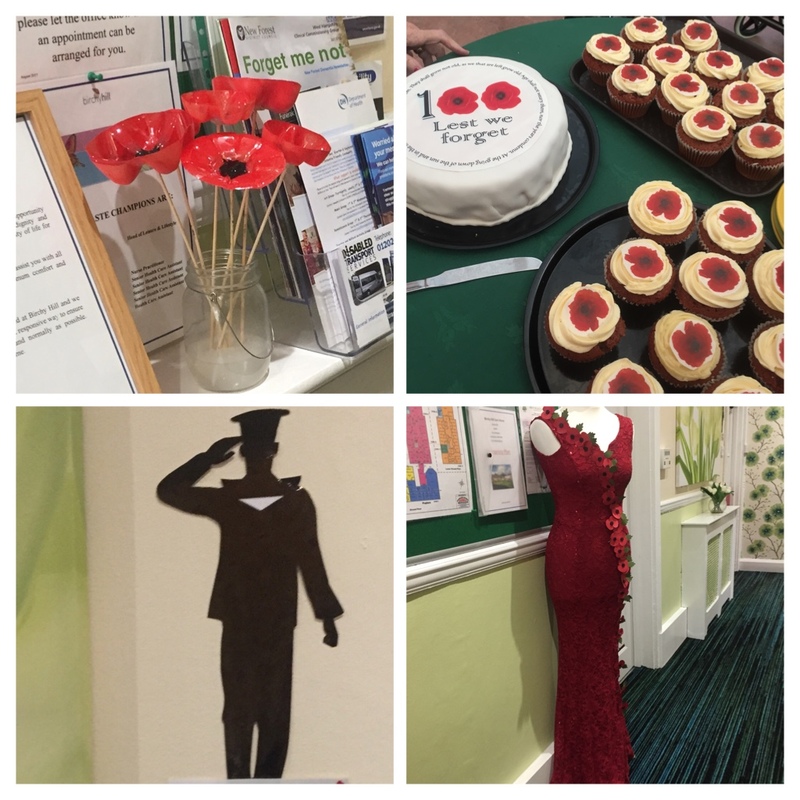 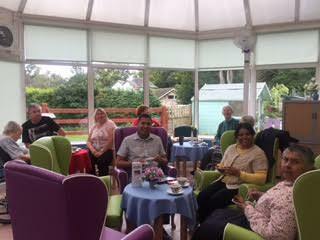 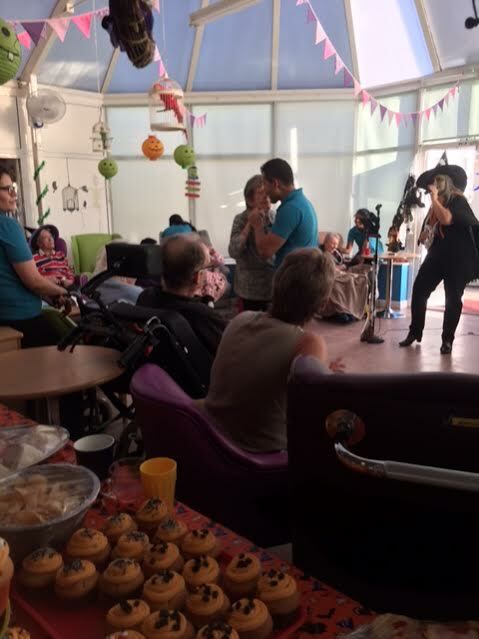 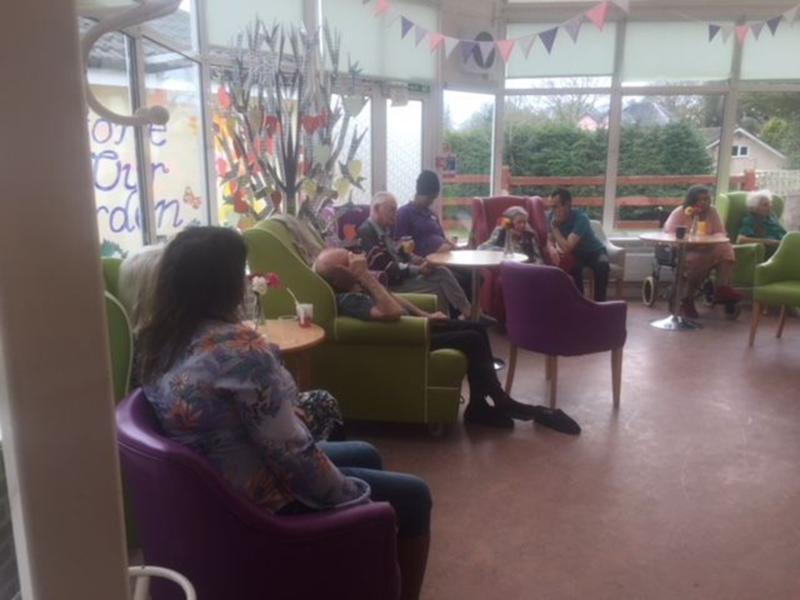 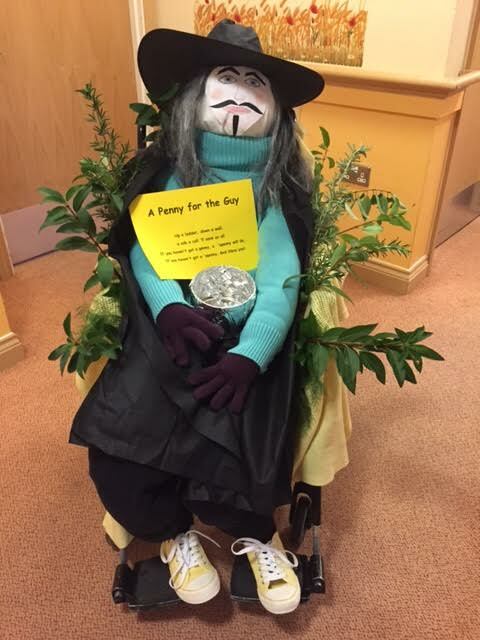 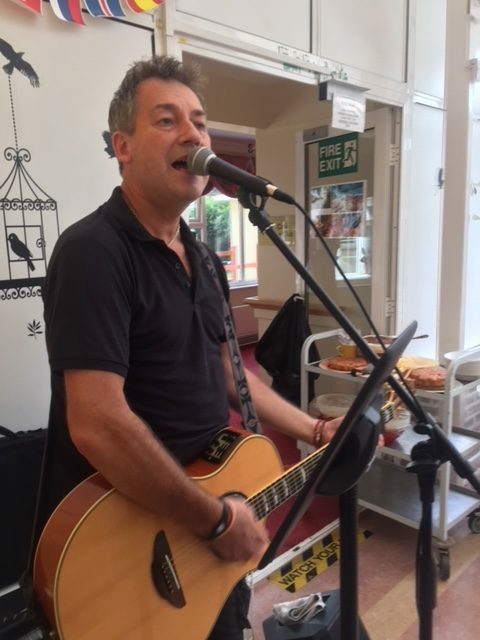 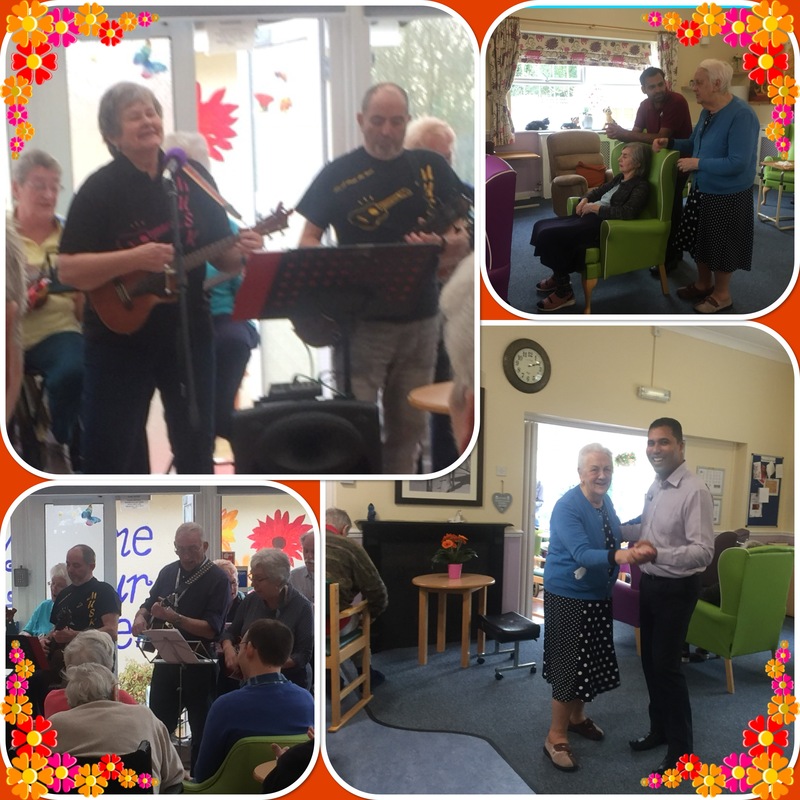 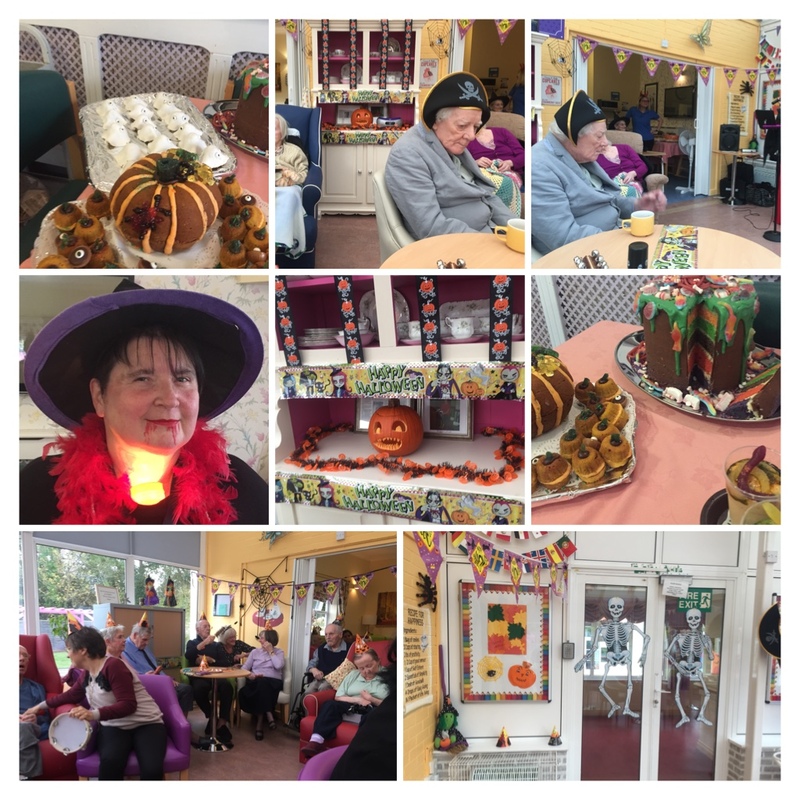 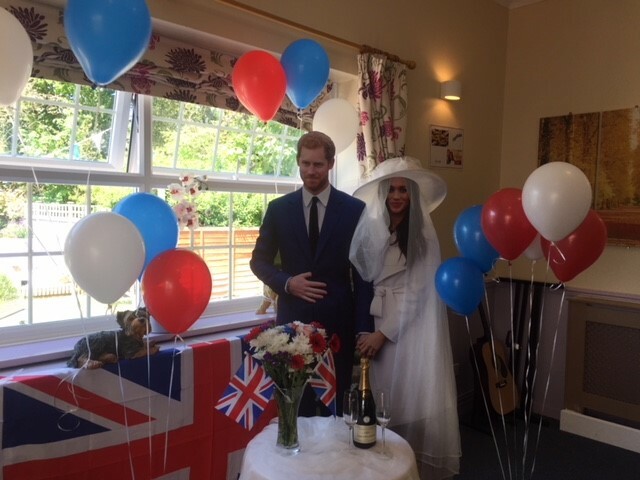 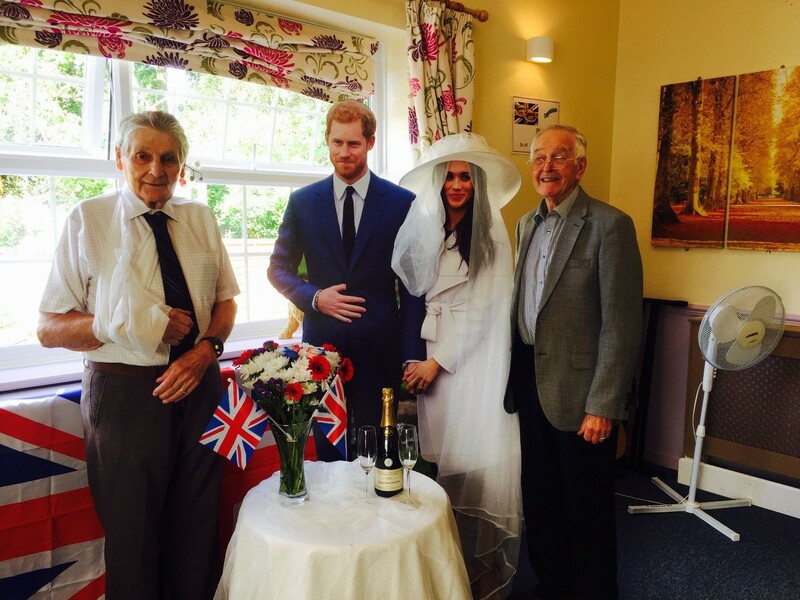 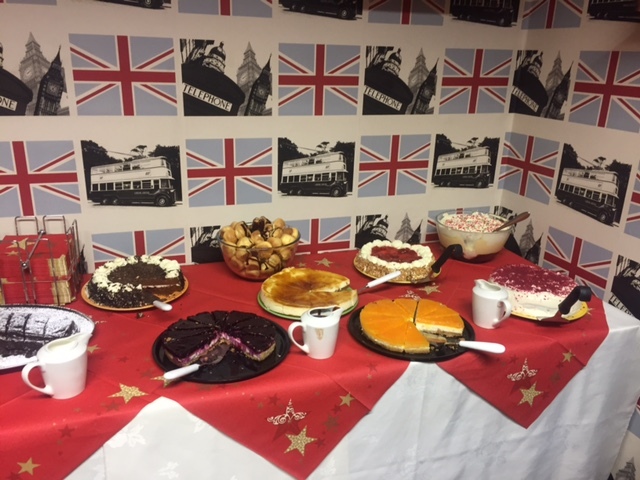 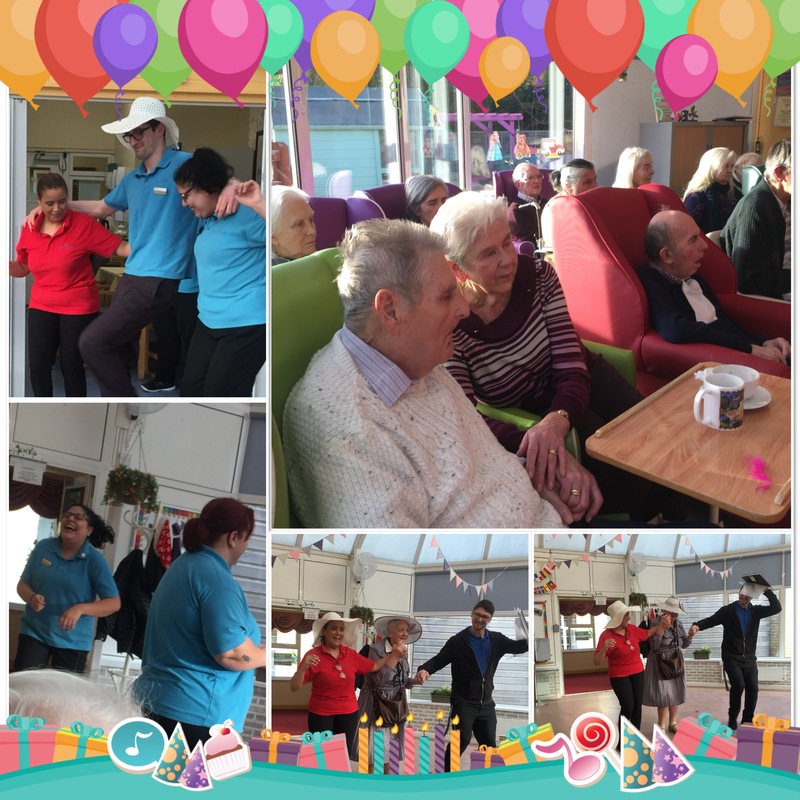 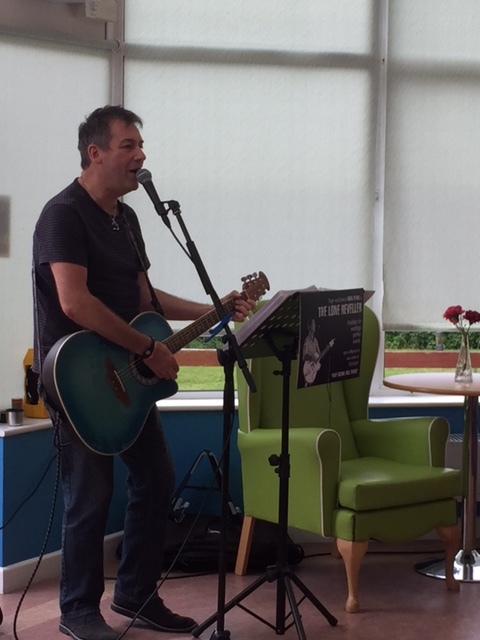 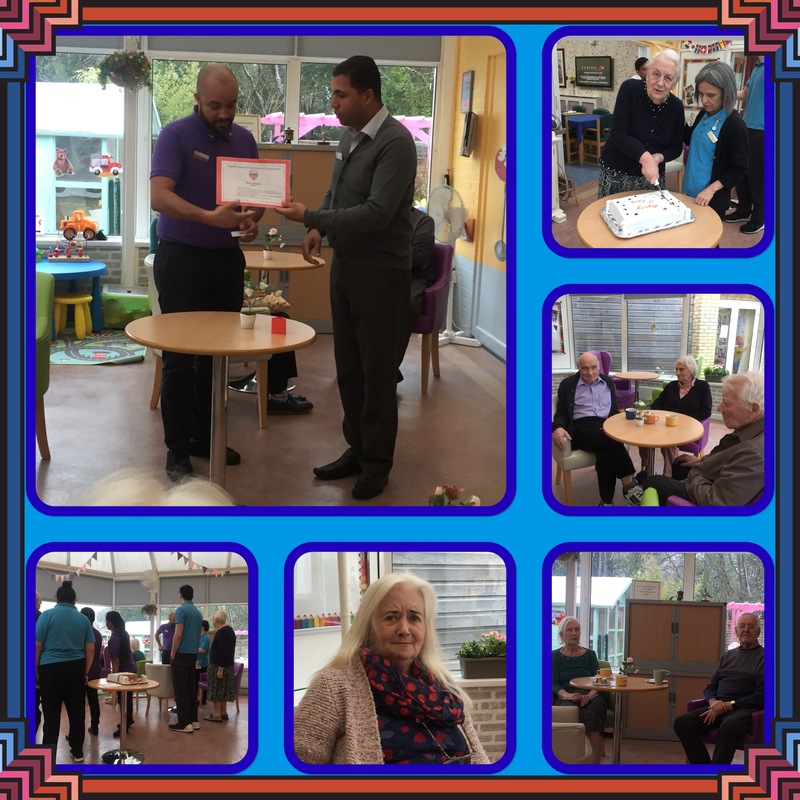 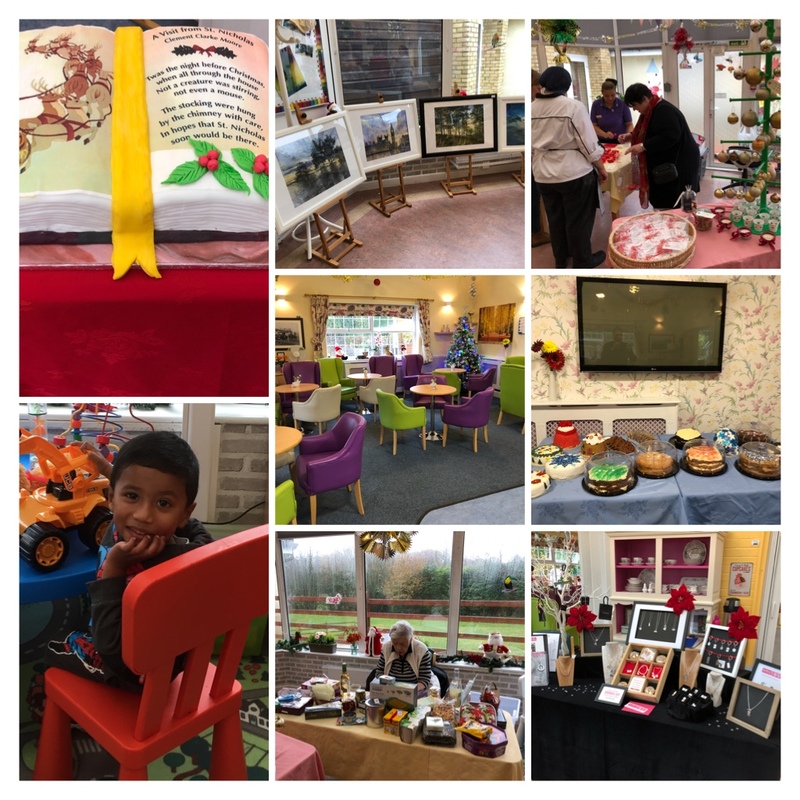 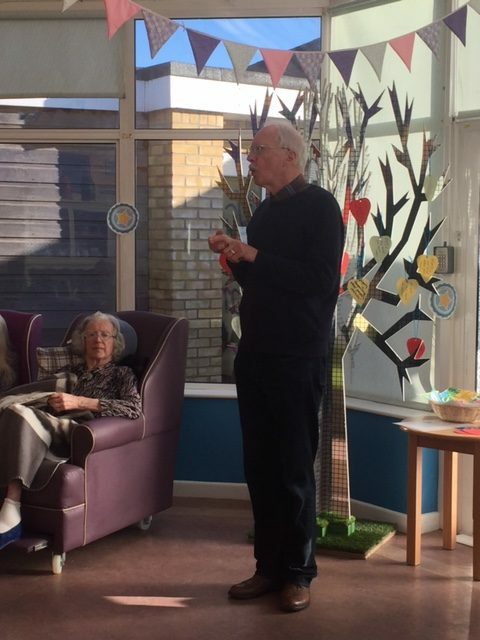 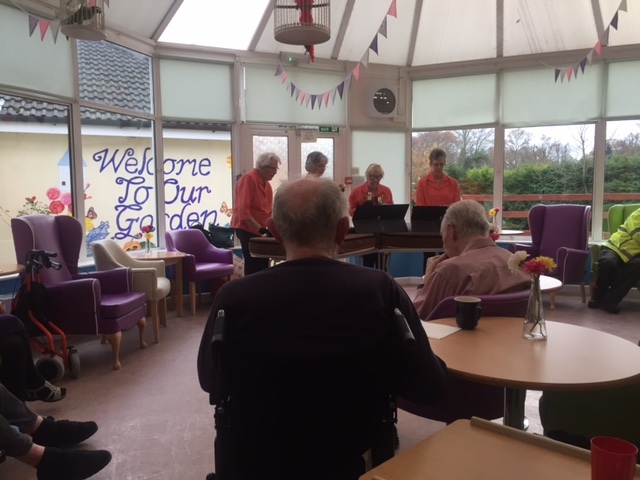 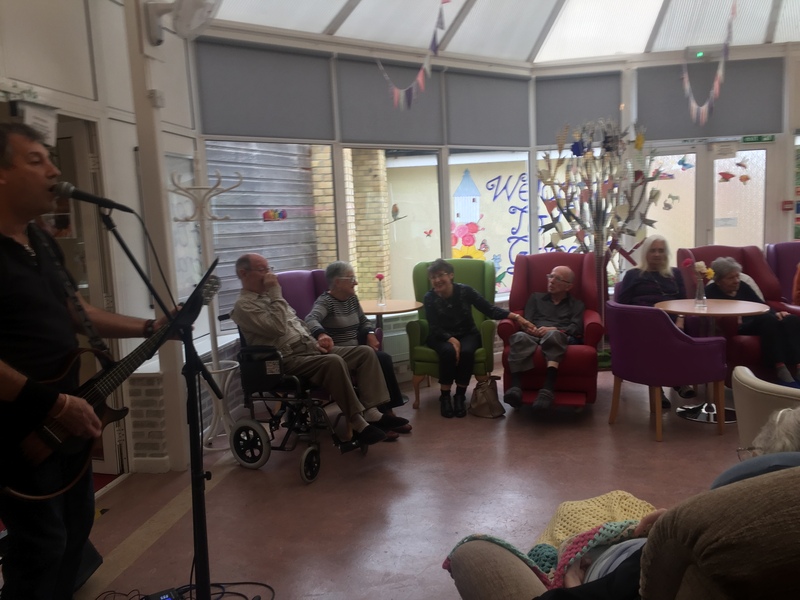 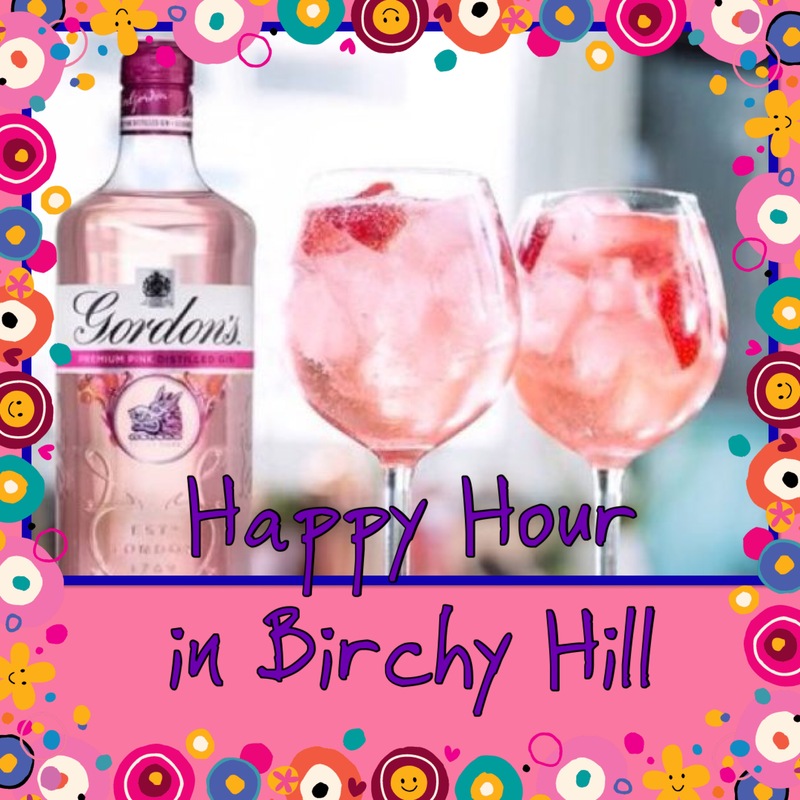 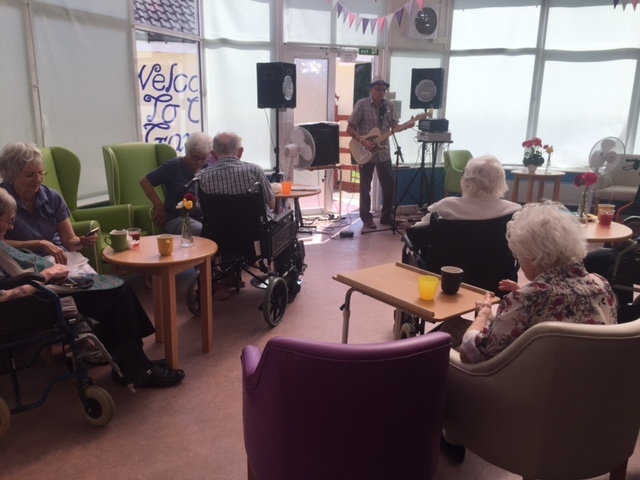 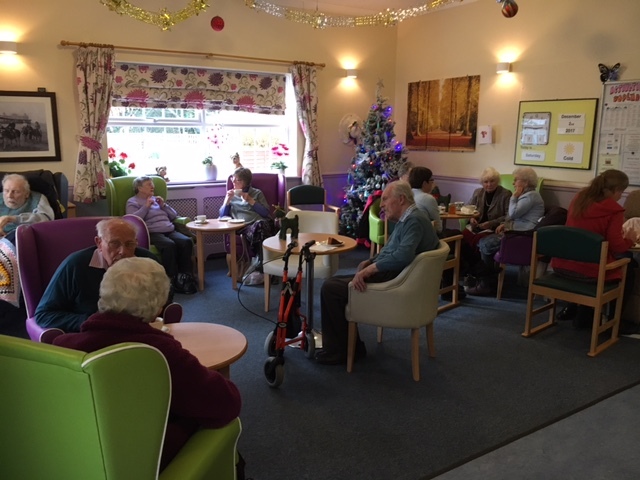 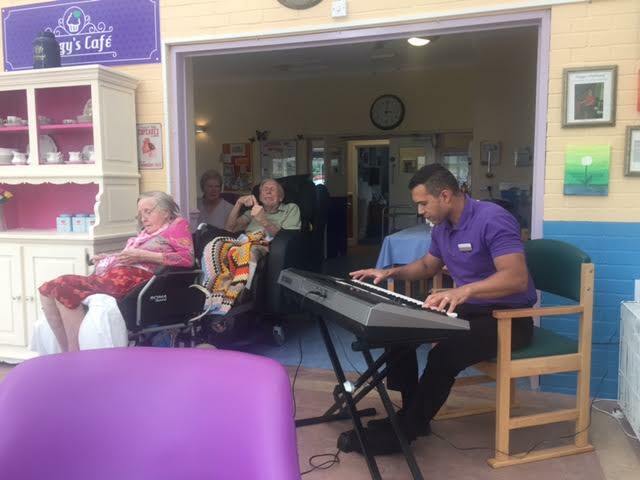 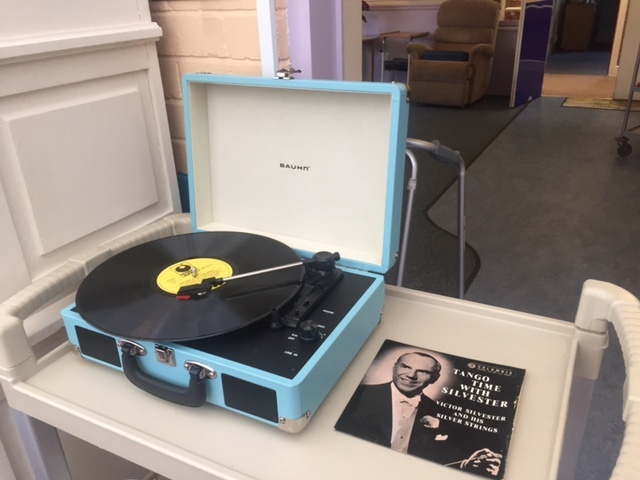 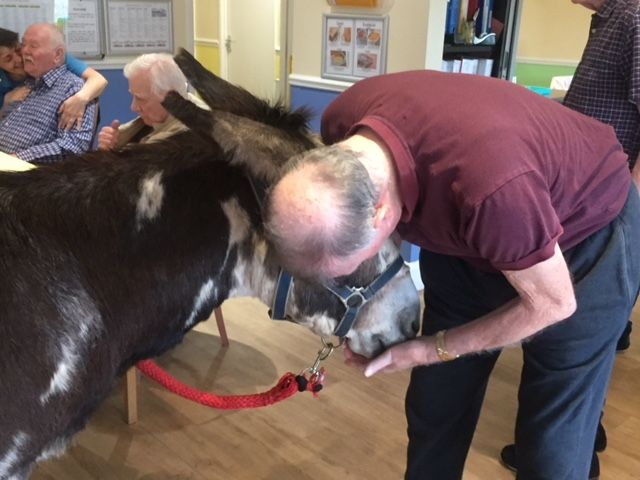 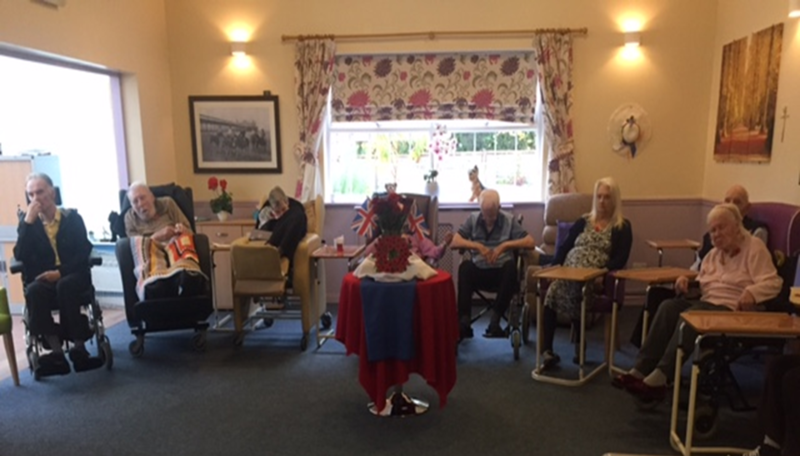 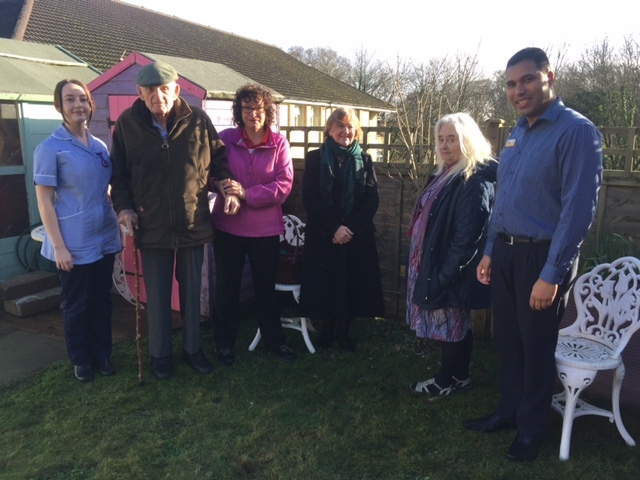 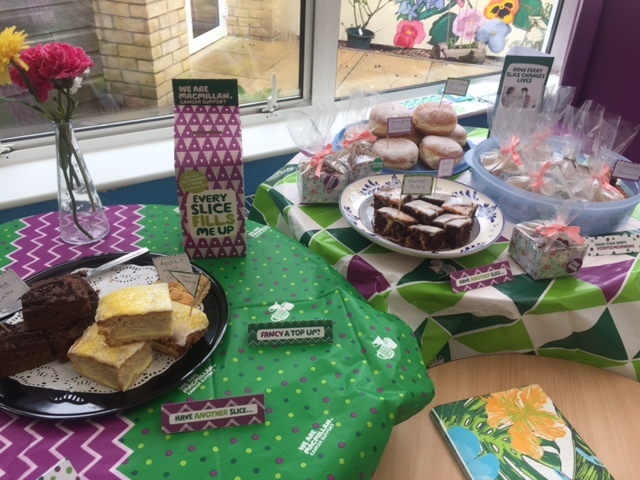 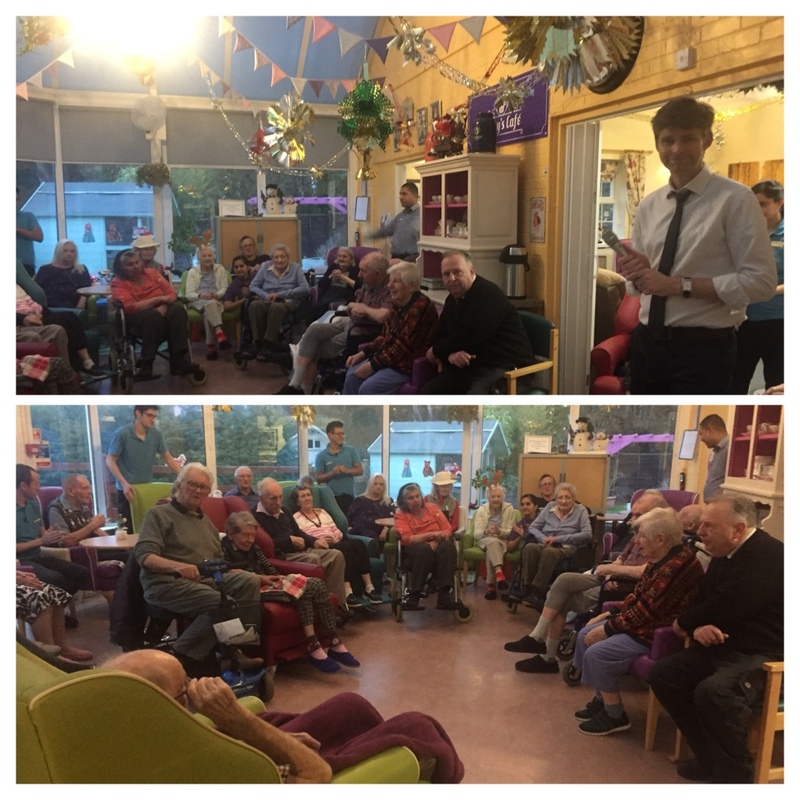 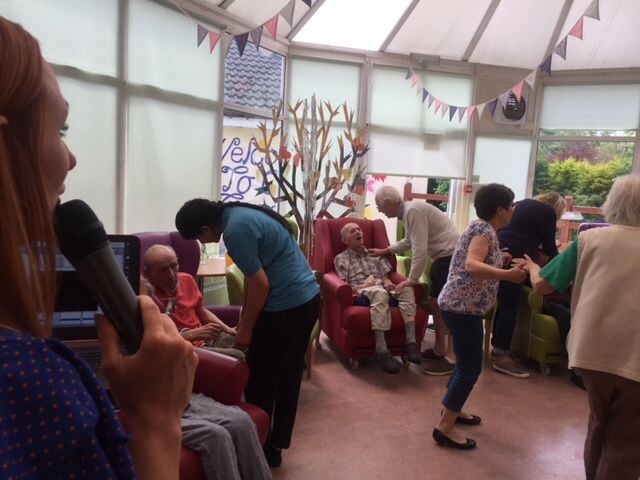 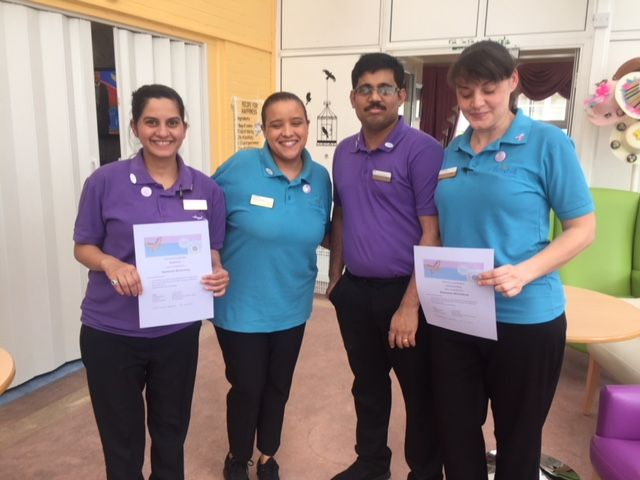 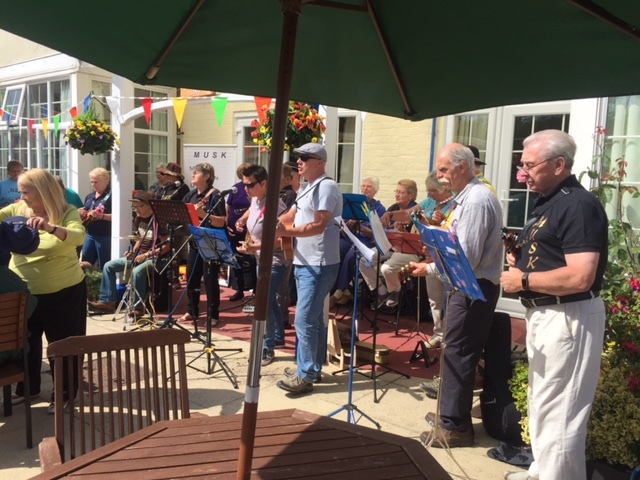 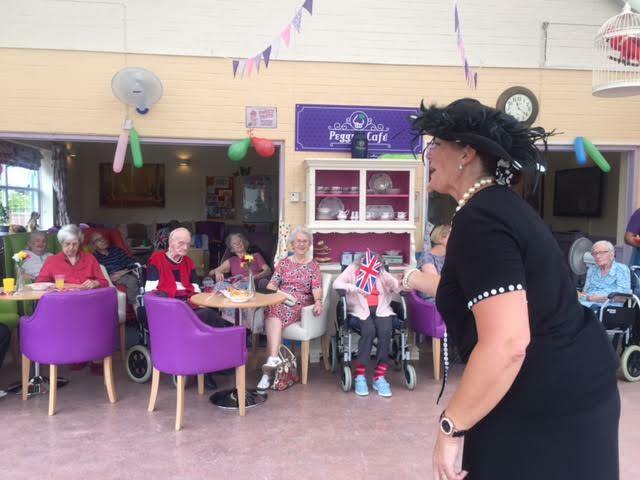 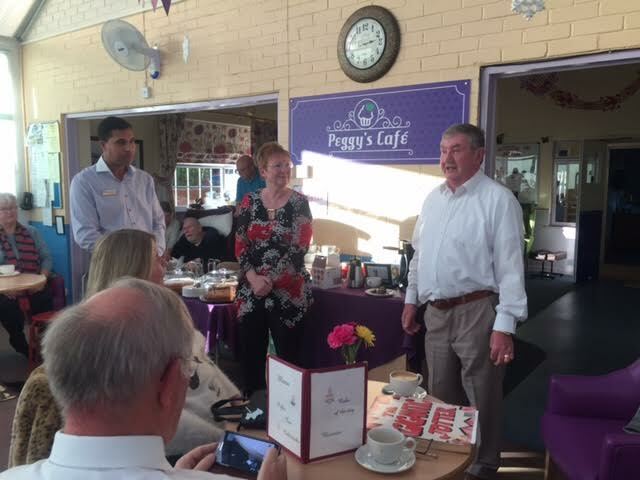 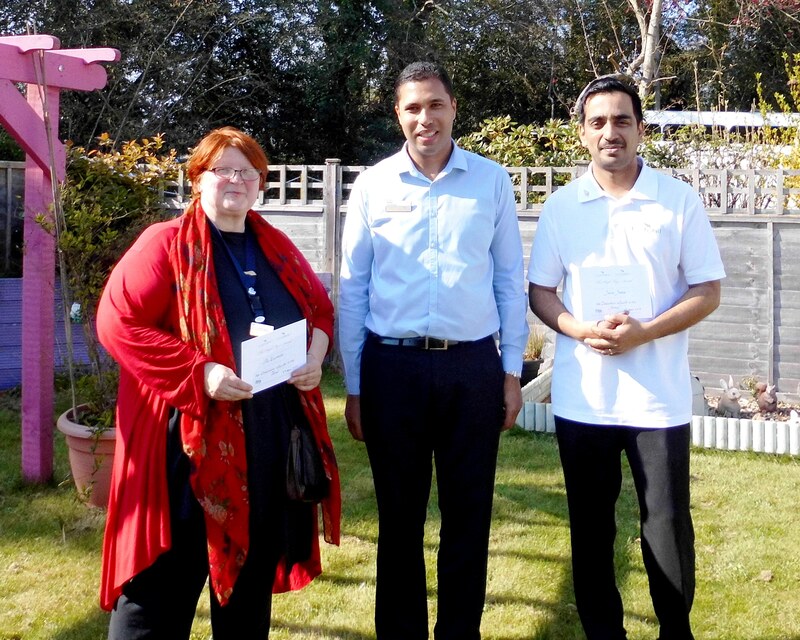 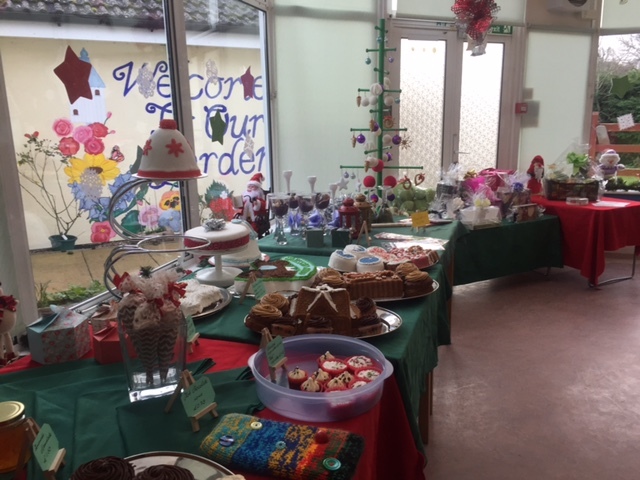 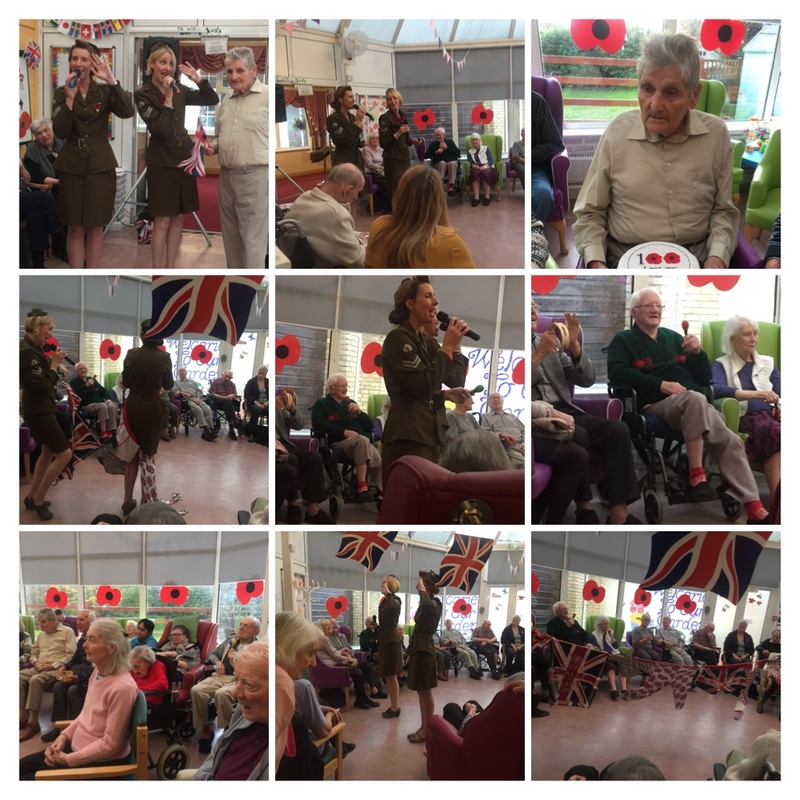 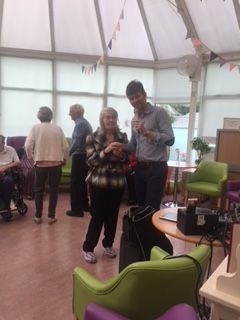 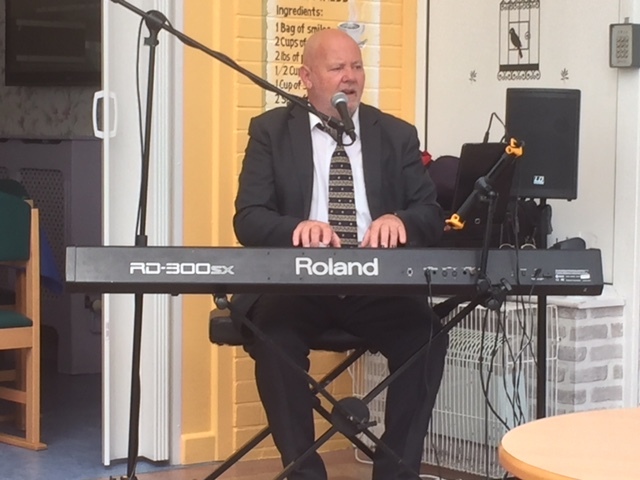 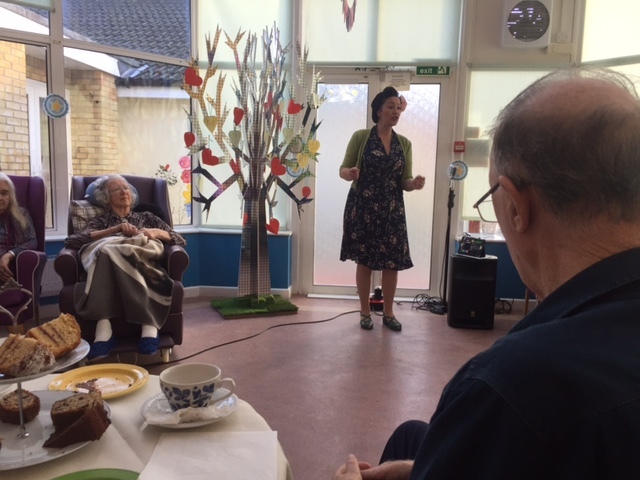 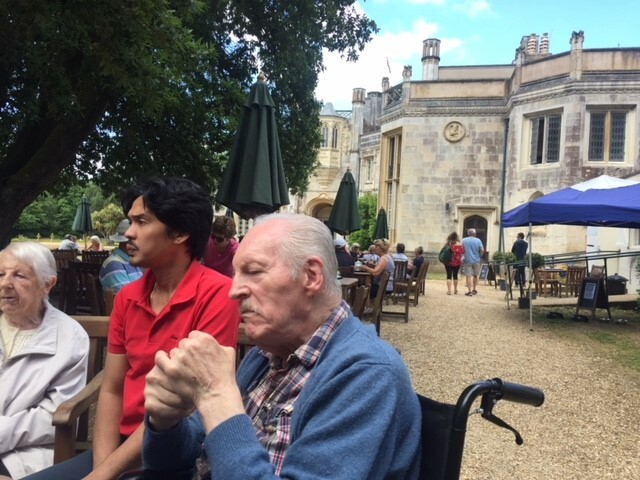 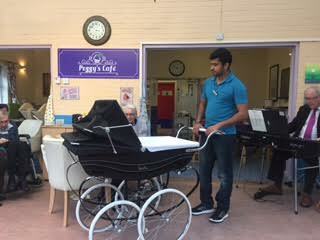 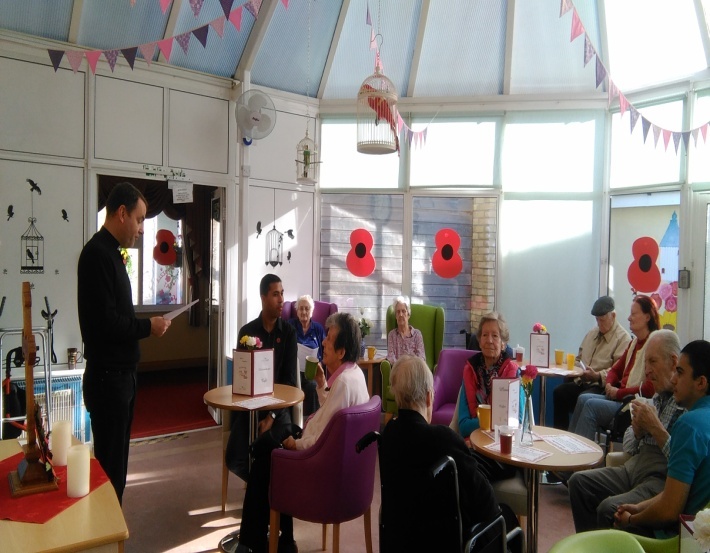 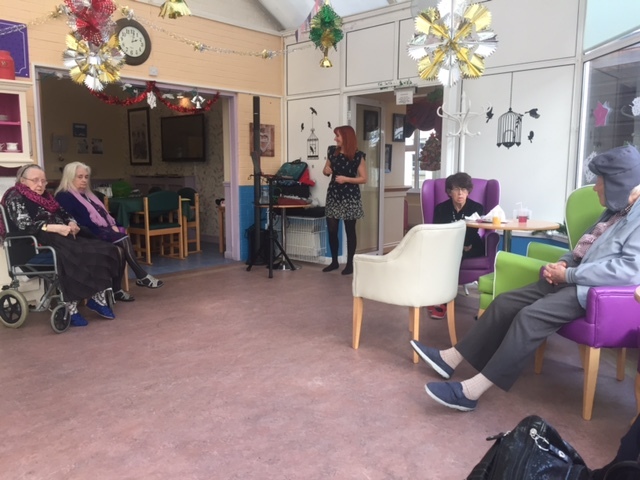 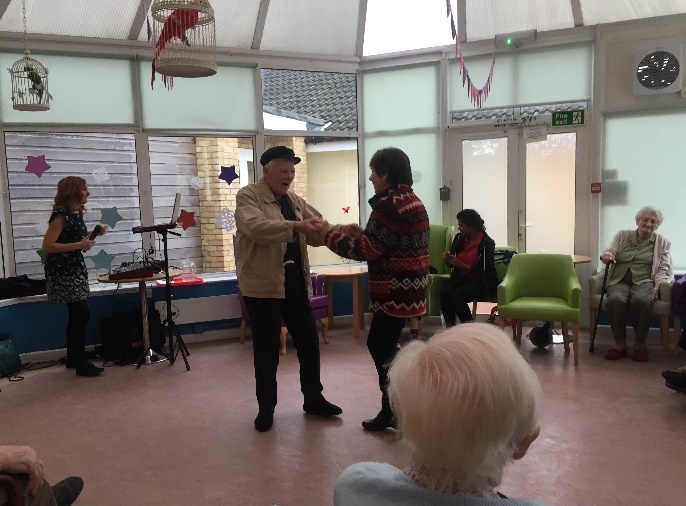 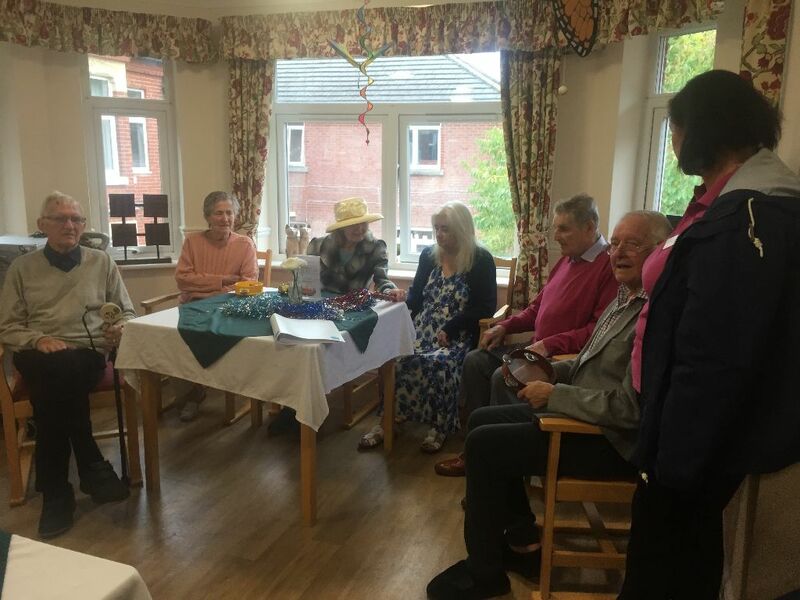 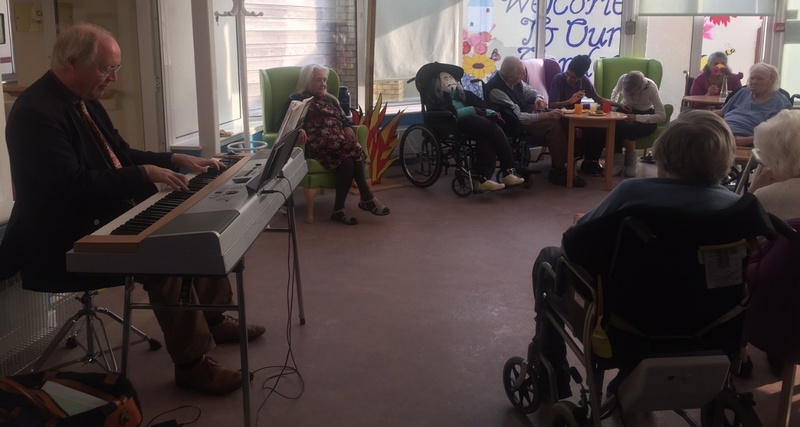 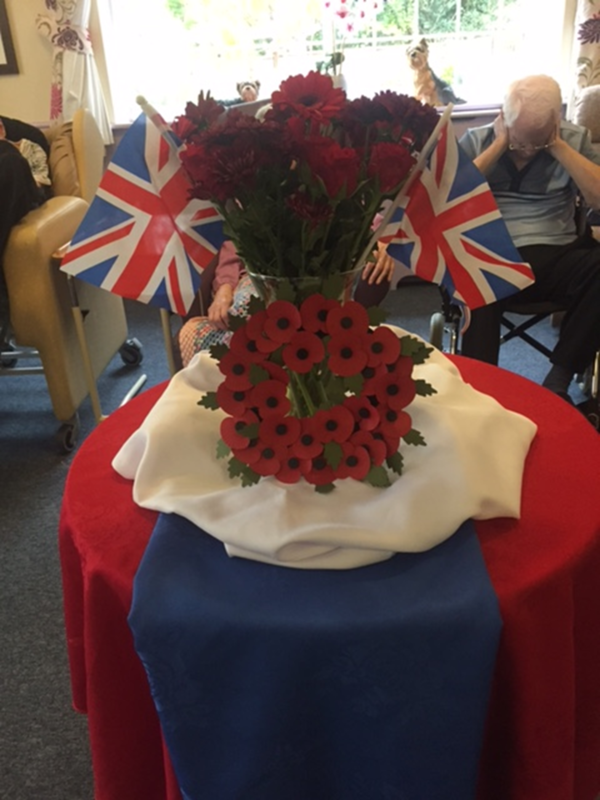 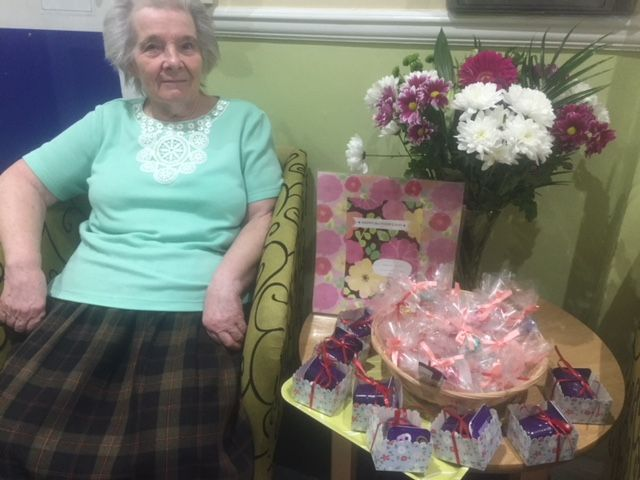 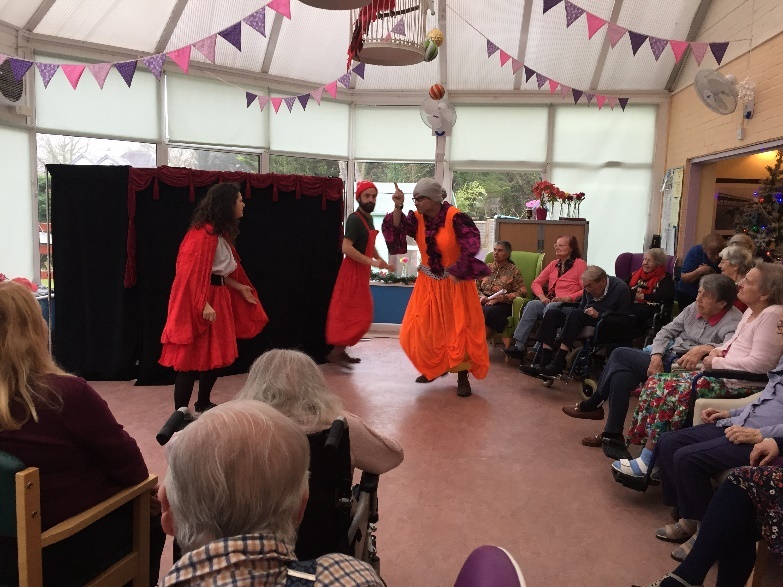 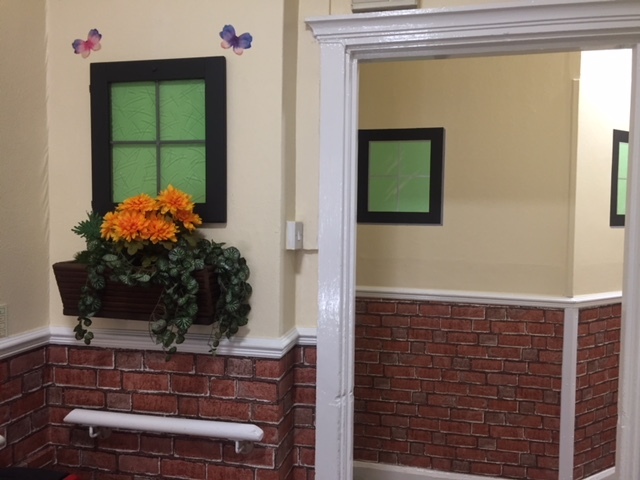 On Friday, 13th October, Birchy Hill’s Residents and some visitors enjoyed an afternoon Tea Party with musical entertainment by Luis Andrade. 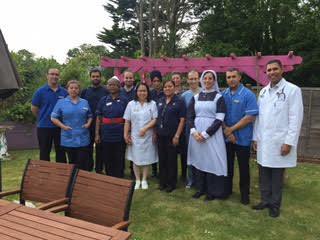 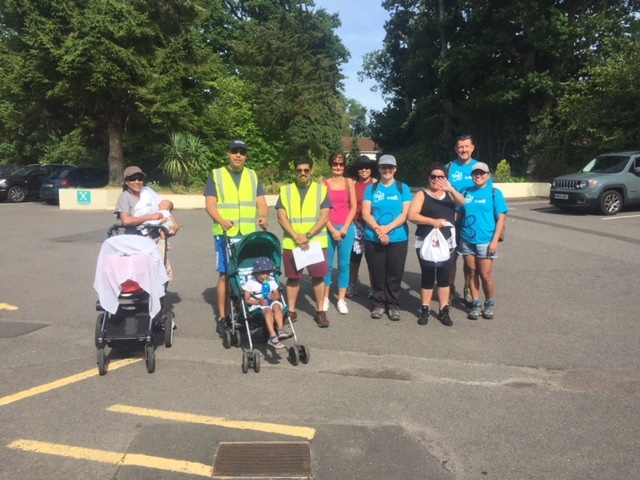 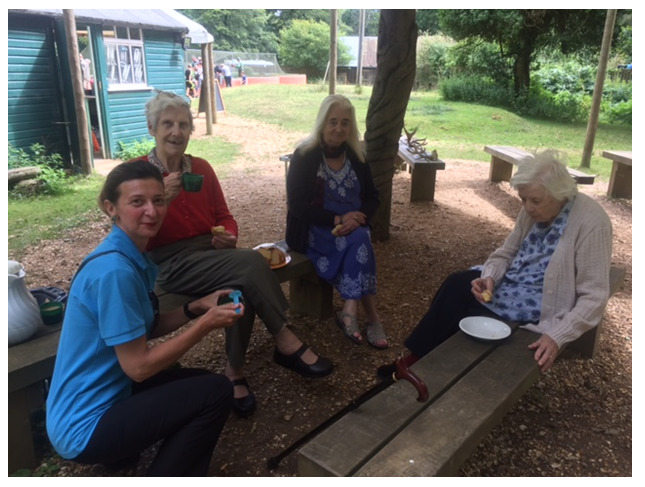 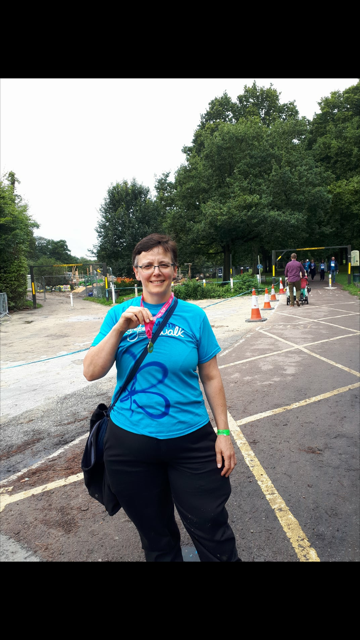 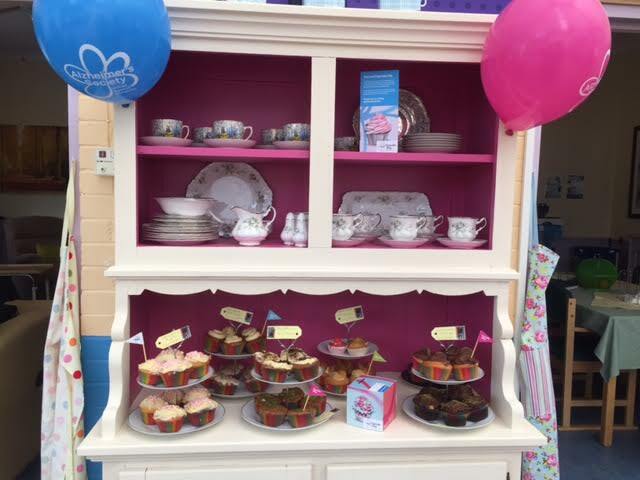 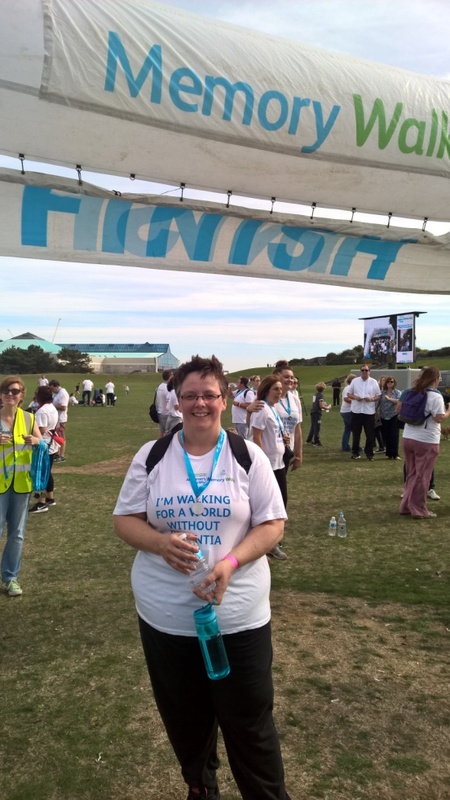 Memory Walk 2017 in Southampton Once again our Chef Samantha Nash walked to fight Dementia organised by the Alzheimer’s Society. 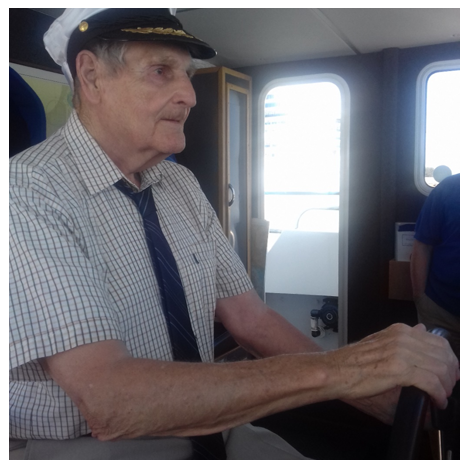 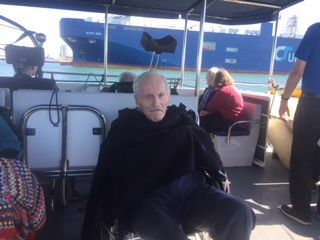 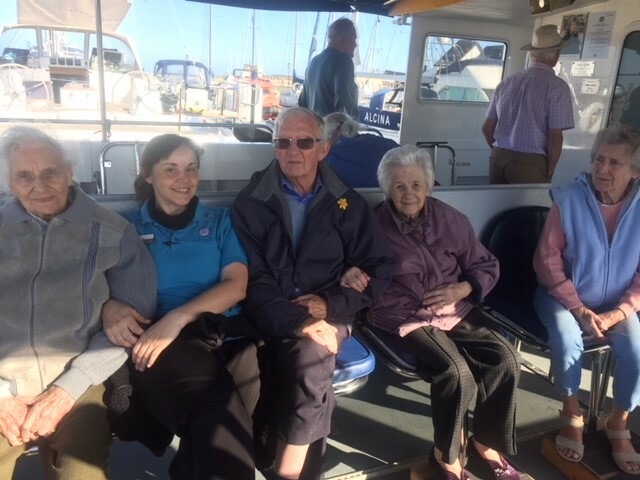 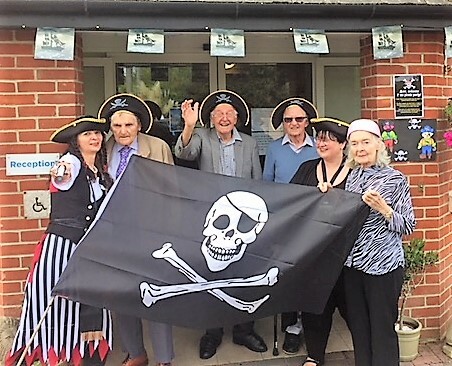 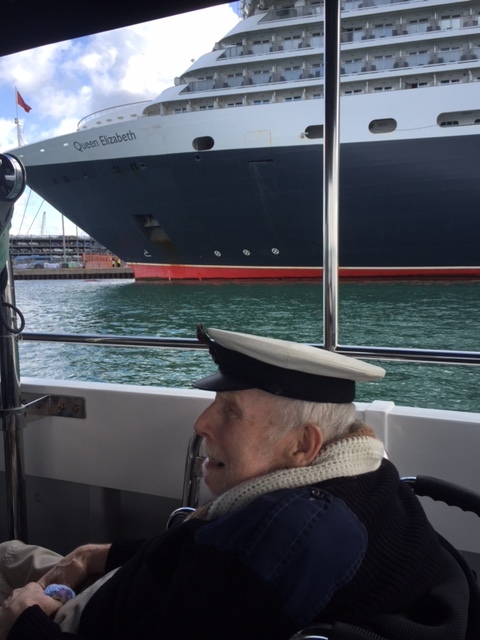 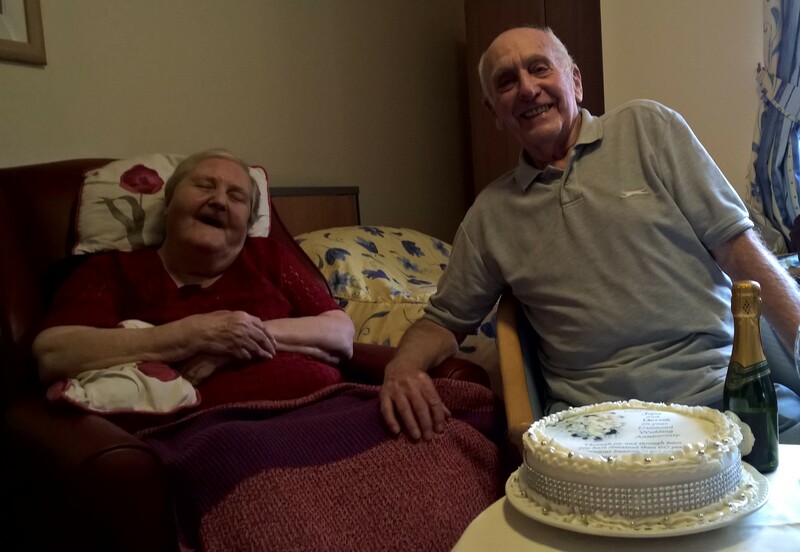 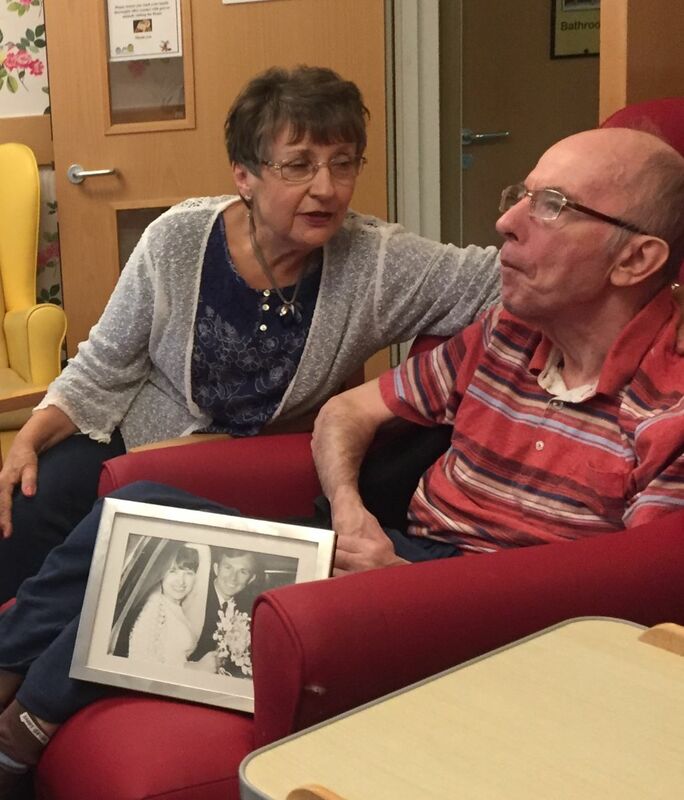 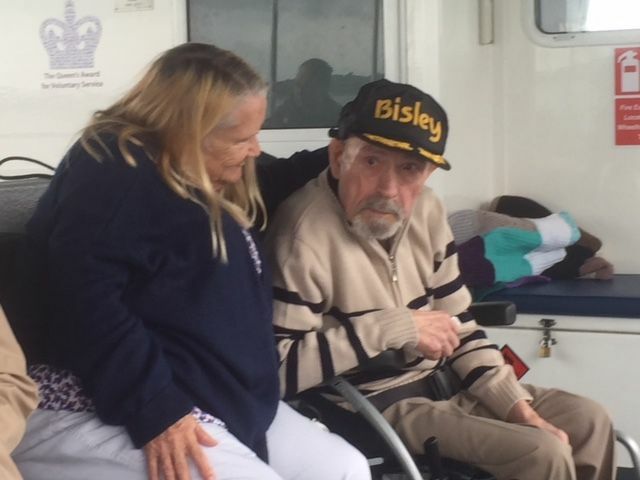 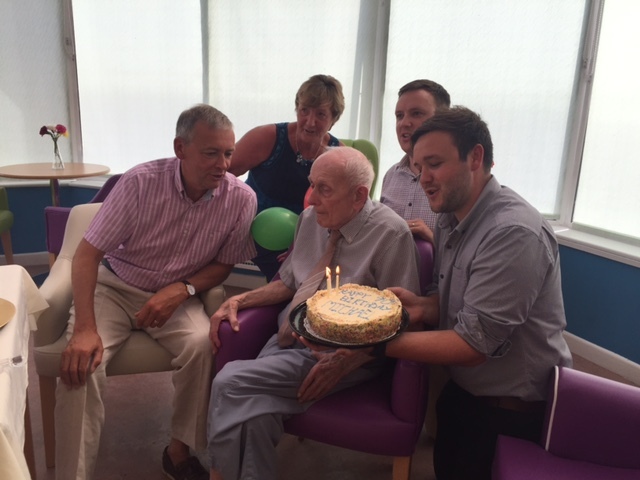 Our always friendly Michael Ingram celebrated his 90th Birthday surrounded by his Family. 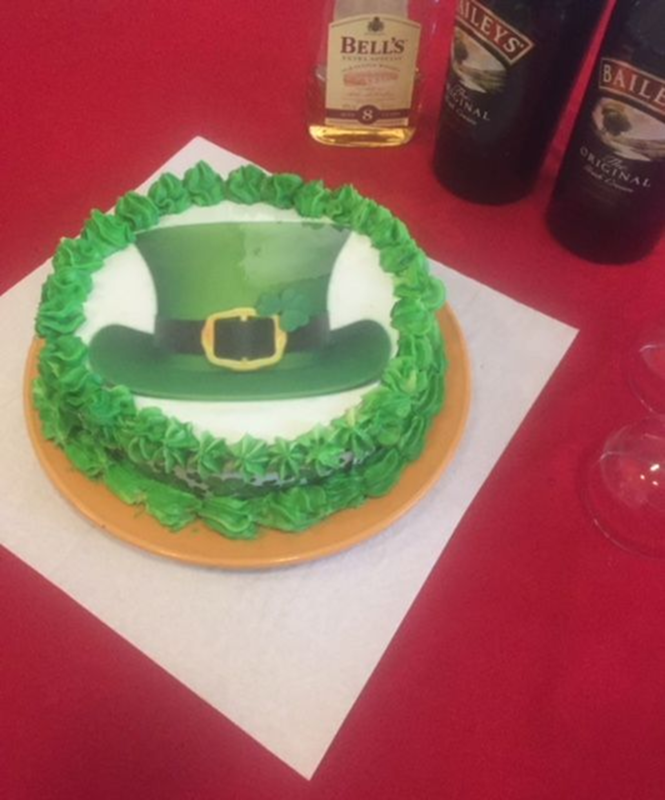 He had a lovely little party. 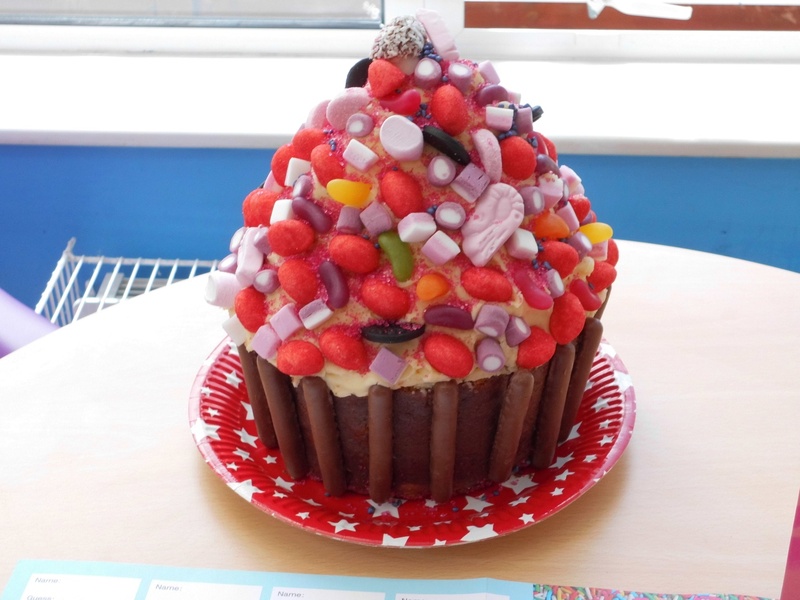 One giant cup cake was the prize for the “Guess the weight of the Cake”- game on Cup Cake Day.